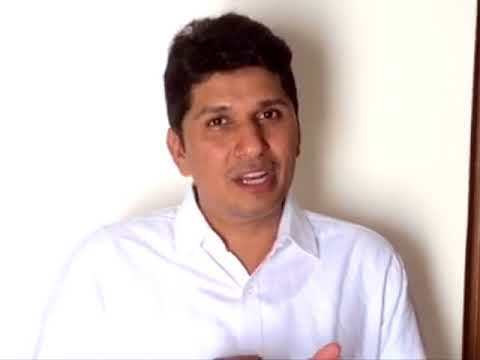 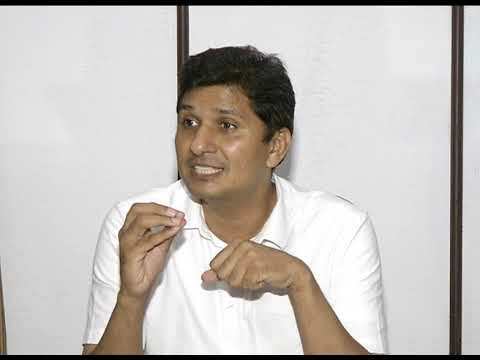 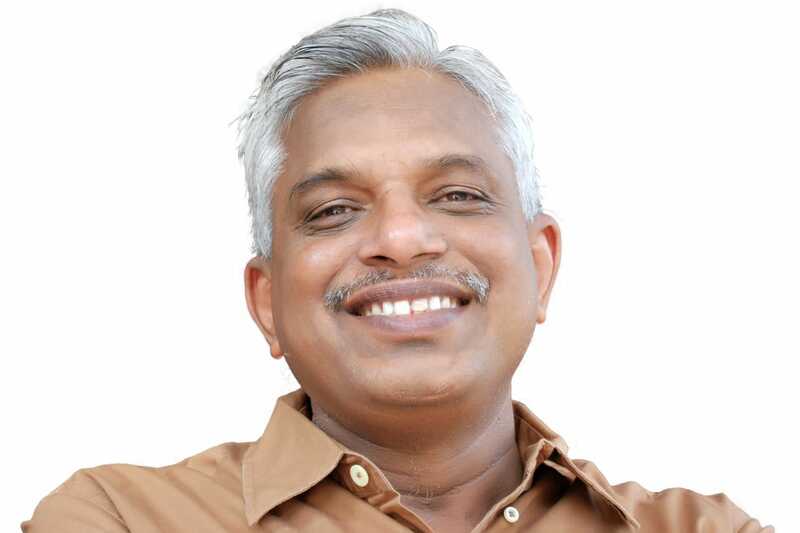 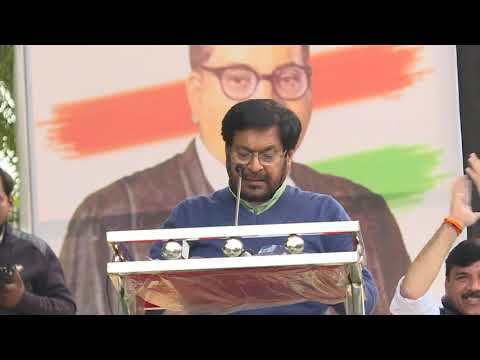 Why is Rahul Gandhi Contesting from Wayanad Lok Sabha seat in Kerala? 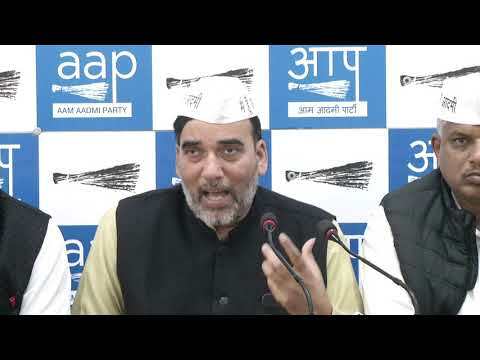 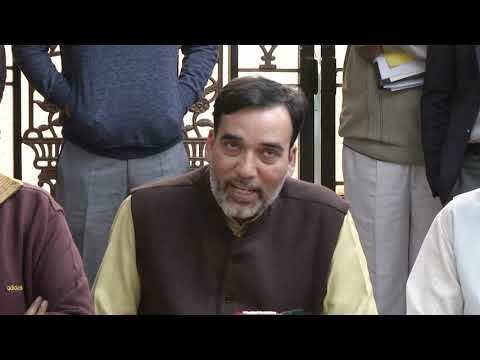 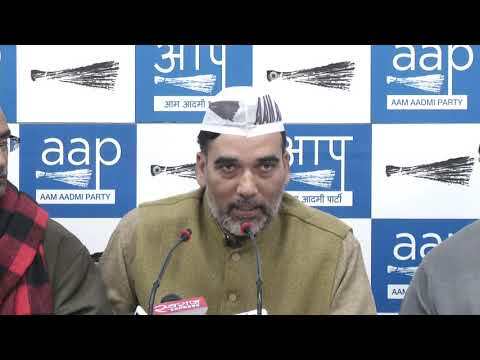 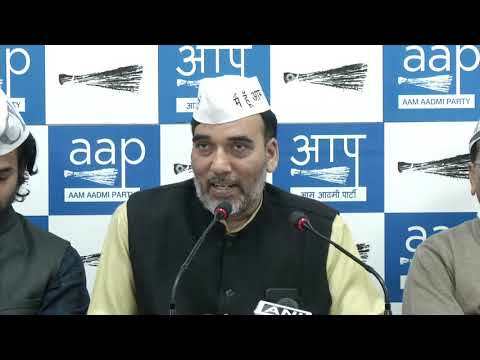 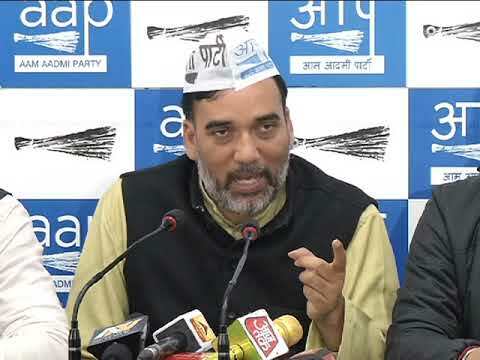 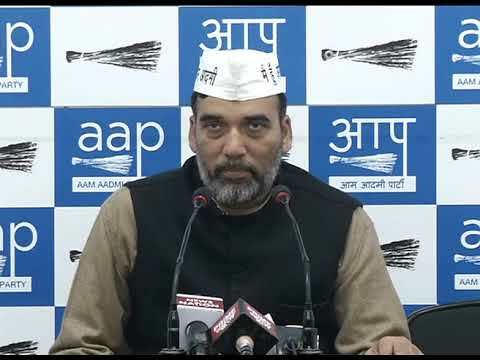 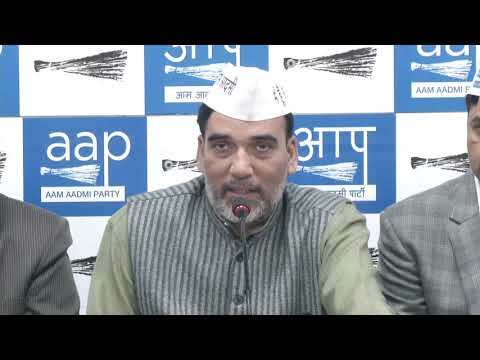 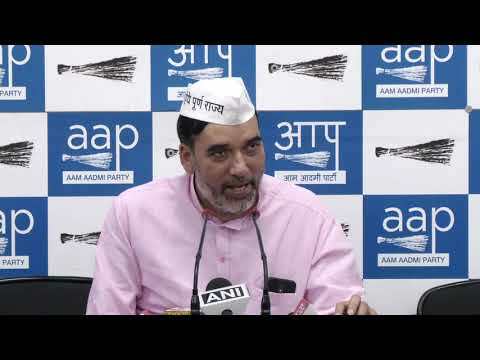 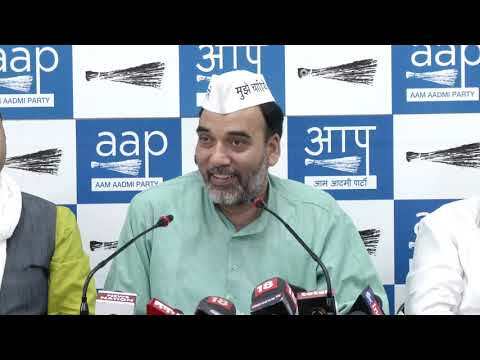 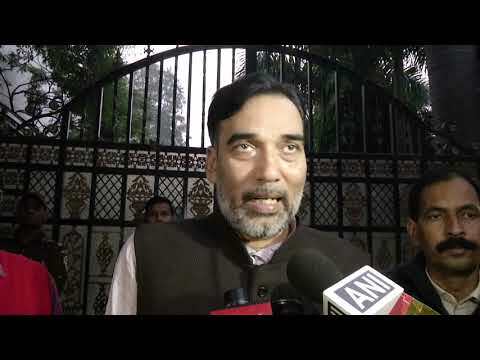 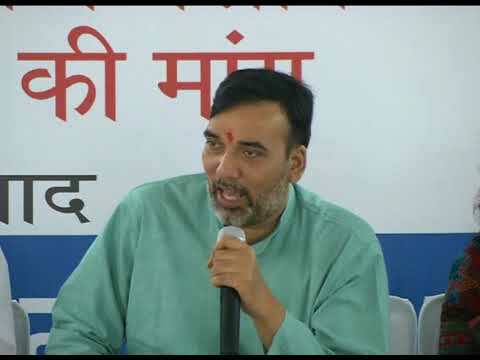 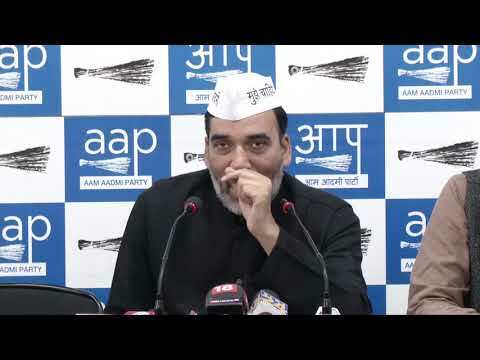 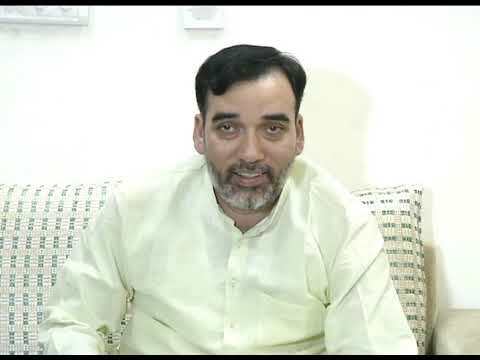 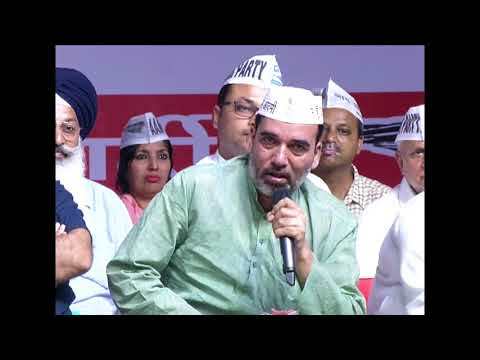 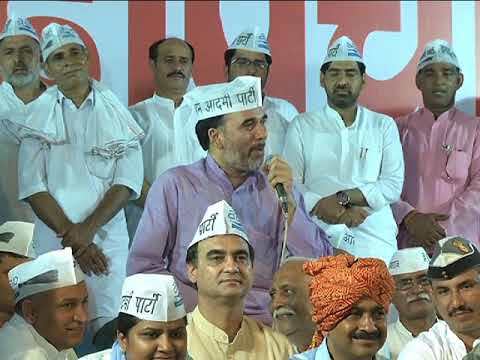 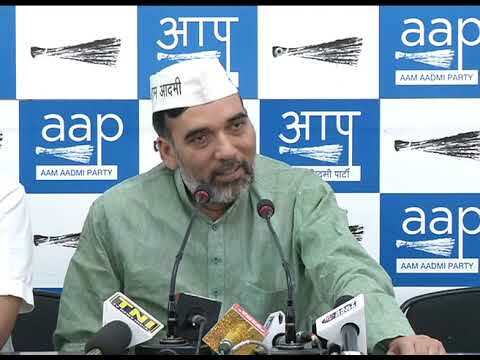 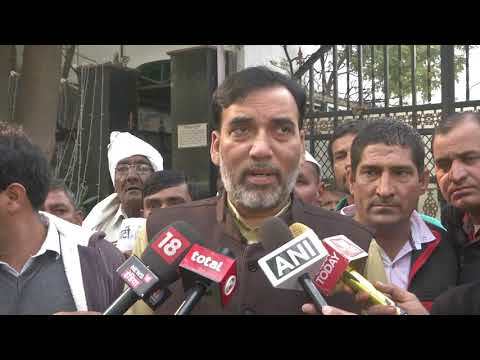 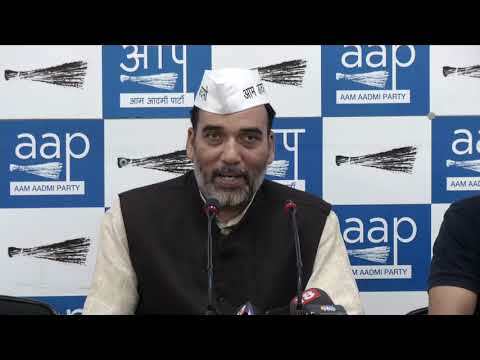 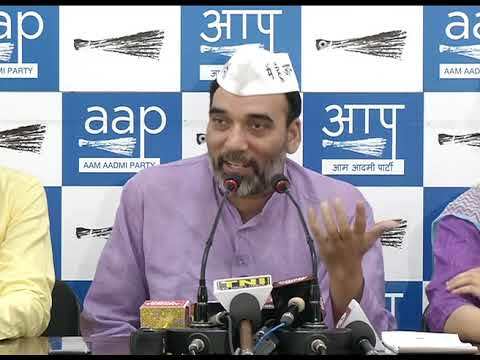 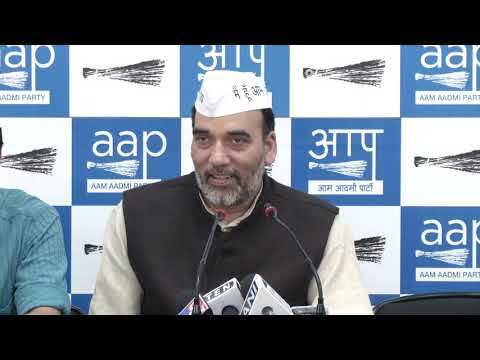 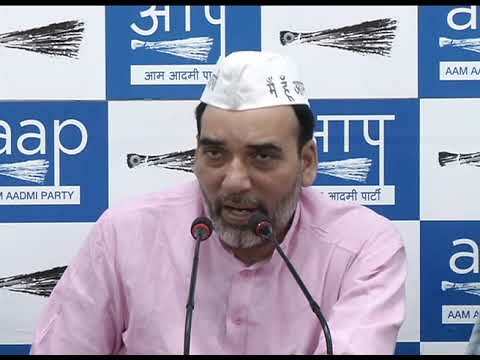 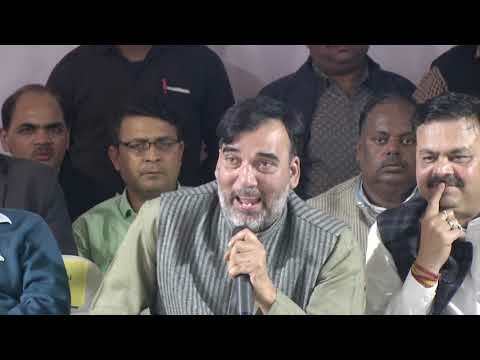 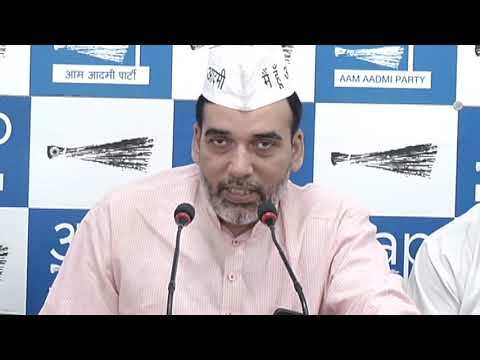 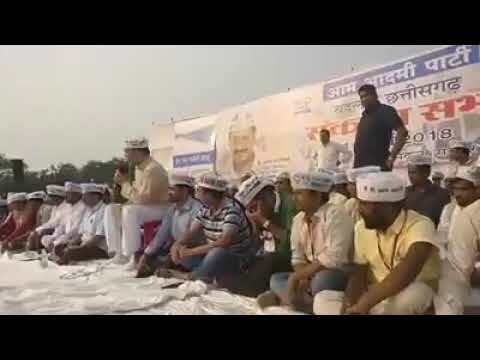 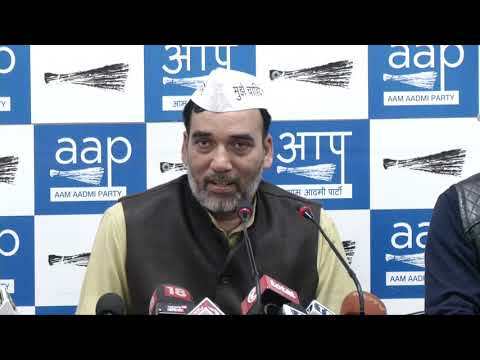 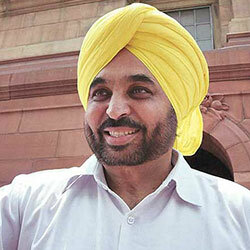 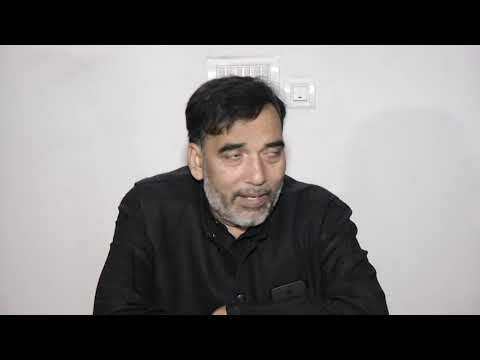 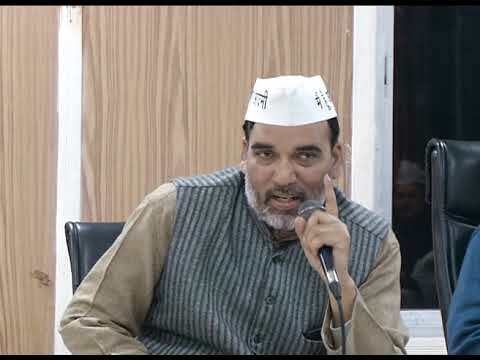 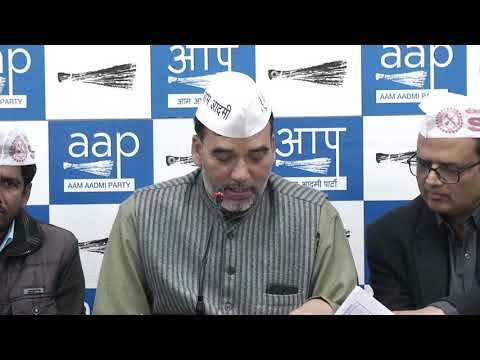 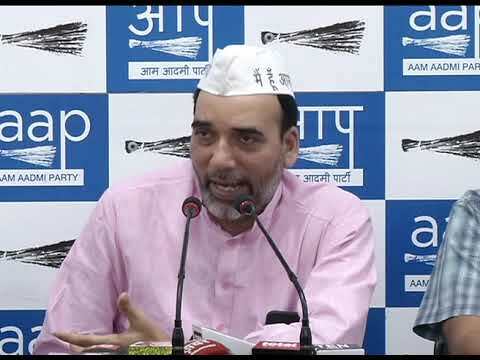 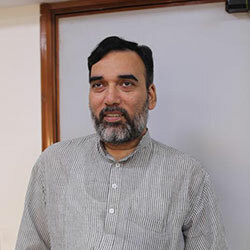 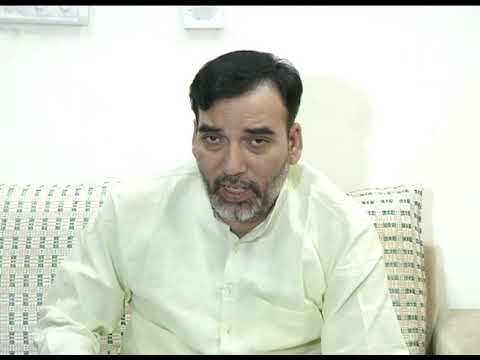 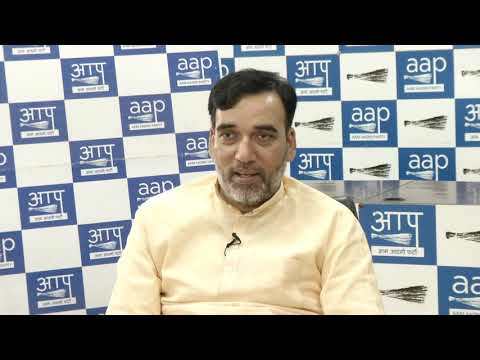 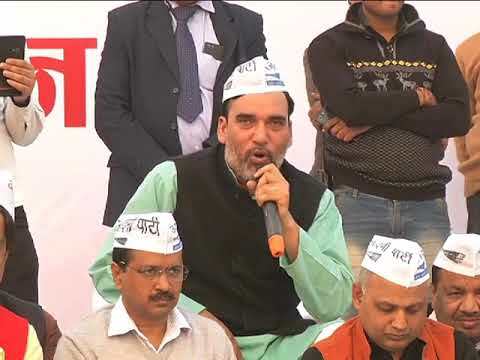 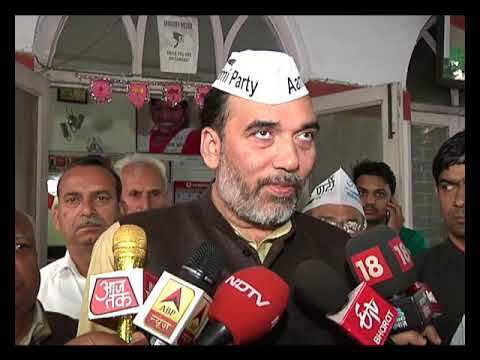 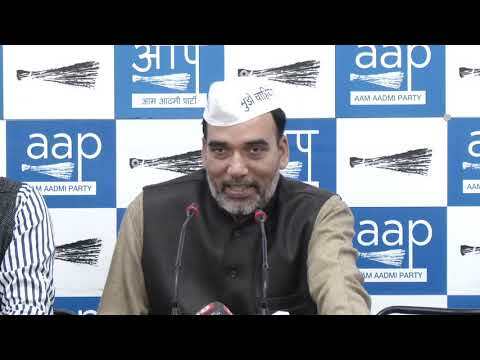 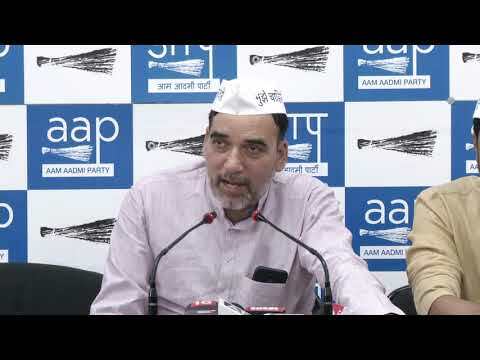 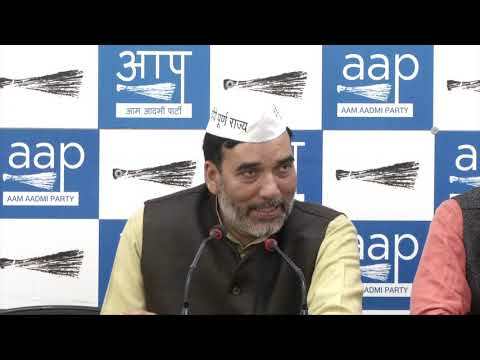 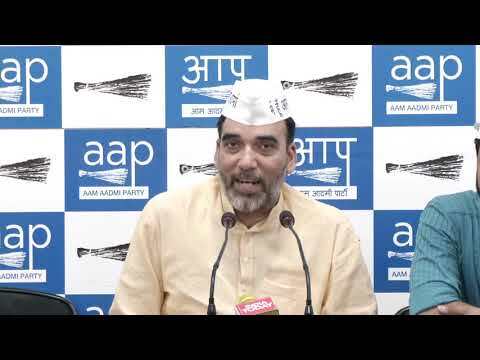 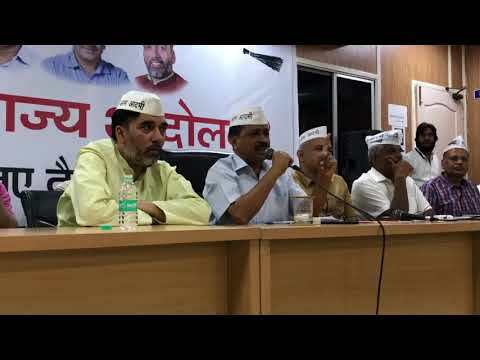 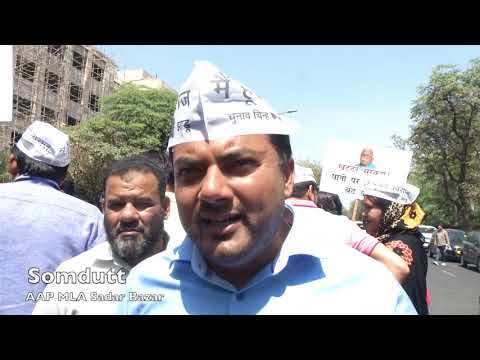 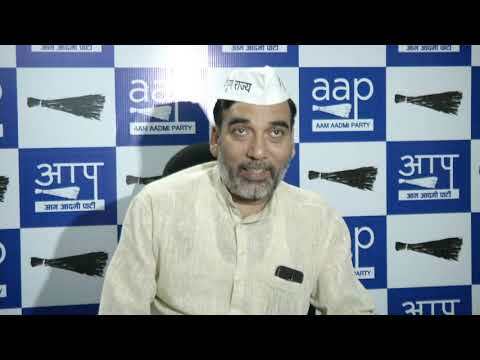 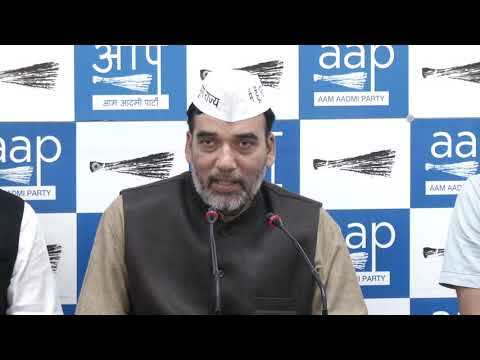 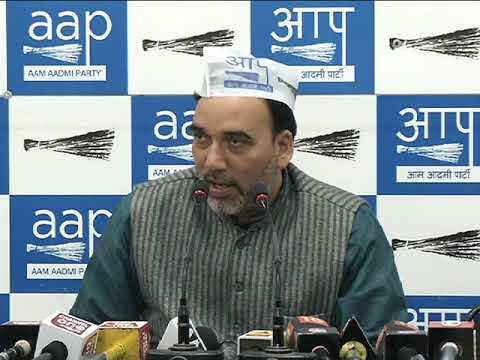 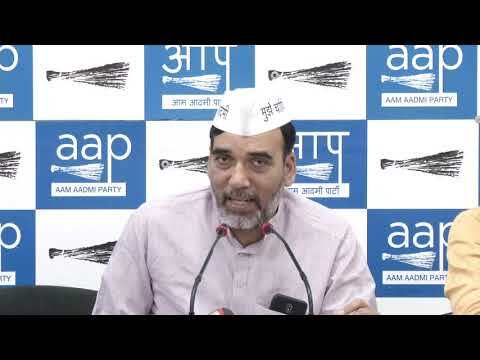 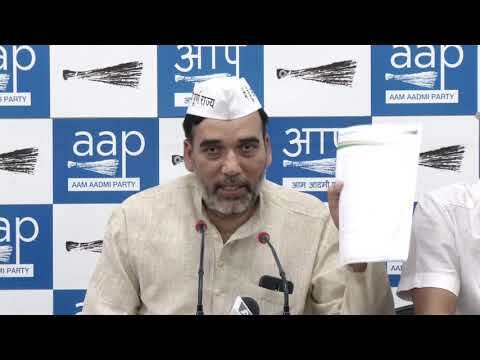 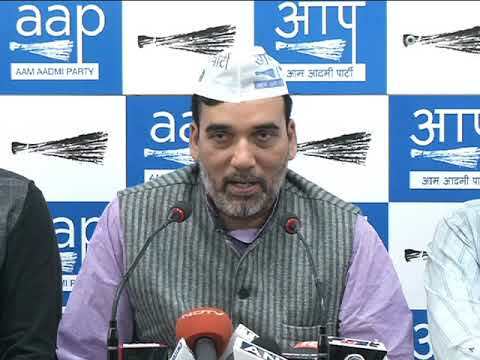 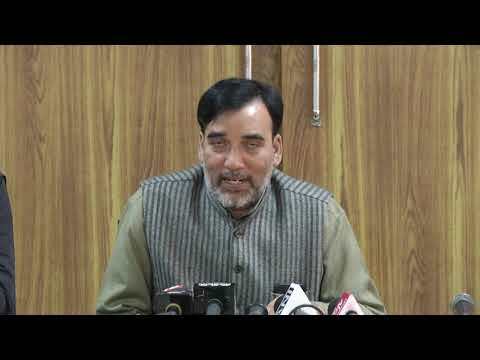 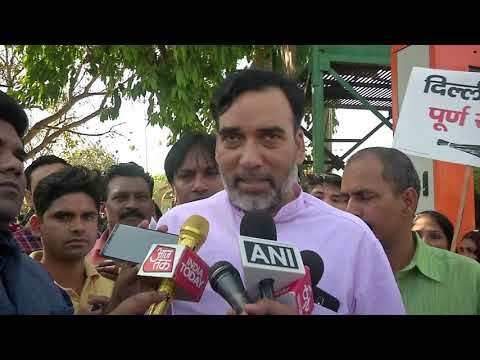 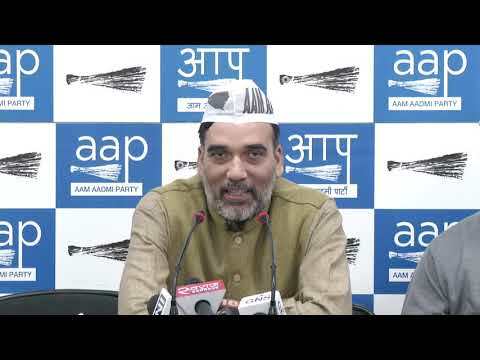 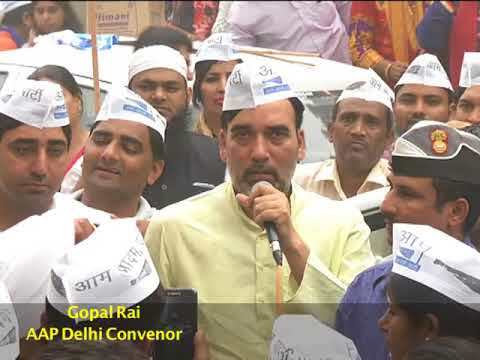 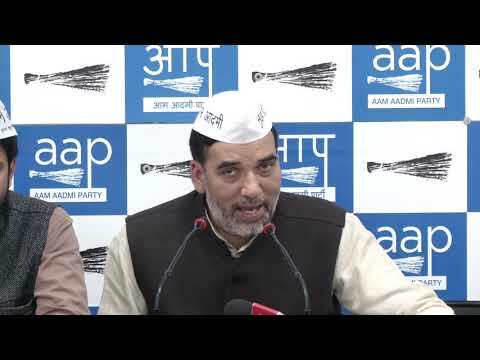 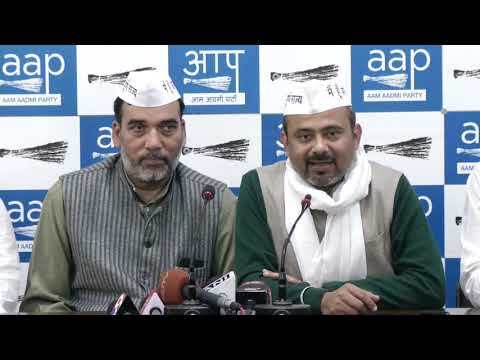 AAP Delhi Convenor Gopal rai Live Session on Why Statehood Matters For Delhi? 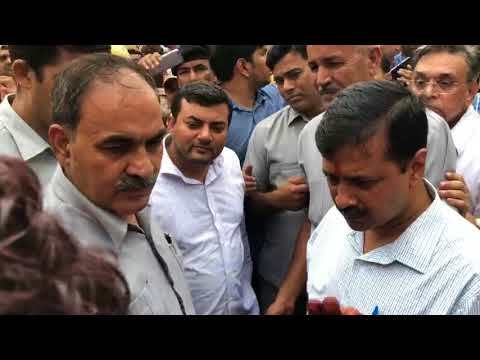 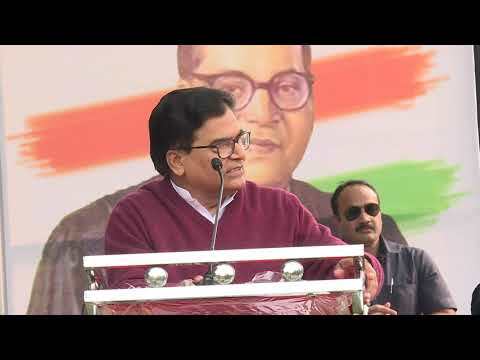 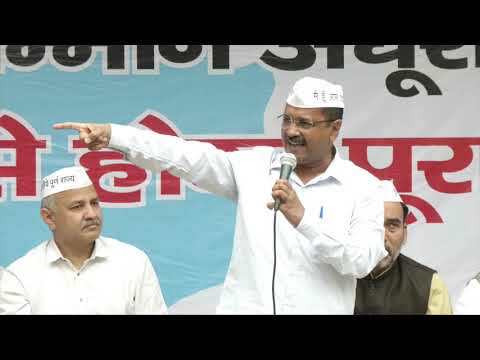 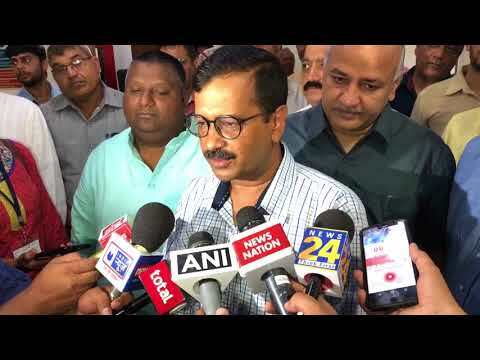 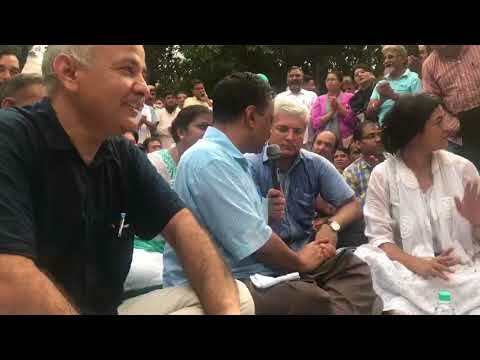 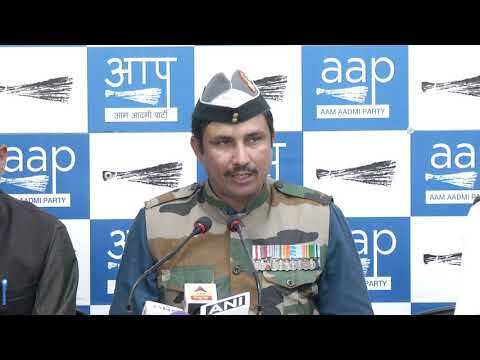 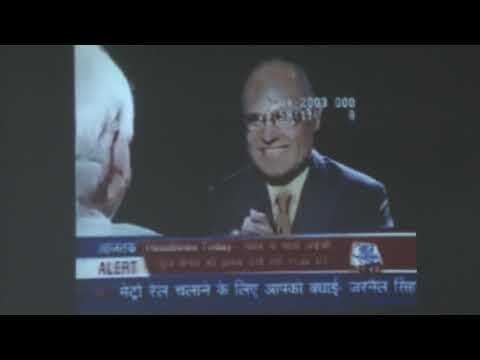 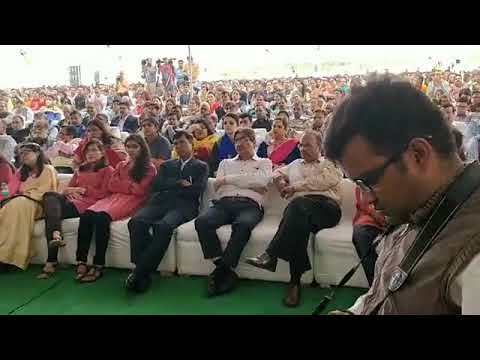 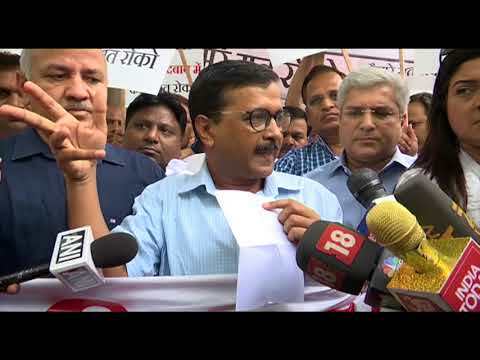 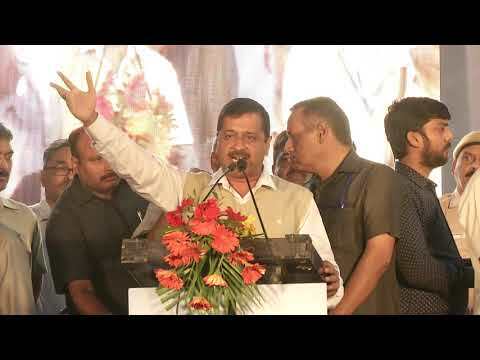 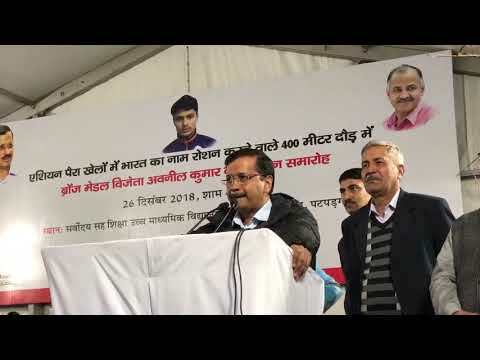 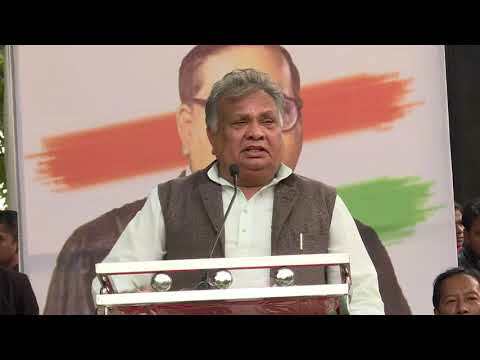 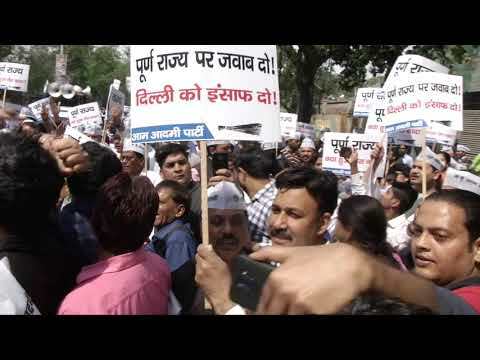 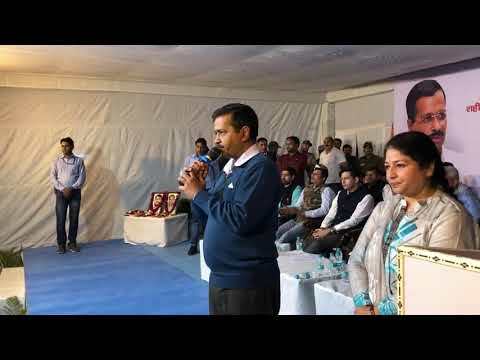 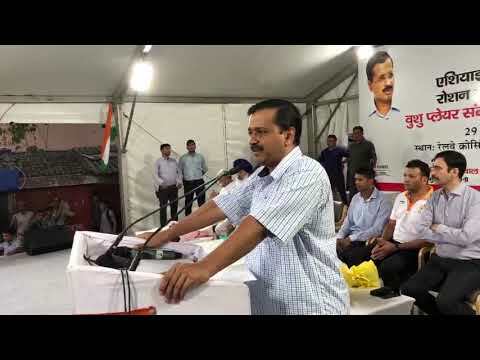 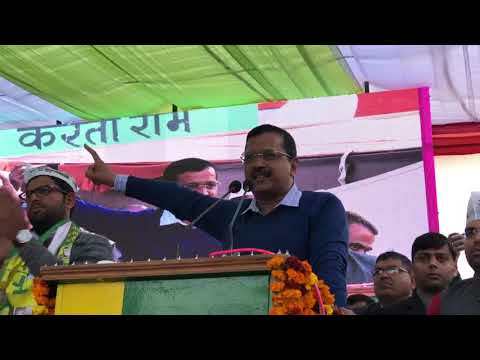 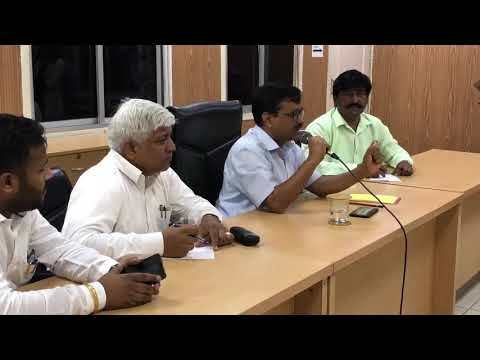 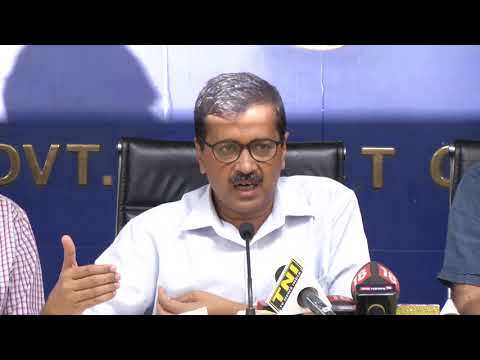 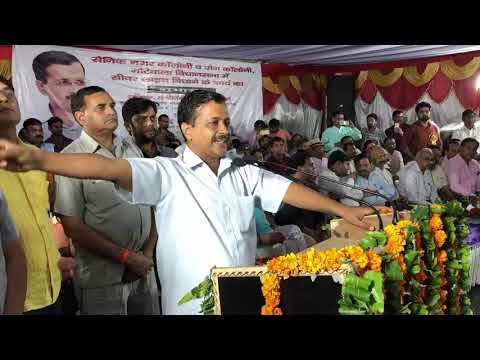 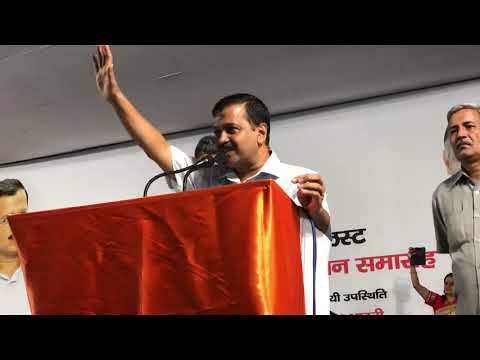 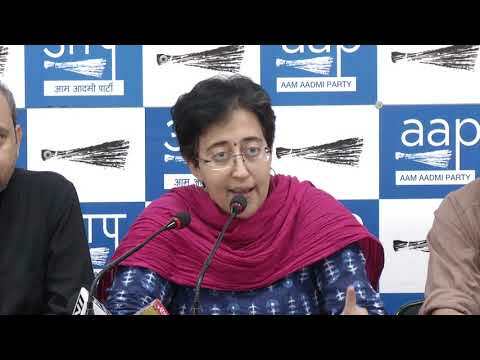 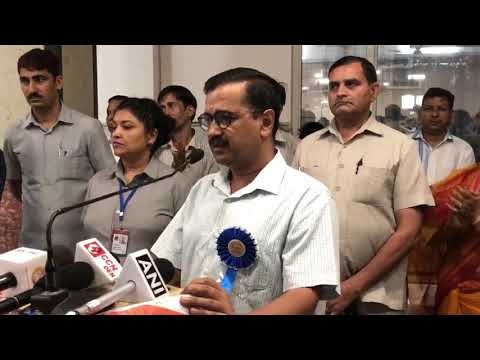 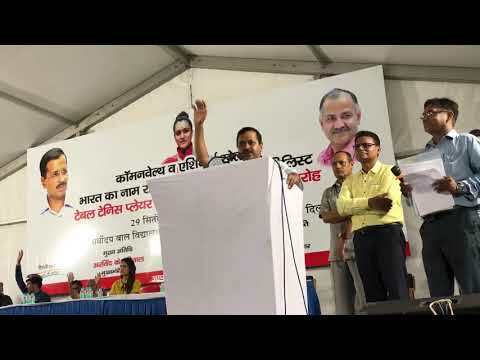 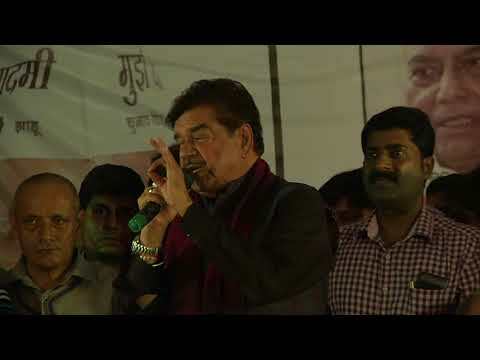 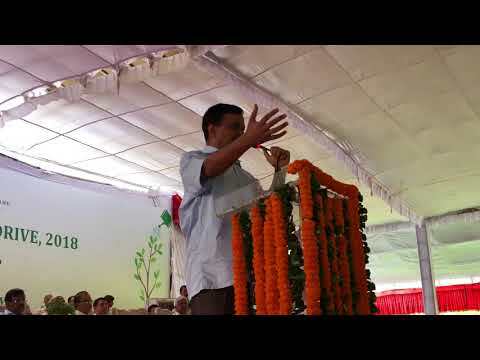 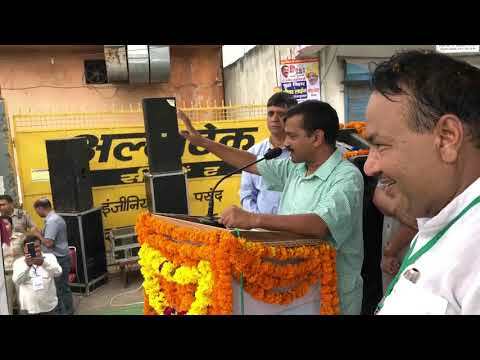 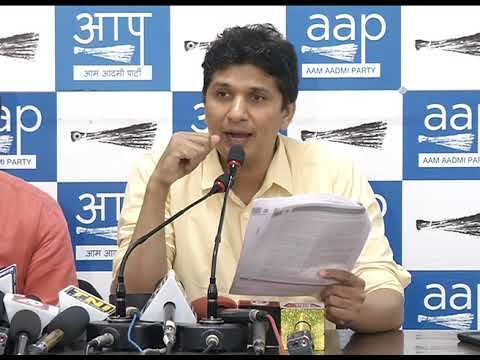 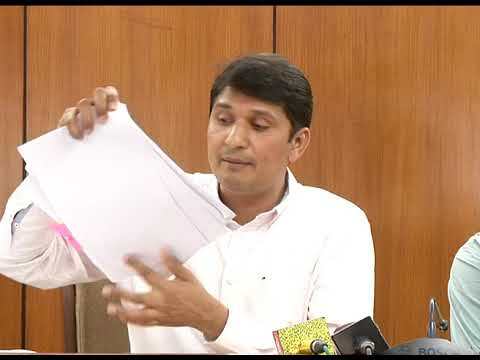 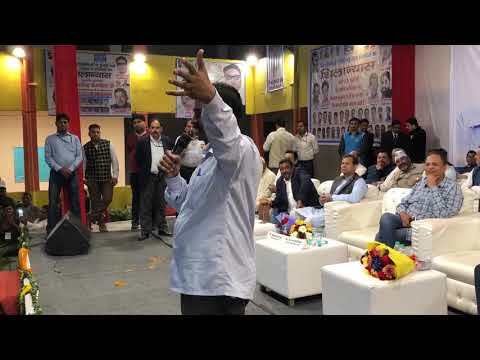 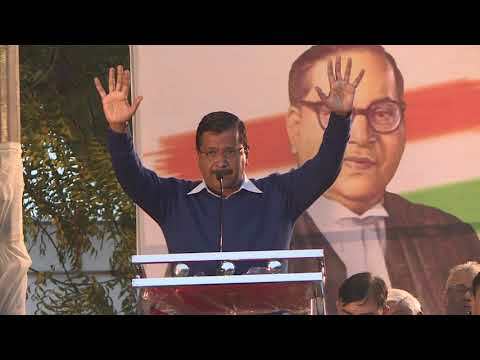 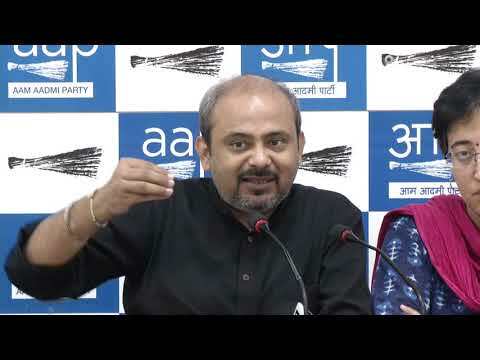 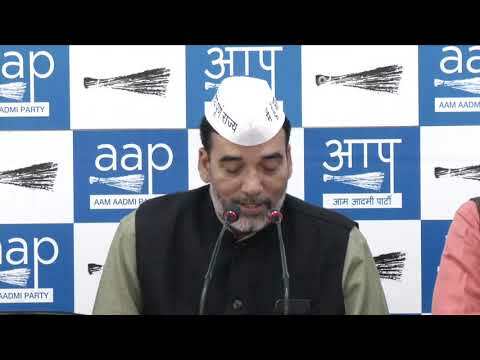 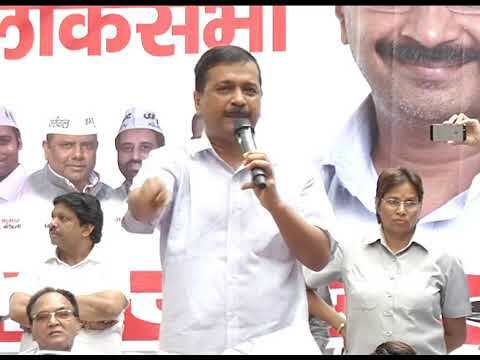 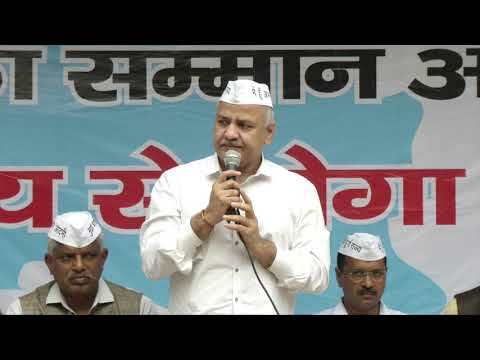 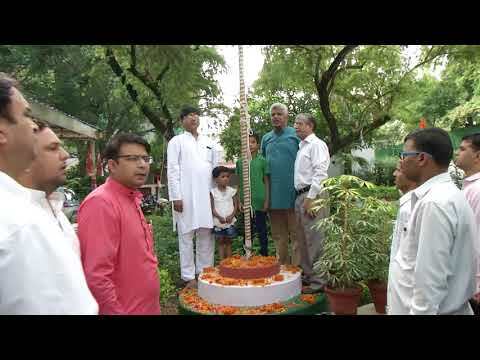 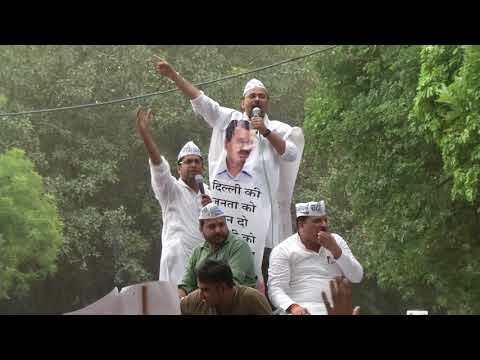 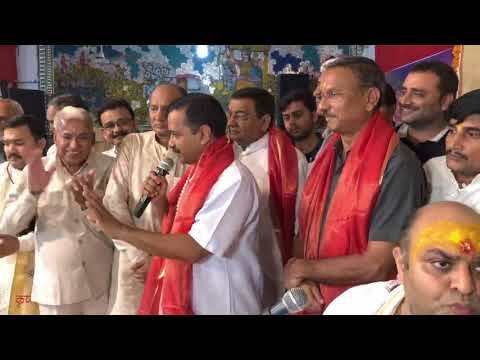 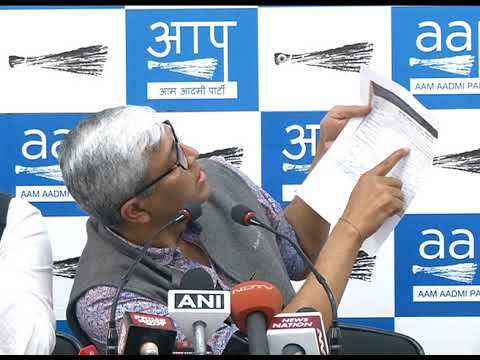 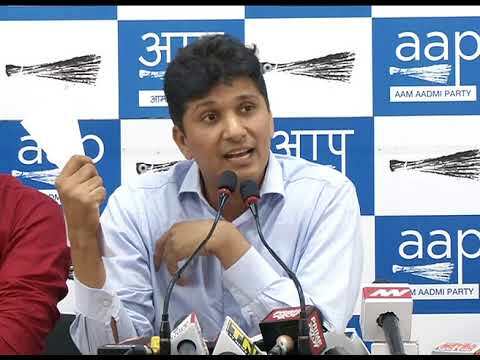 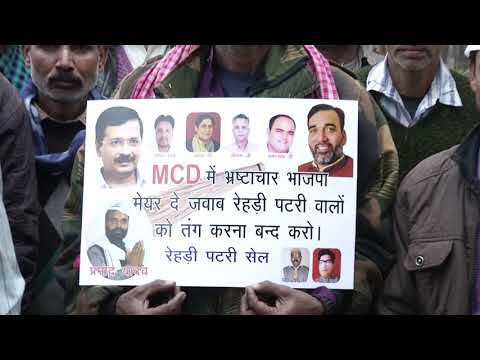 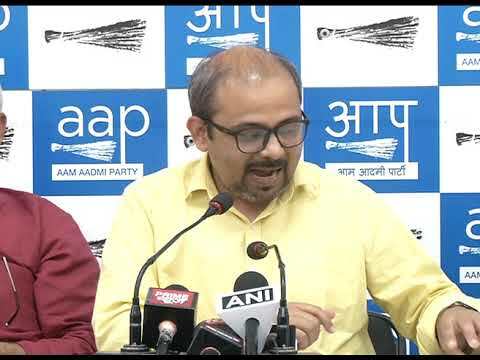 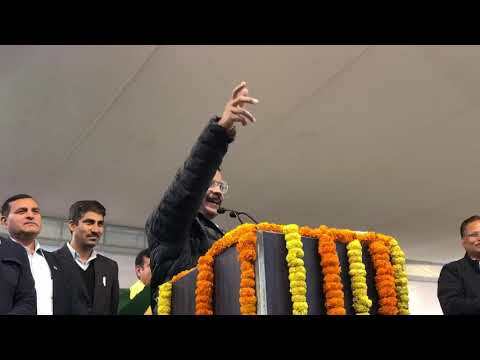 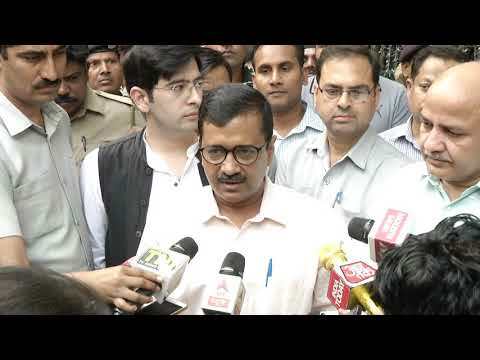 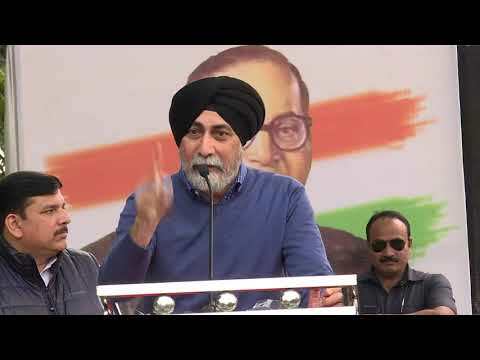 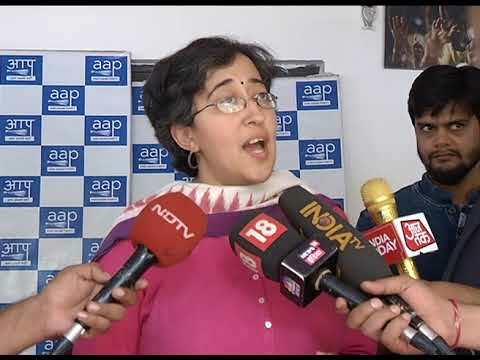 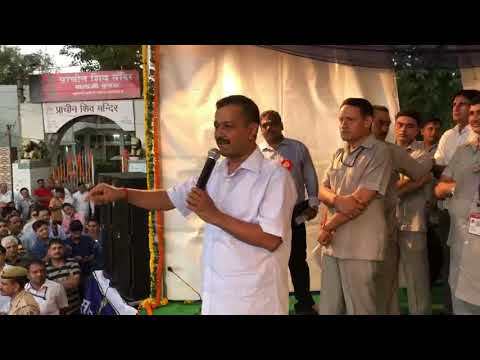 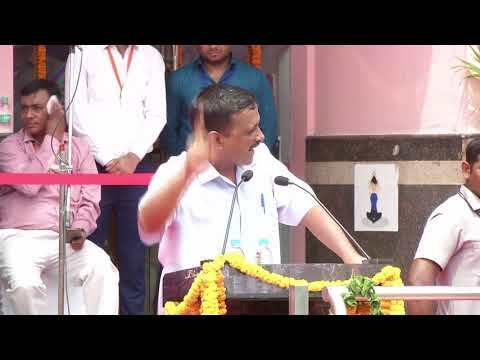 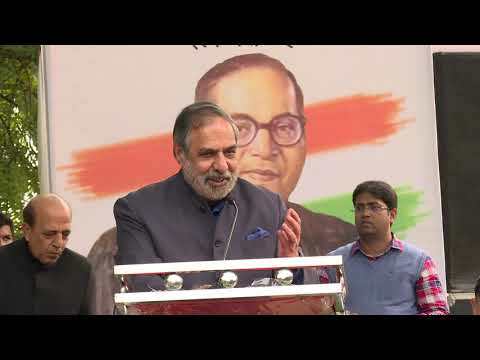 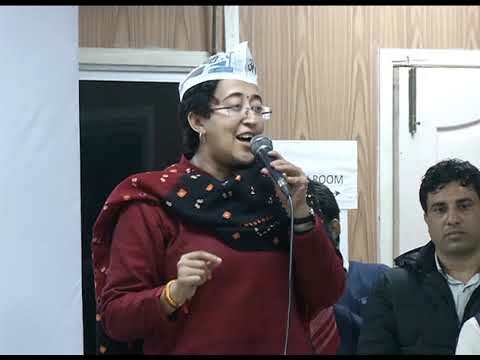 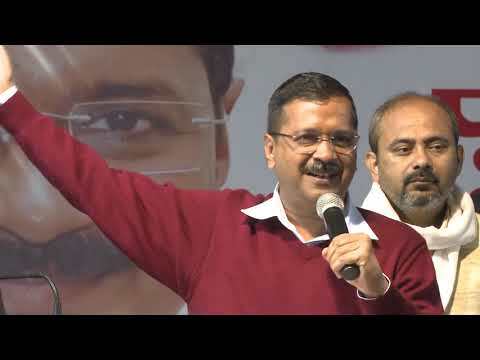 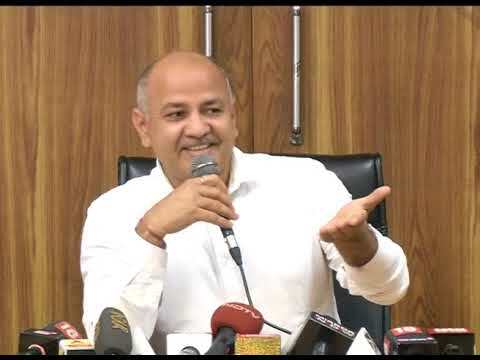 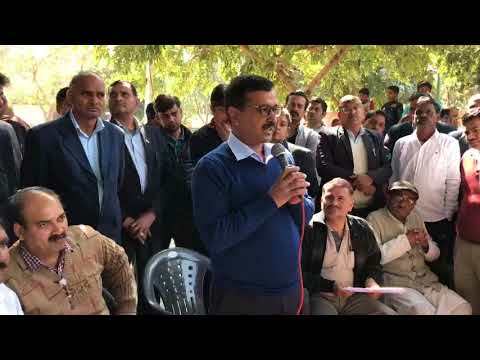 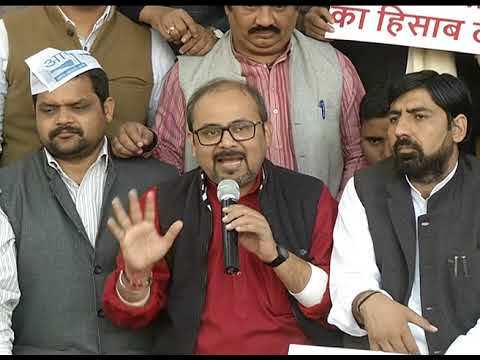 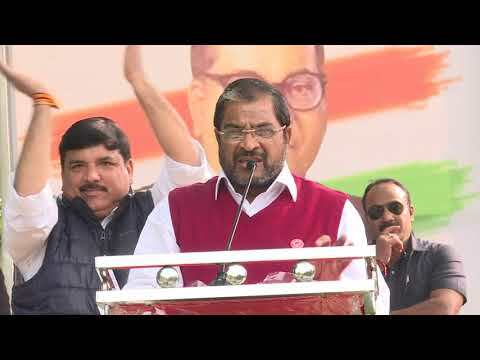 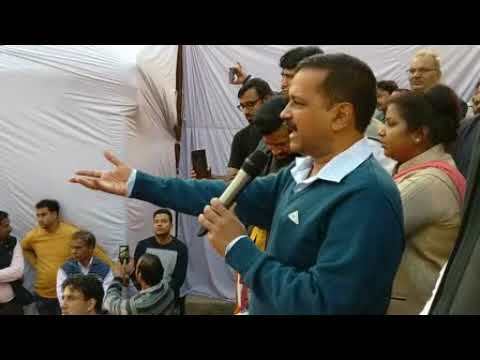 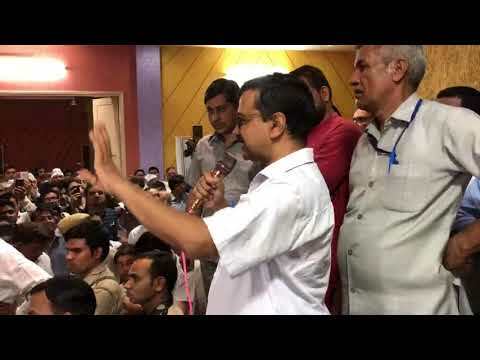 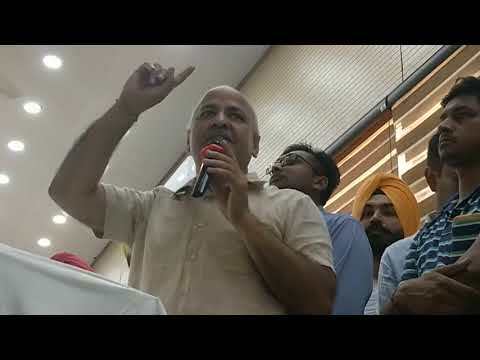 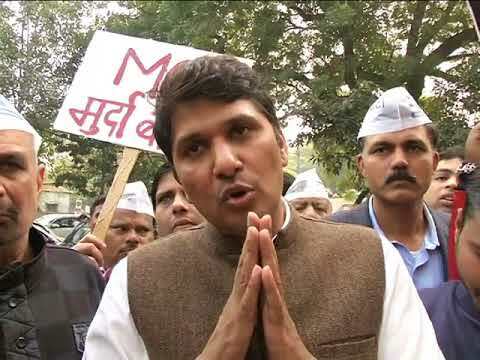 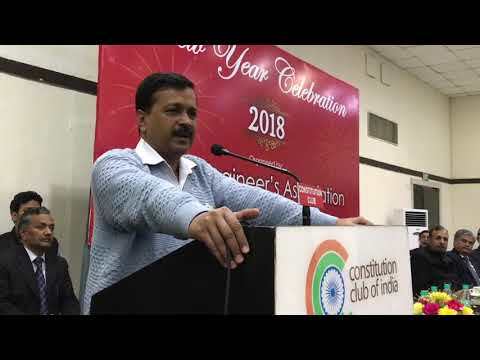 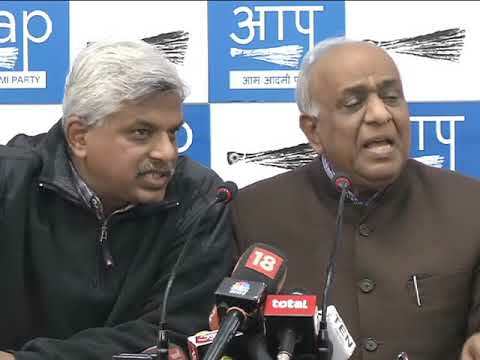 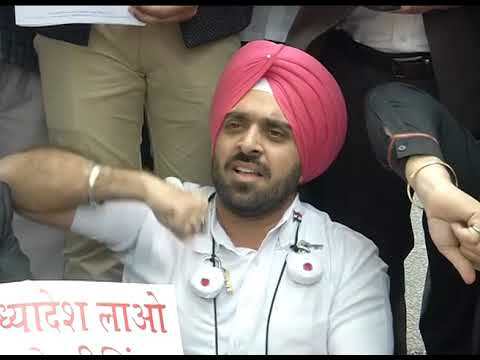 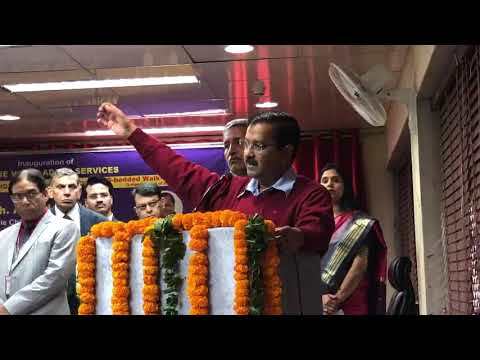 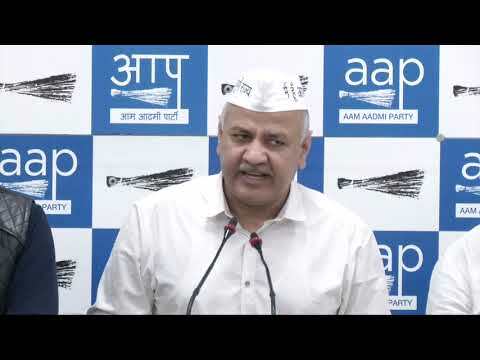 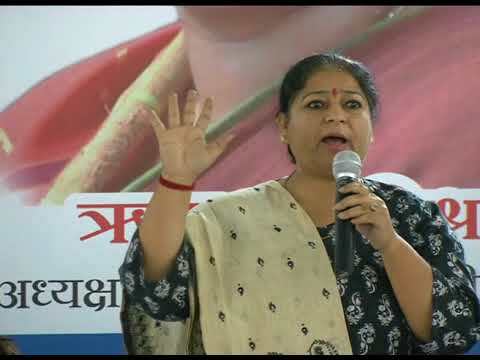 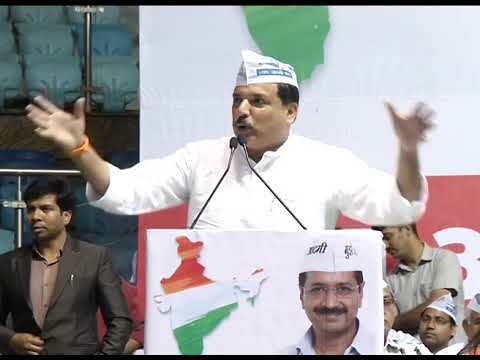 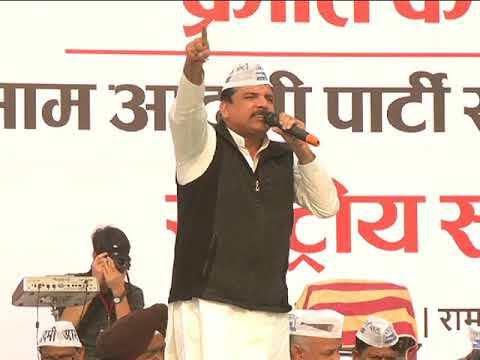 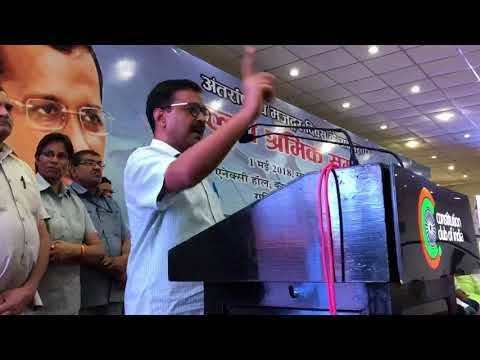 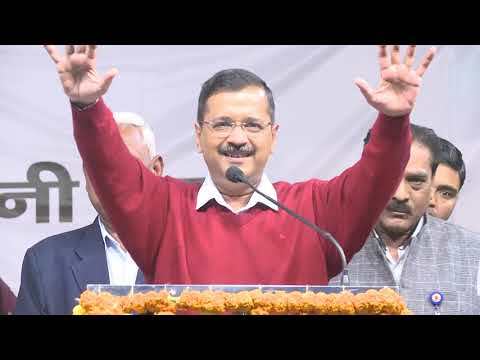 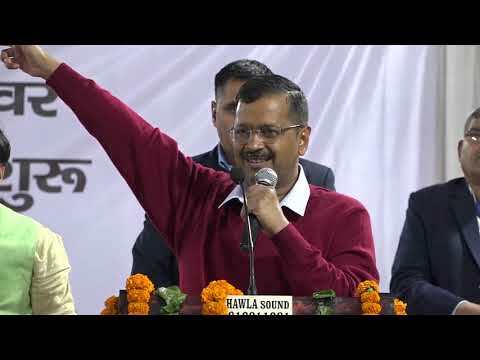 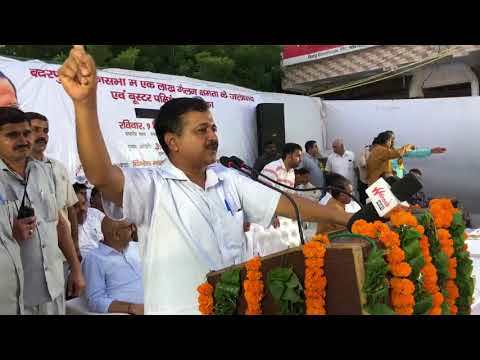 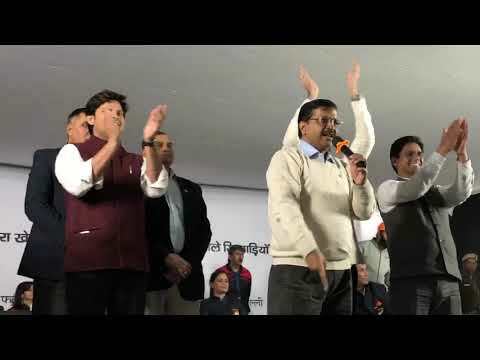 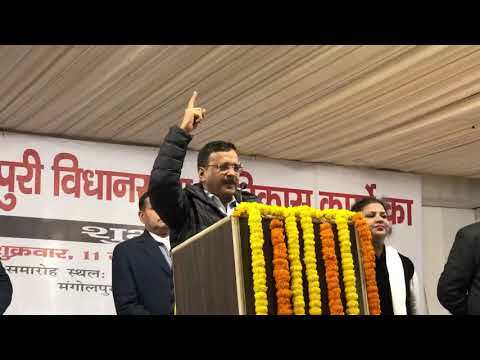 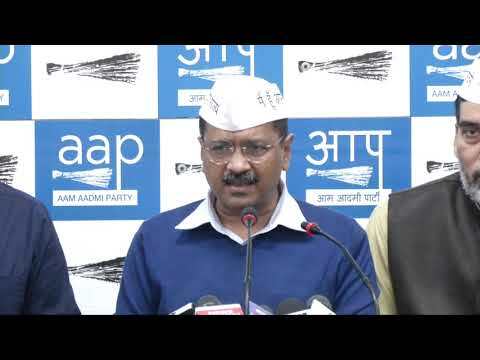 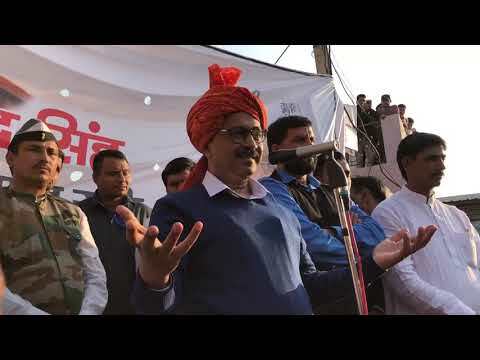 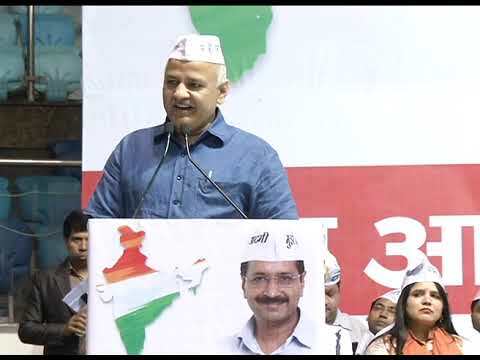 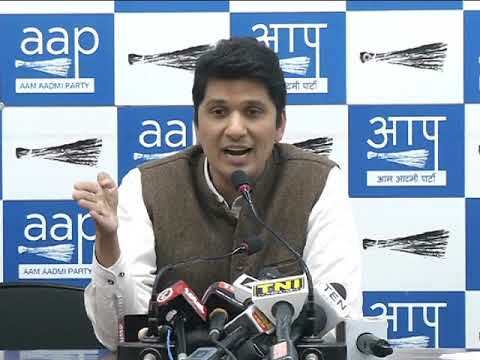 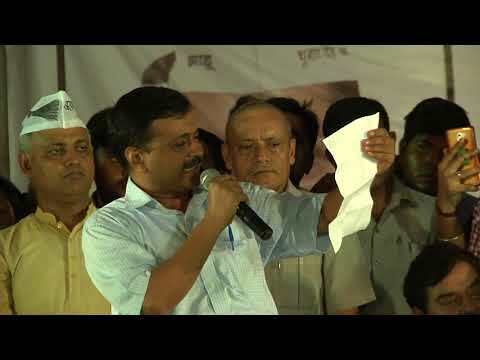 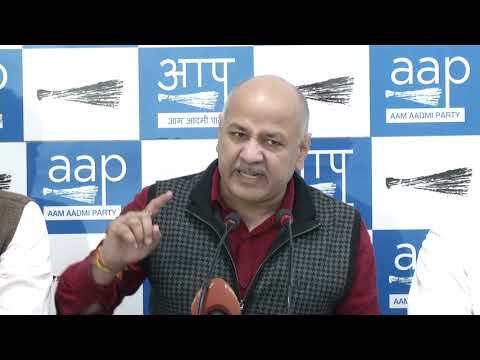 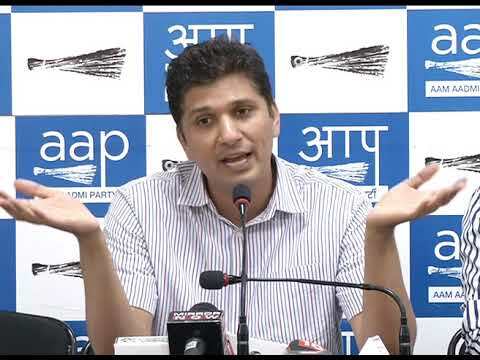 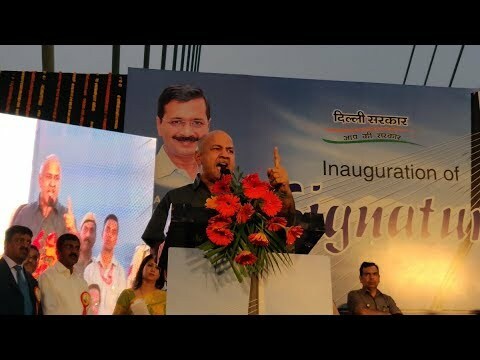 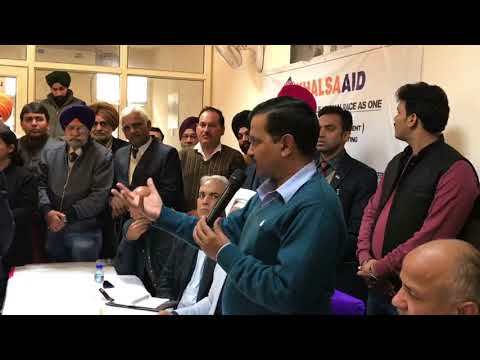 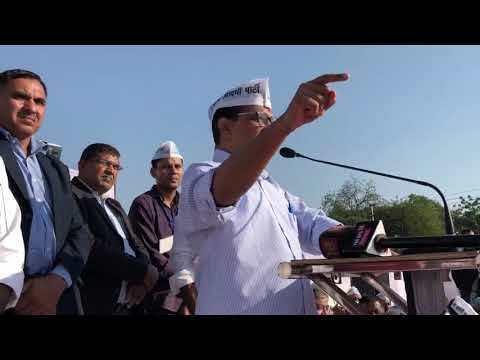 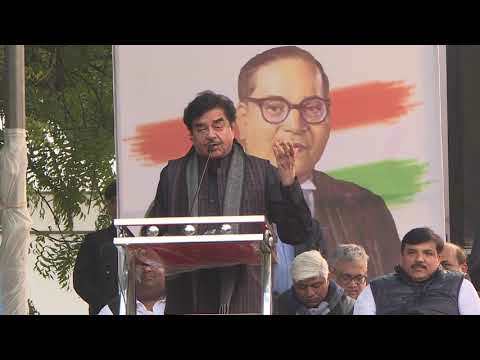 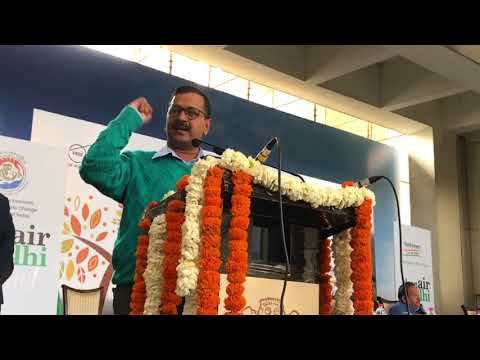 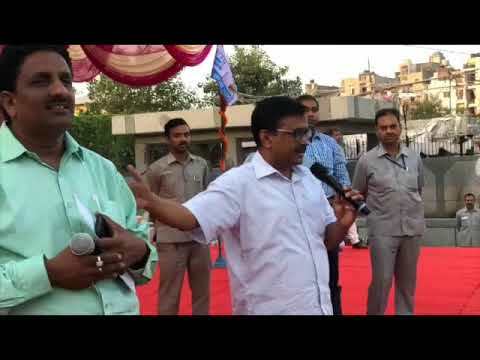 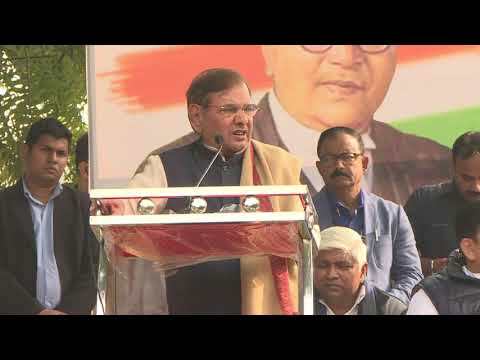 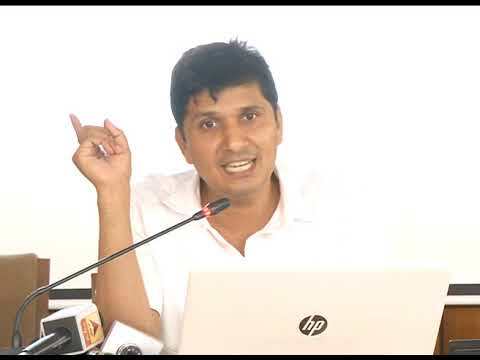 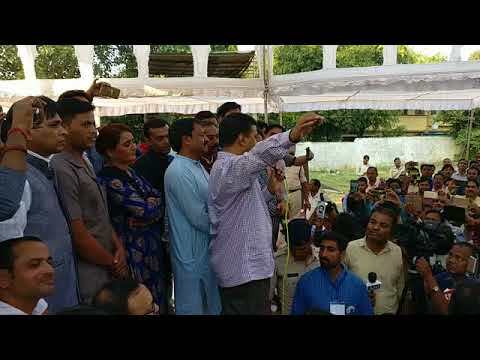 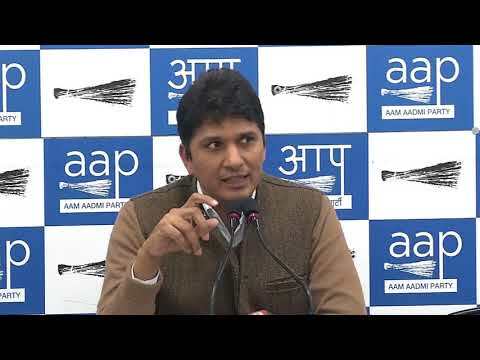 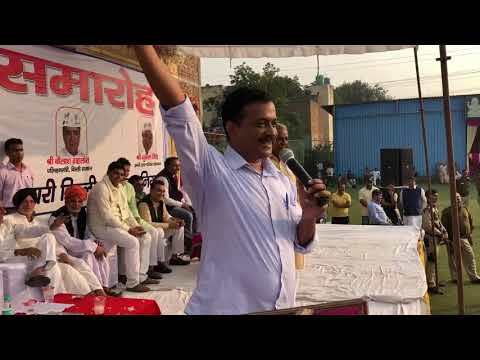 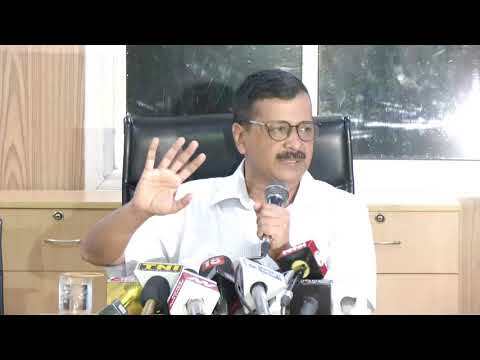 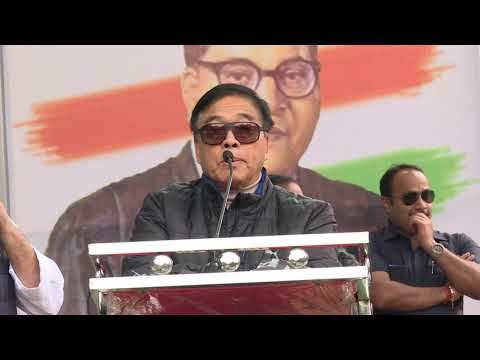 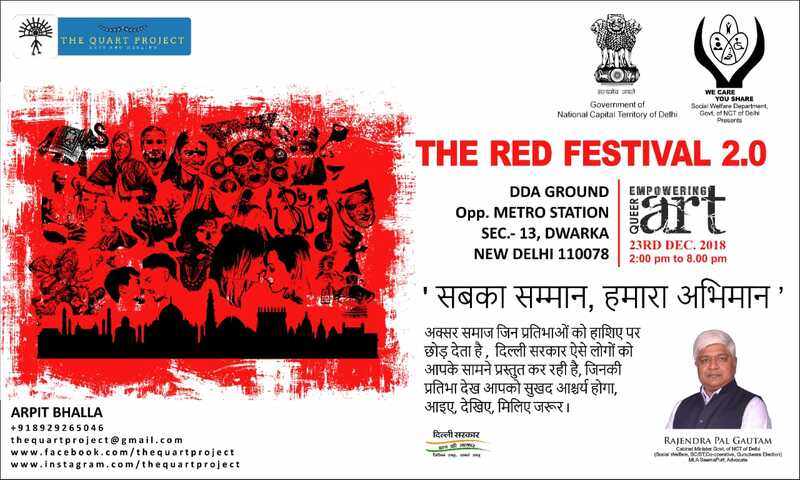 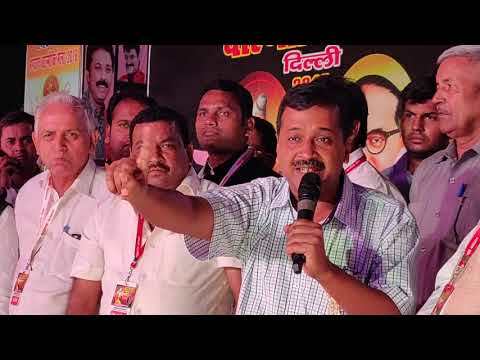 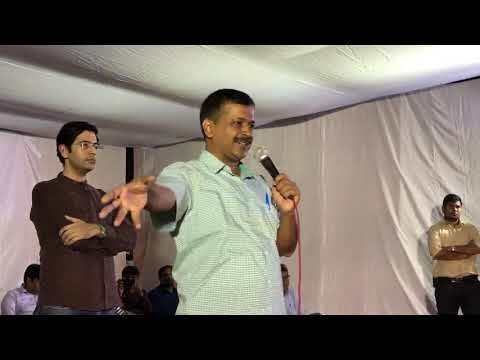 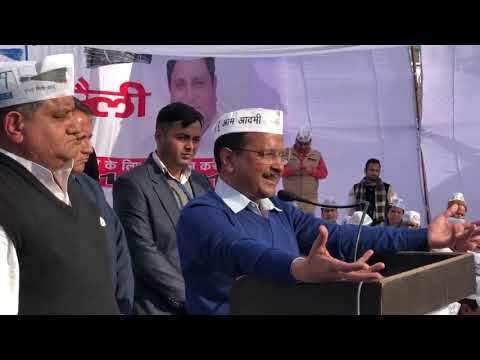 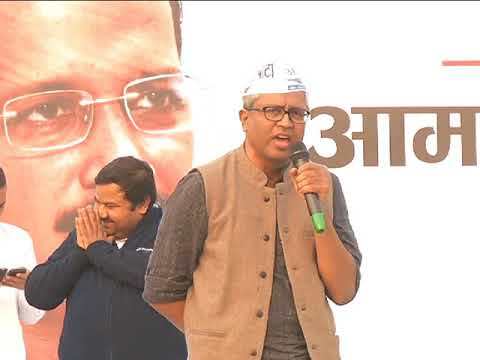 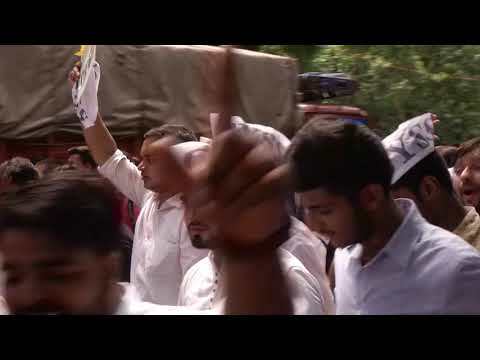 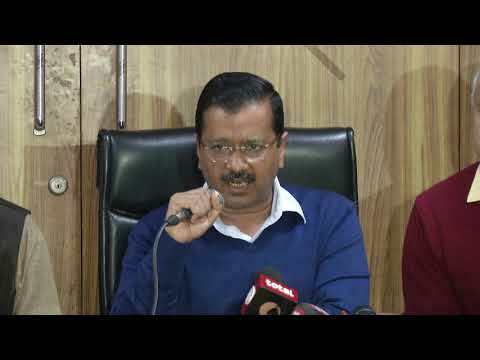 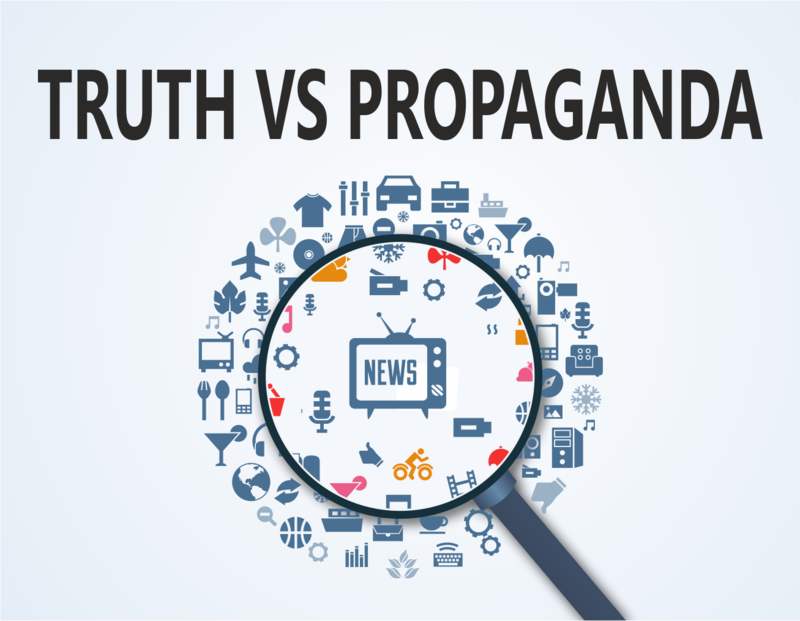 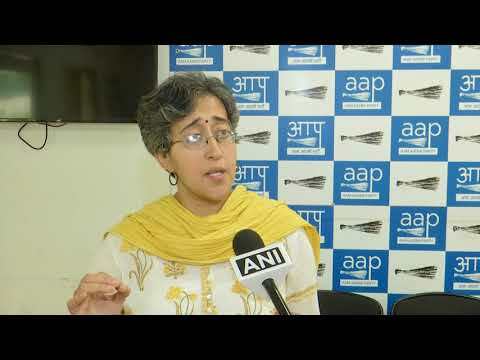 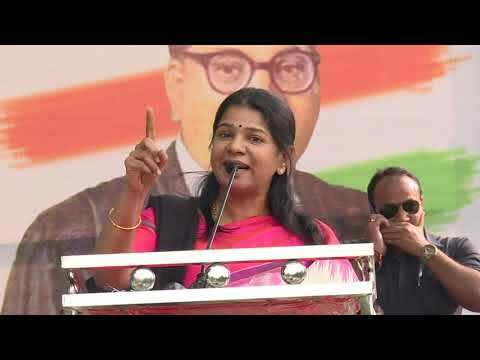 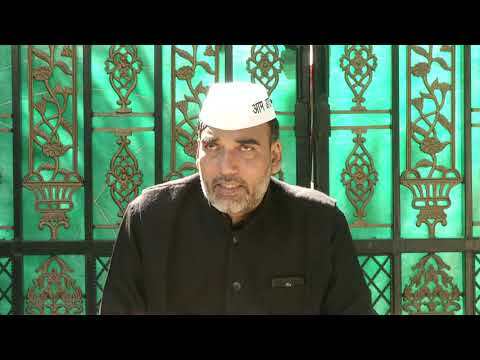 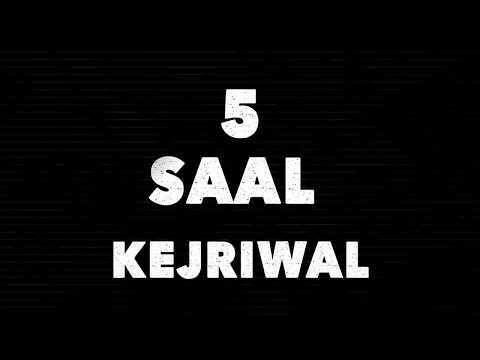 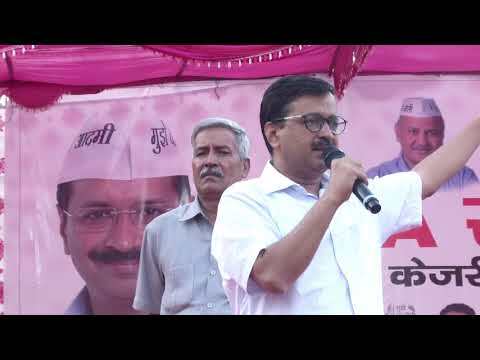 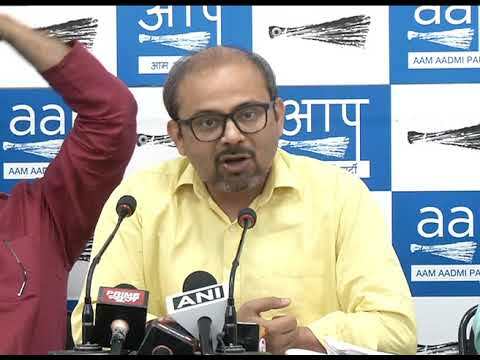 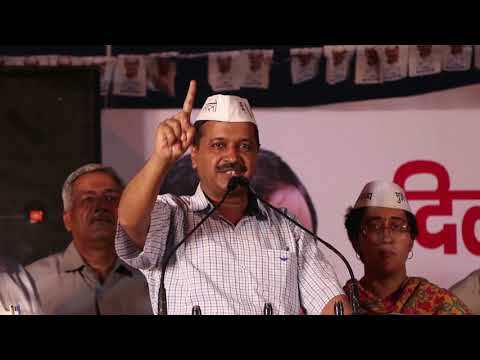 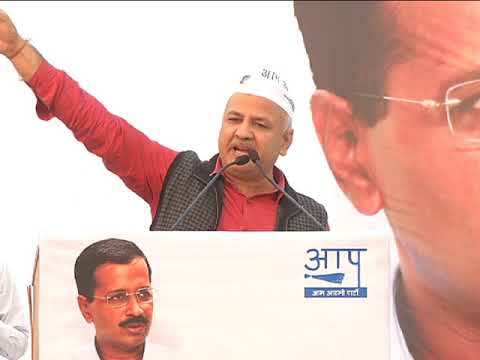 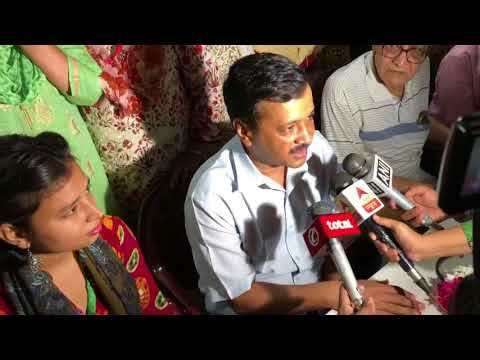 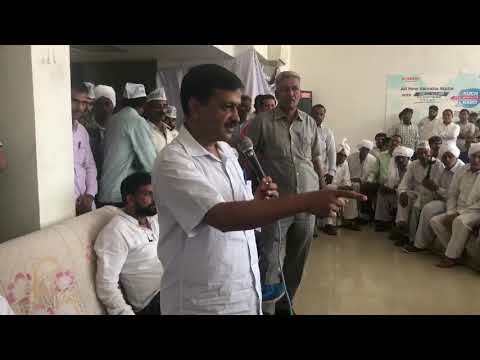 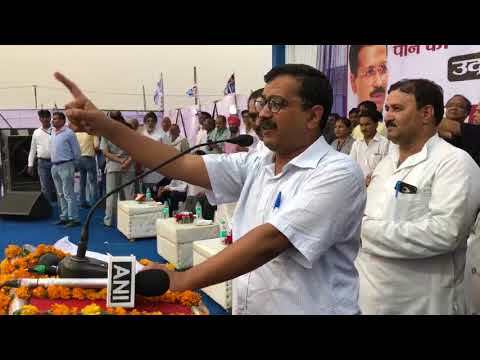 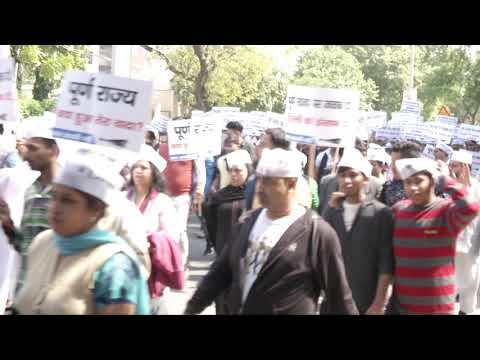 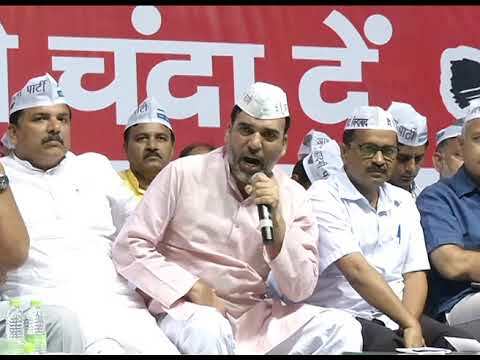 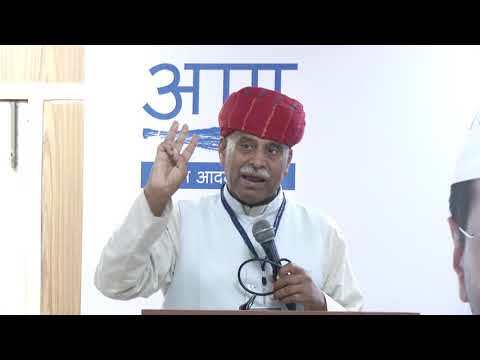 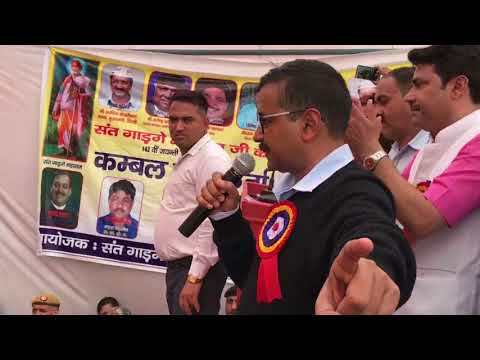 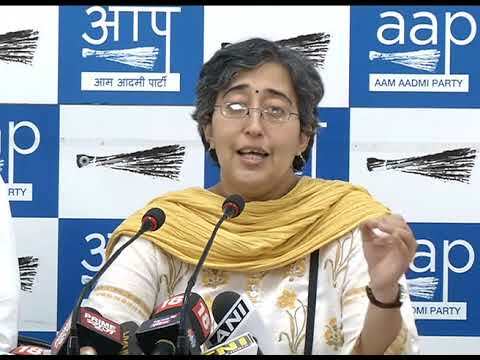 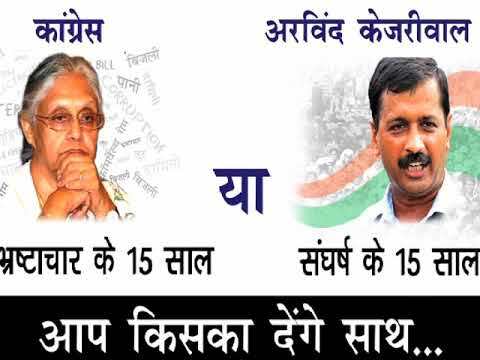 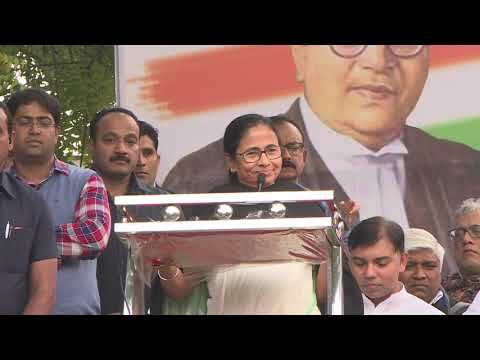 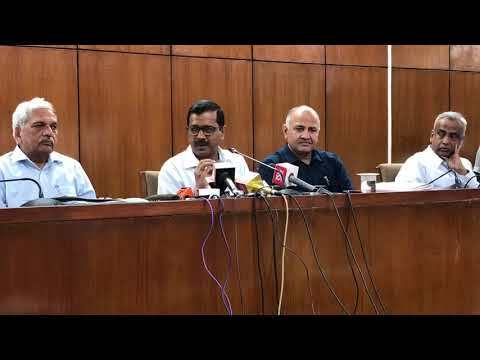 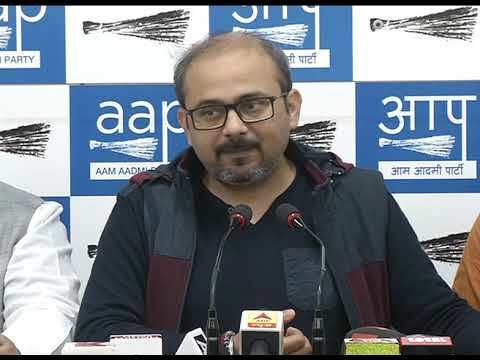 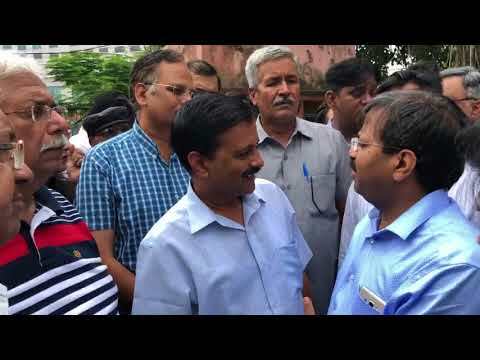 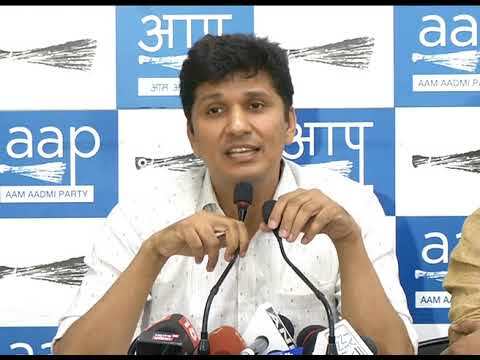 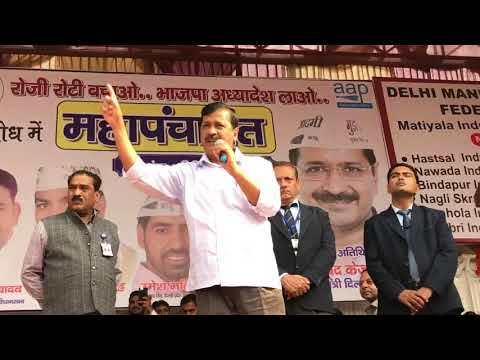 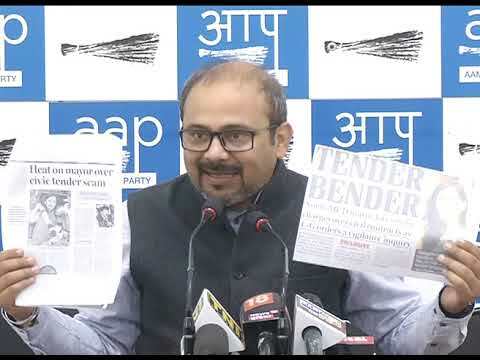 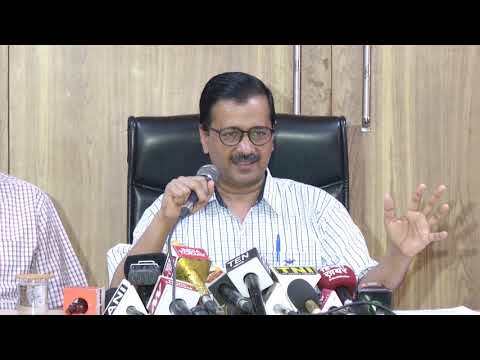 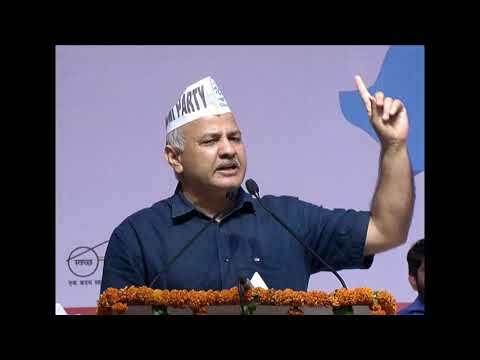 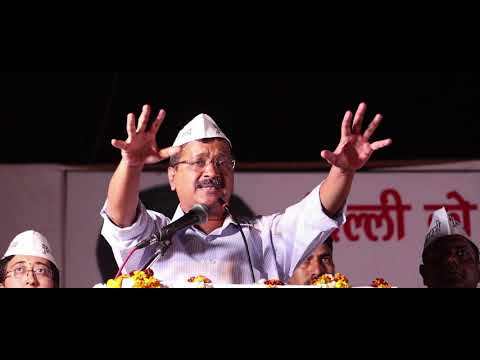 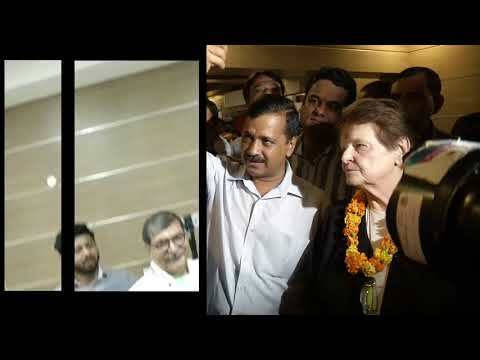 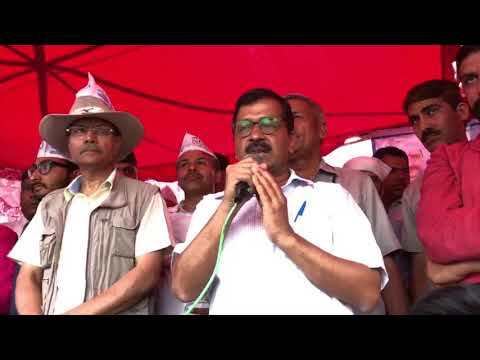 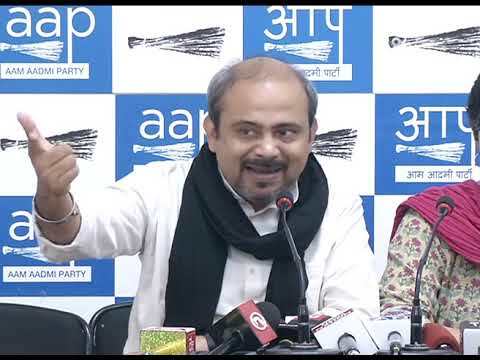 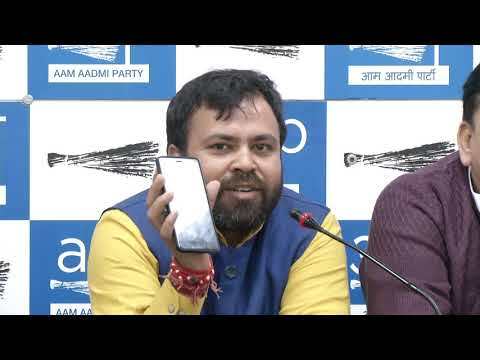 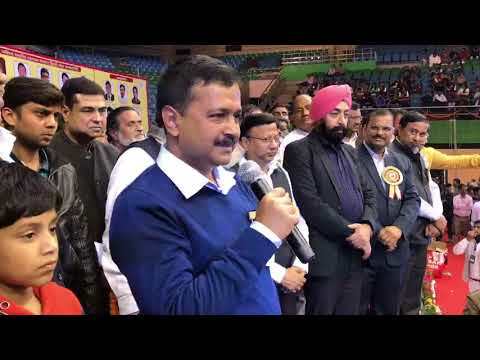 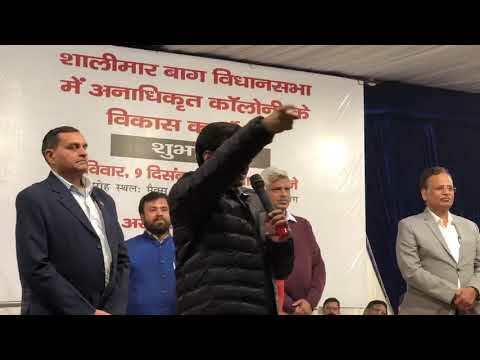 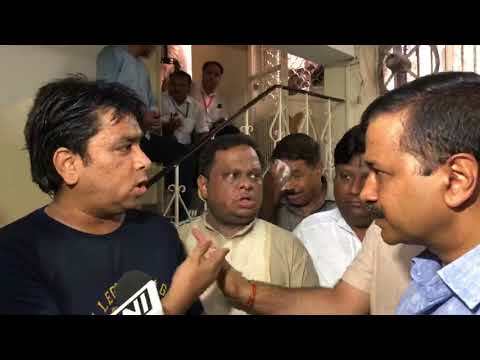 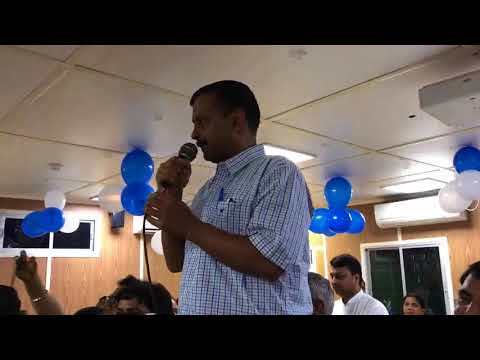 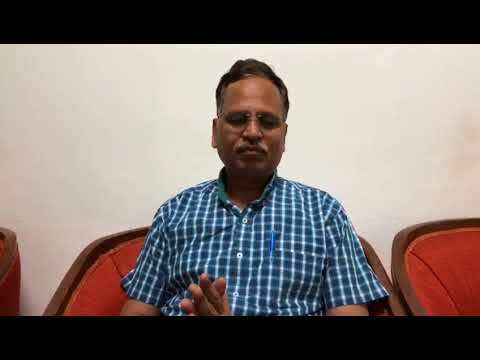 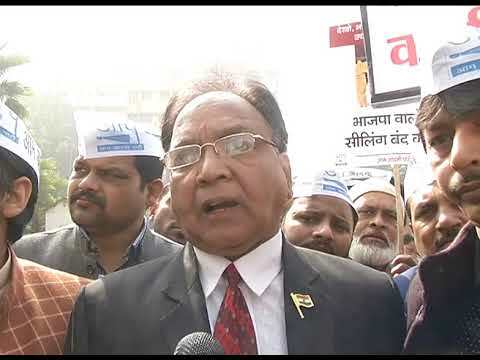 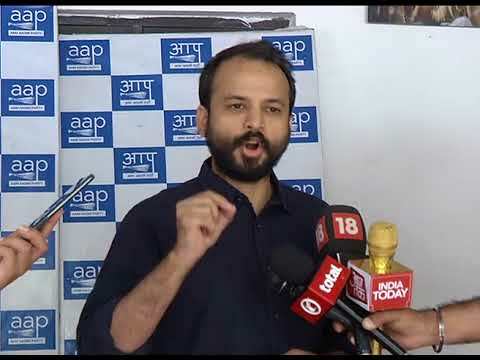 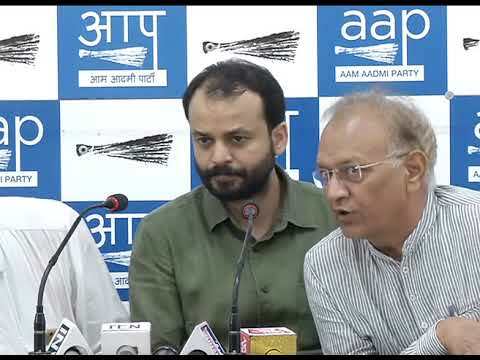 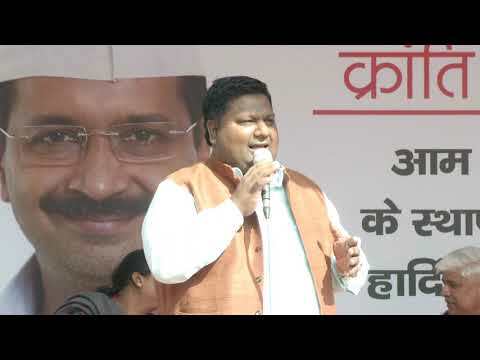 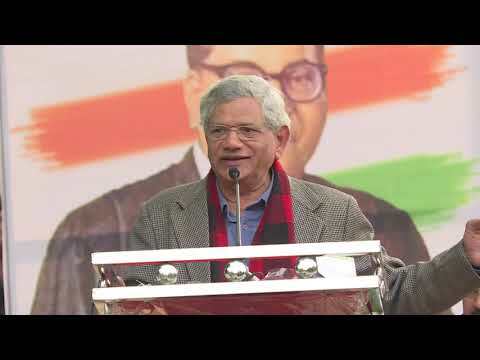 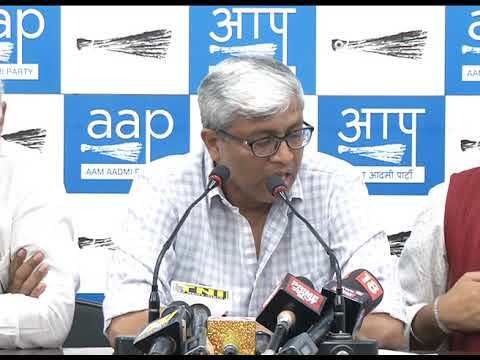 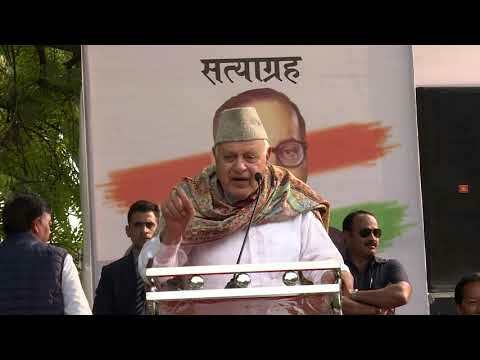 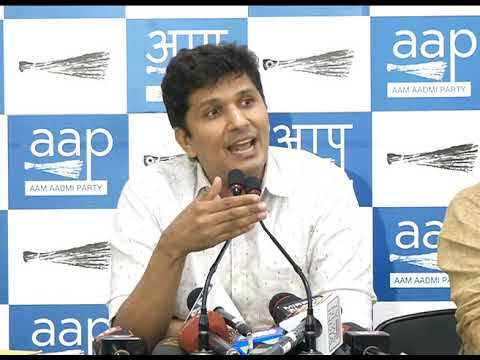 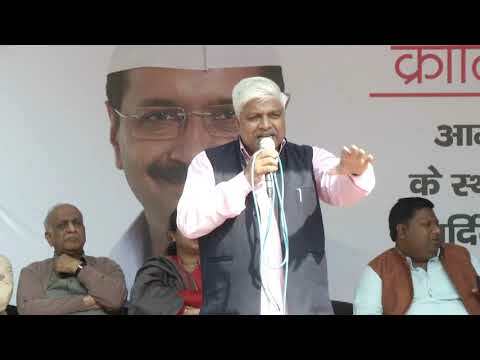 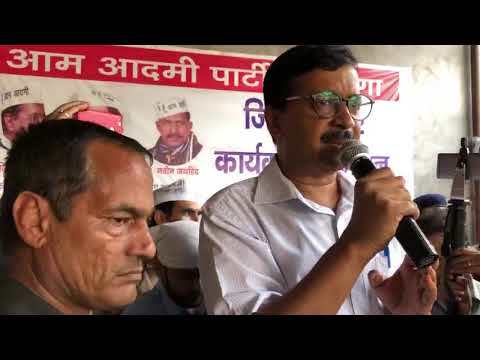 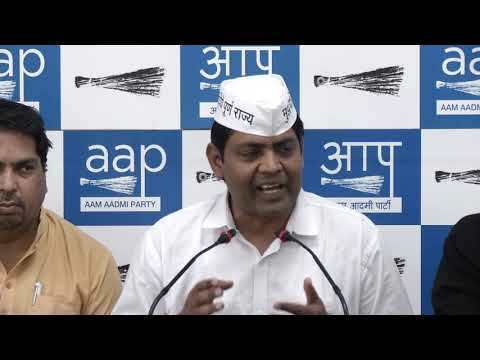 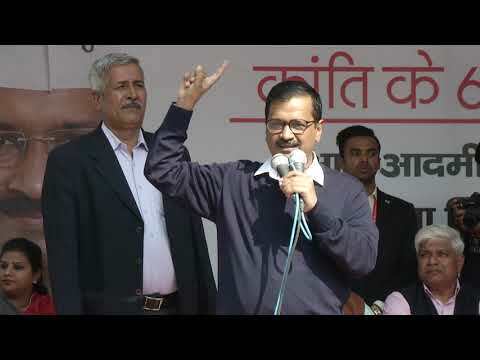 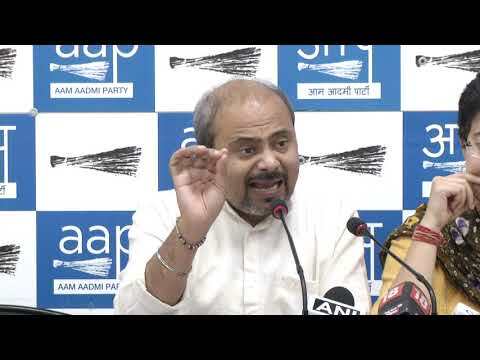 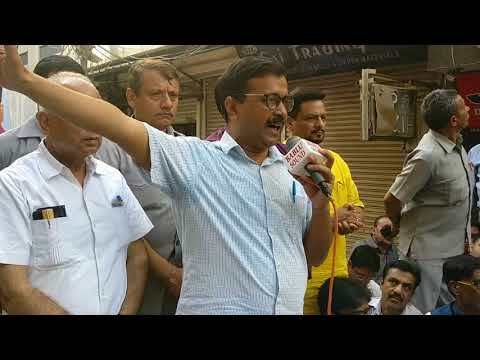 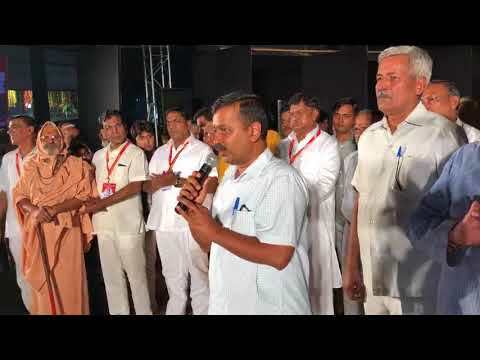 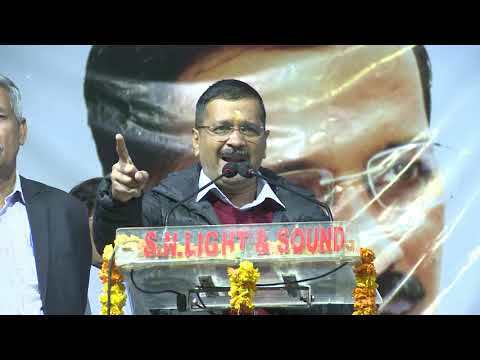 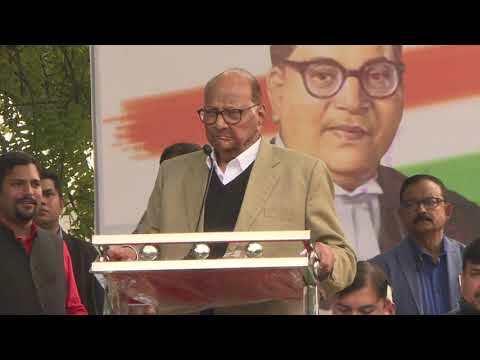 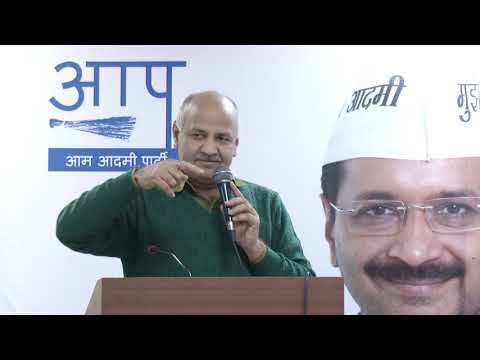 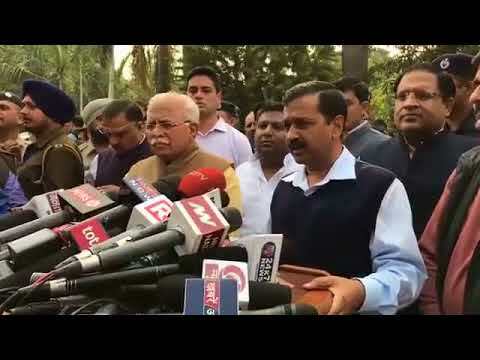 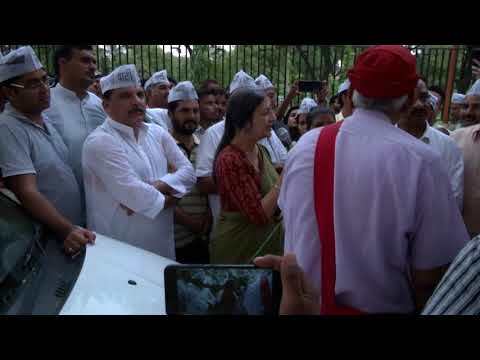 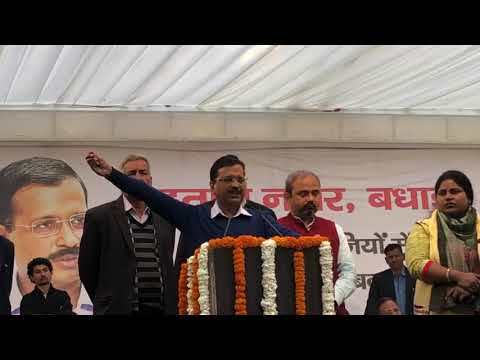 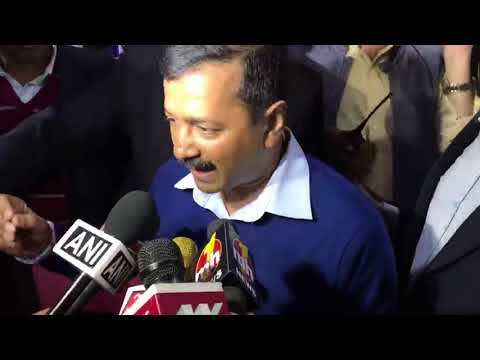 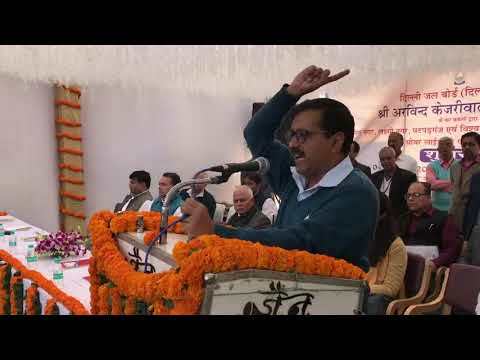 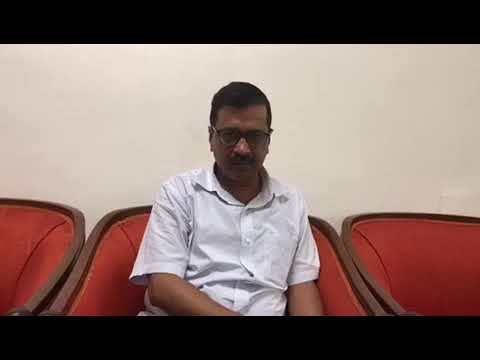 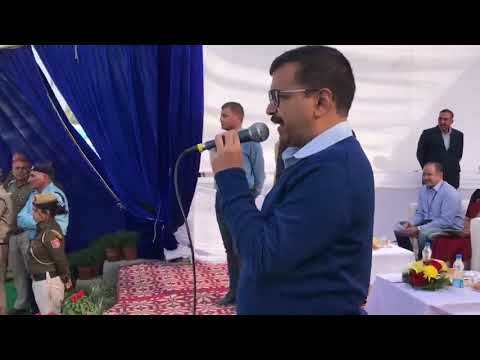 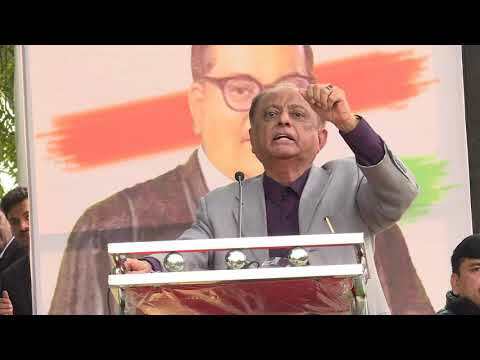 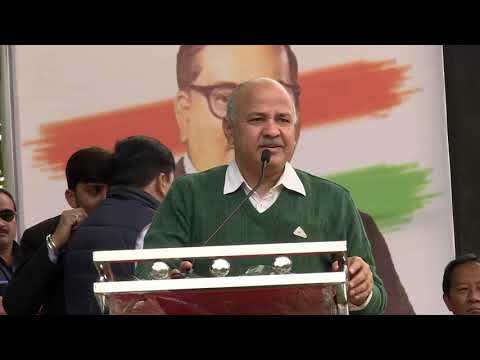 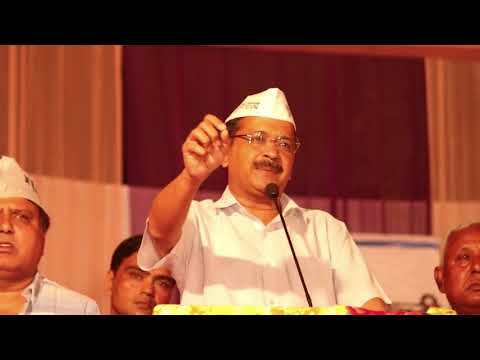 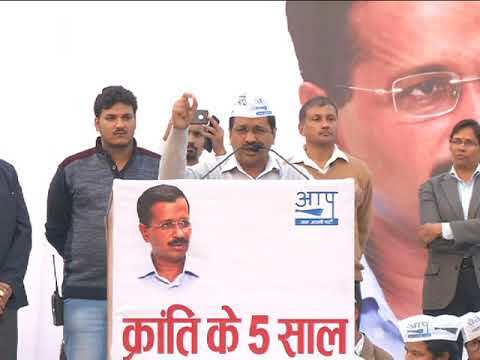 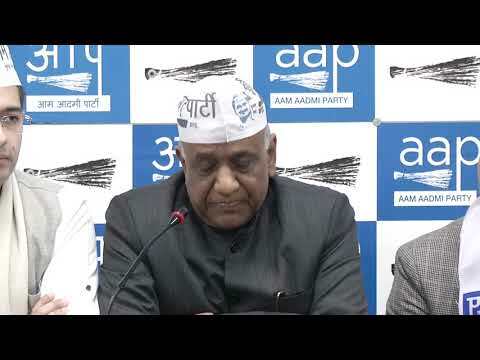 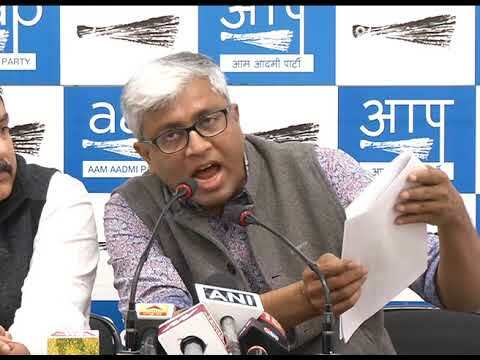 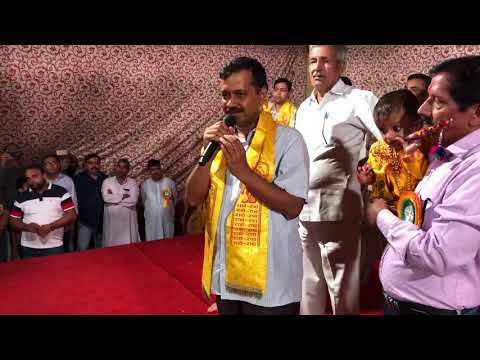 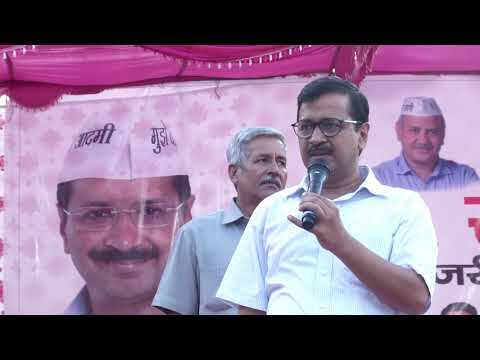 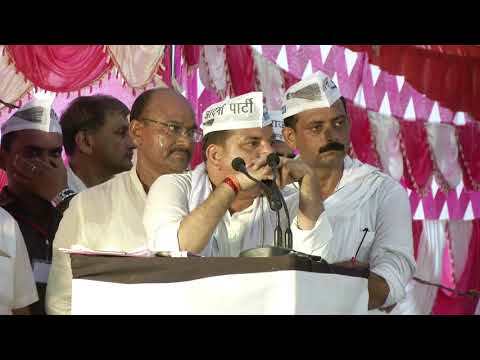 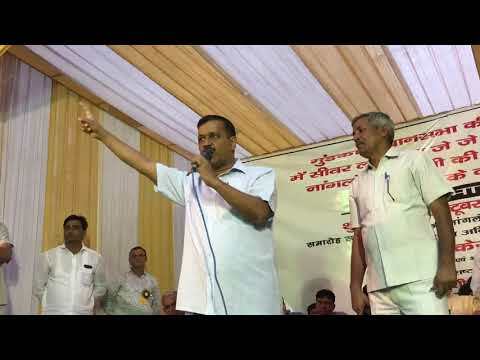 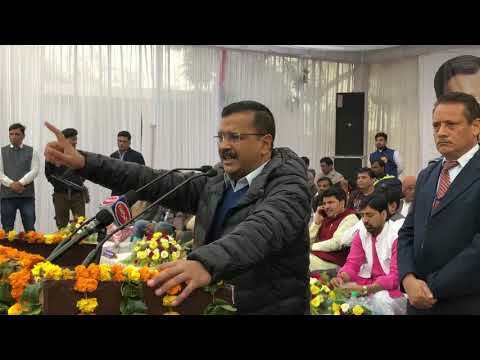 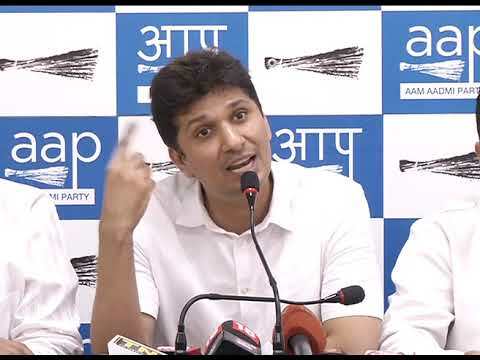 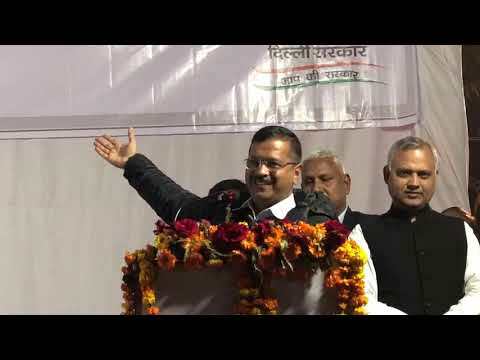 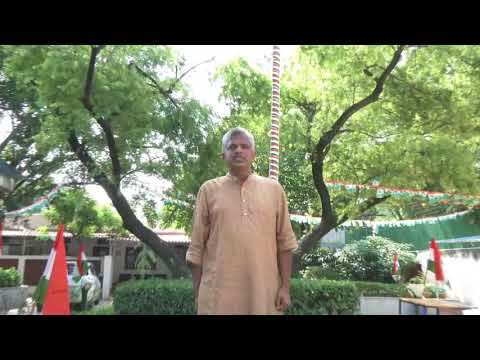 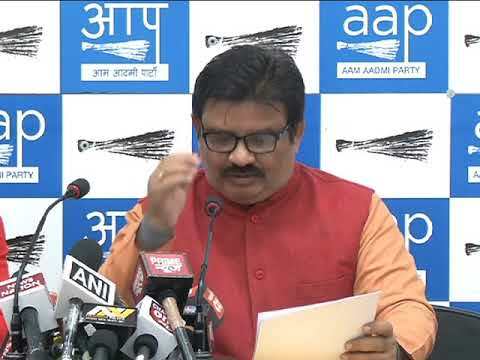 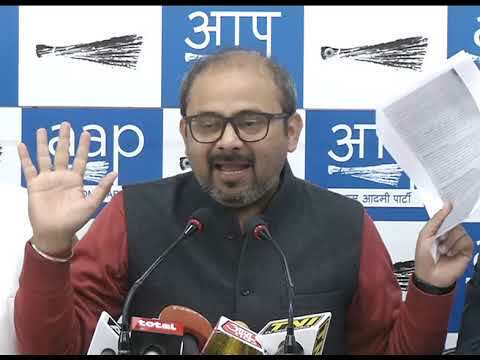 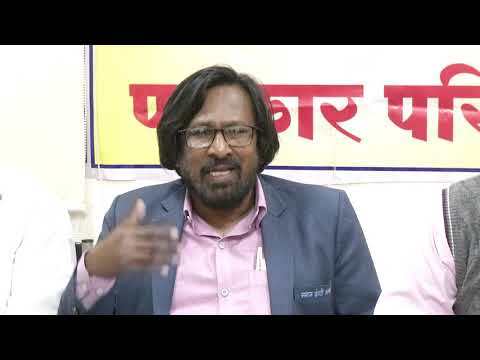 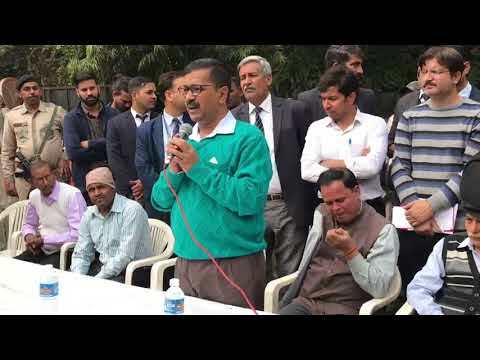 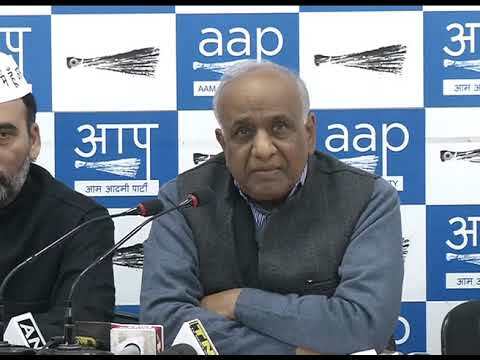 Lok Sabha Election Campaign Song “दिल्ली कहती पूर्ण राज्य दो"
AAP Launches Campaign Song For Lok Sabha Election “दिल्ली कहती पूर्ण राज्य दो"
Why is Opposition Parties Not Supporting Delhi CM Indefinite Hunger Strike? 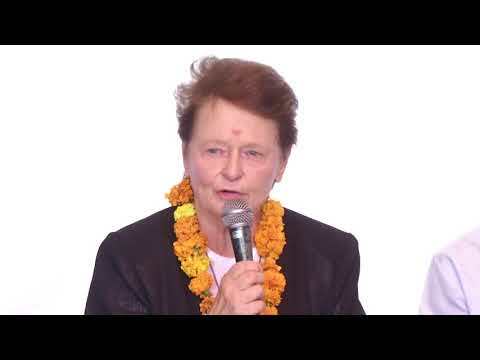 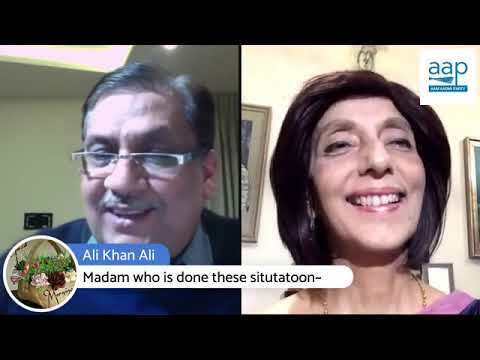 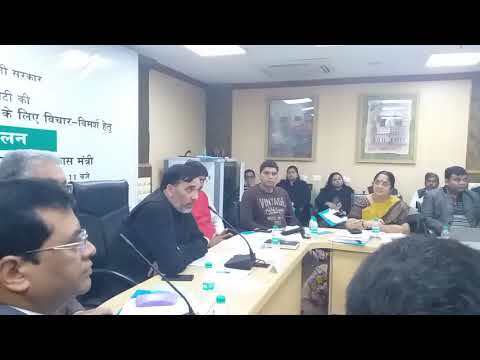 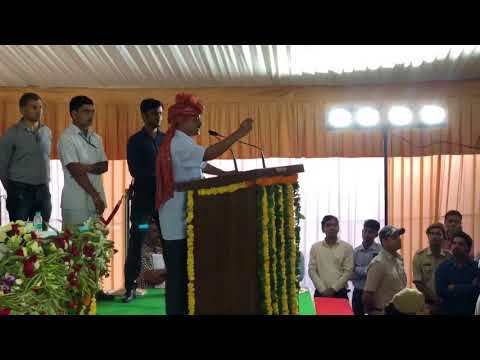 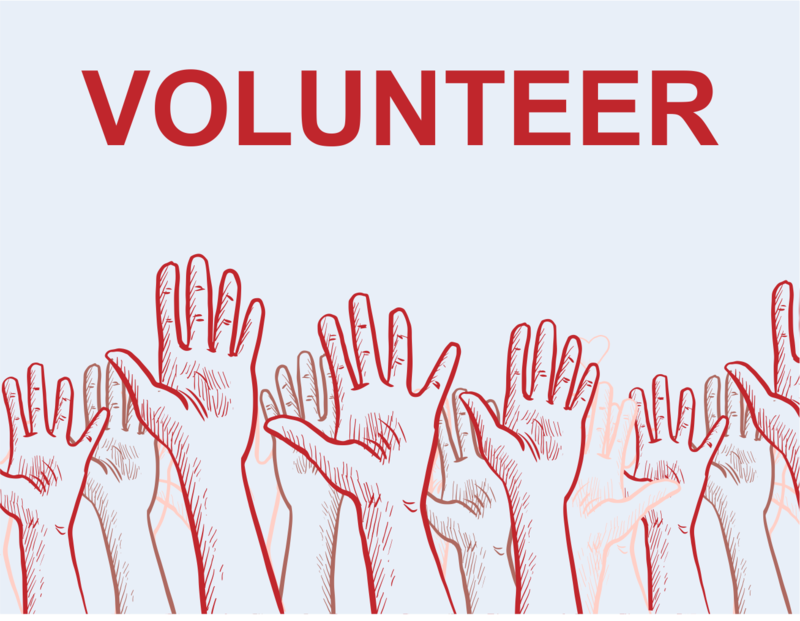 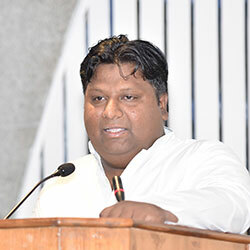 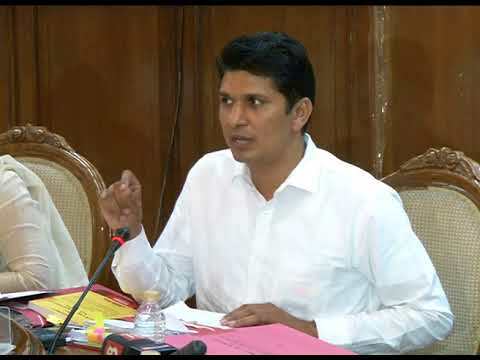 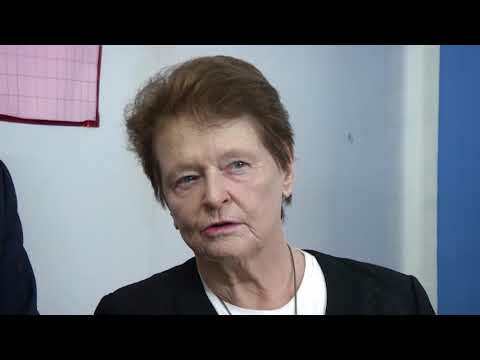 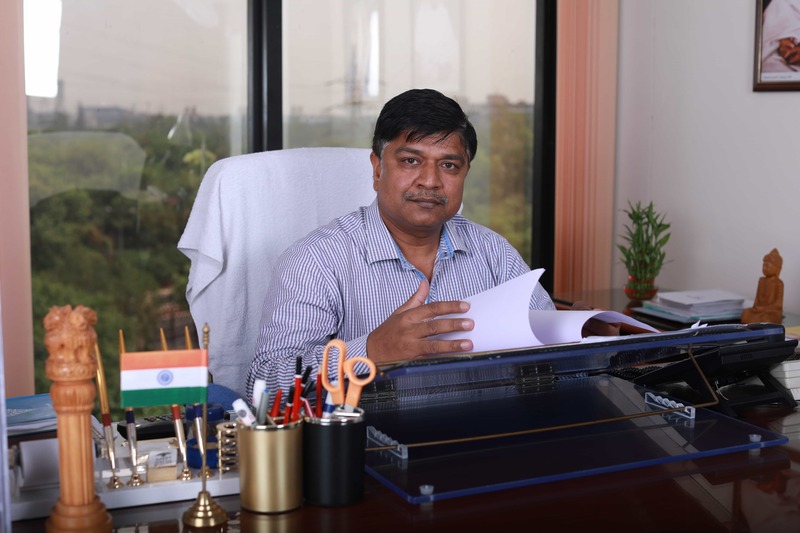 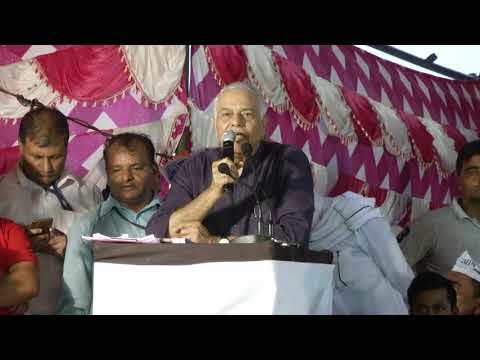 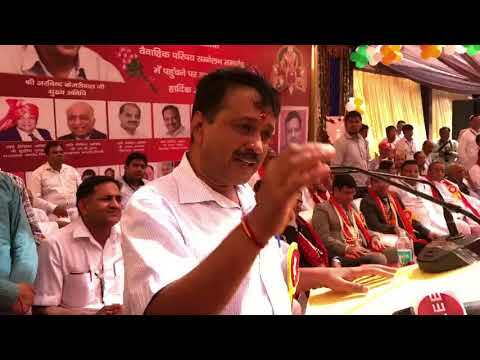 संजय सिंह ने पीएम को चिट्ठी "न्यायाधीशों को रिटारमेंट के बाद कोई लाभ का पद नहीं मिलना चाहिए"
Delhi CM Arvind Kejriwal inaugurates development work in unauthorised colonies of Rohtas Nagar. 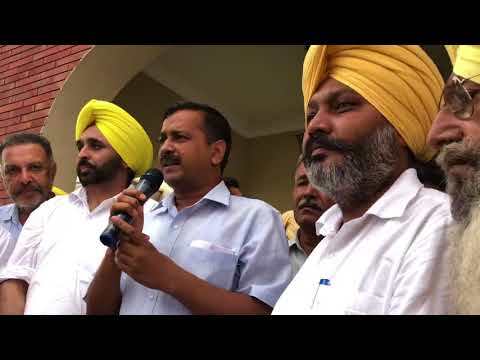 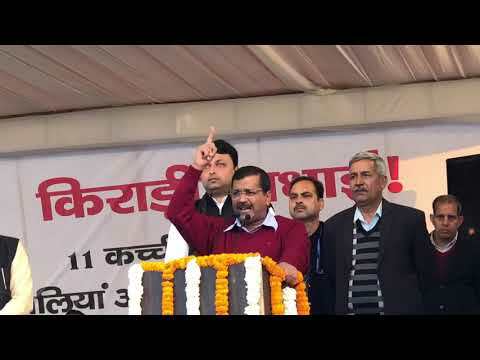 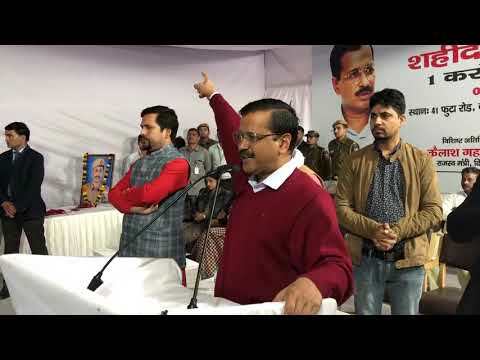 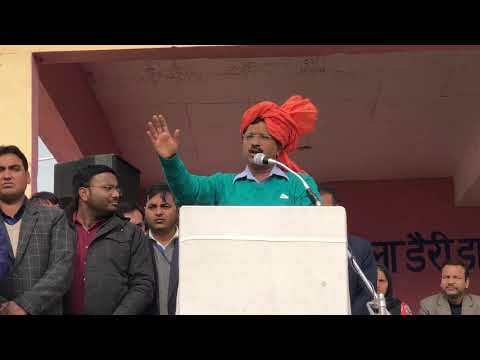 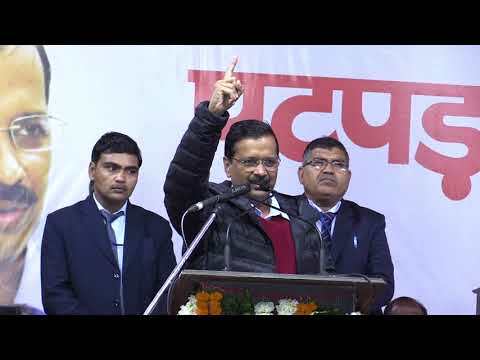 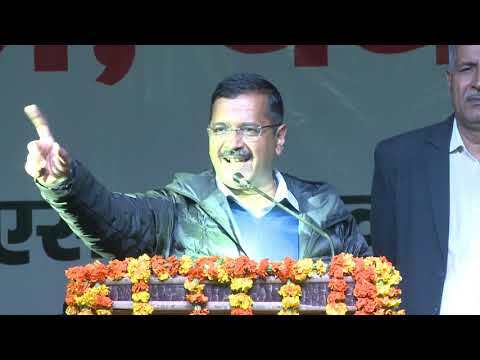 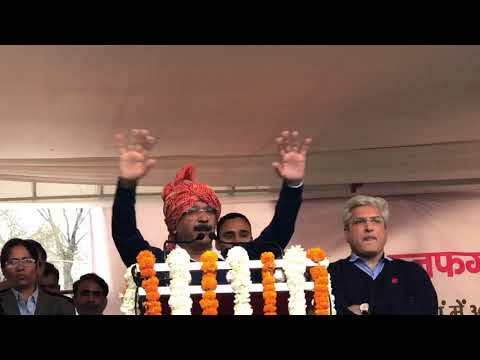 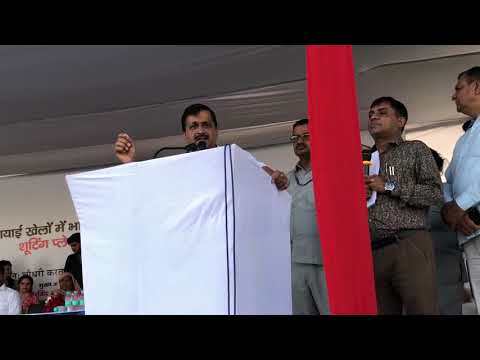 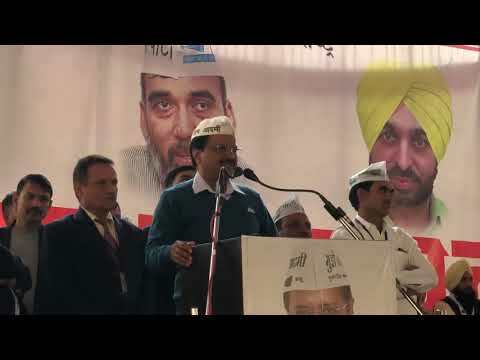 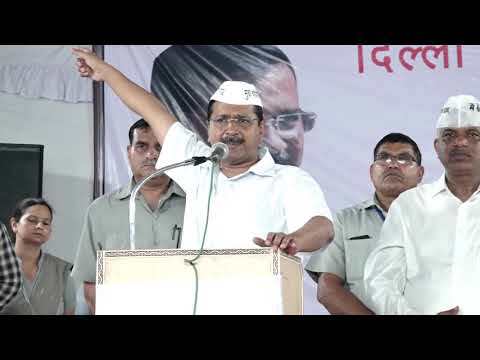 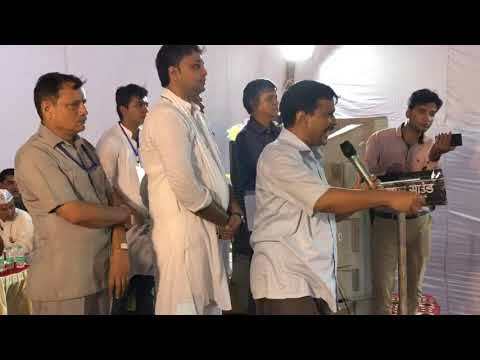 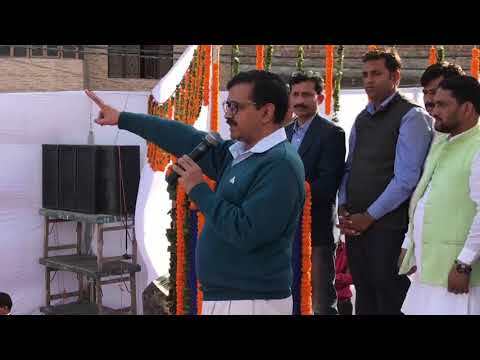 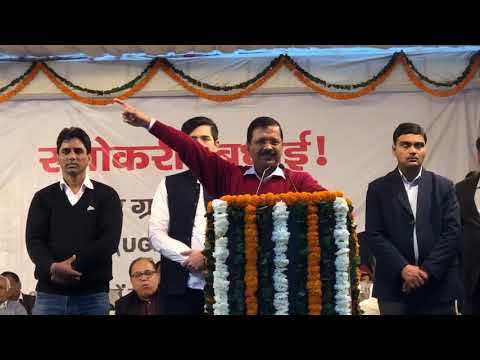 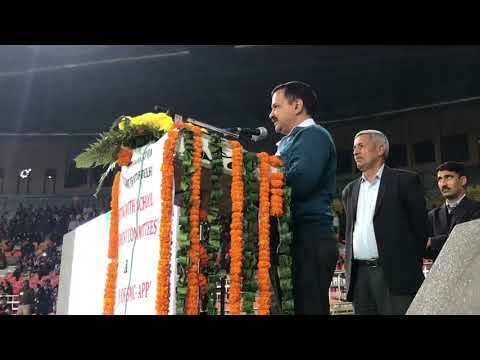 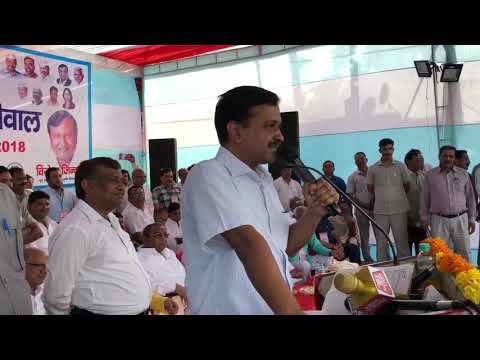 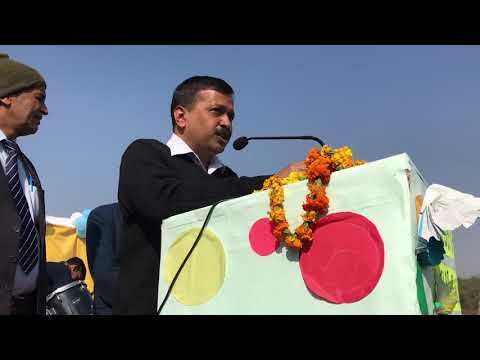 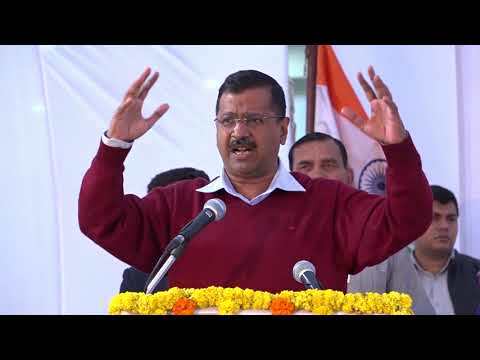 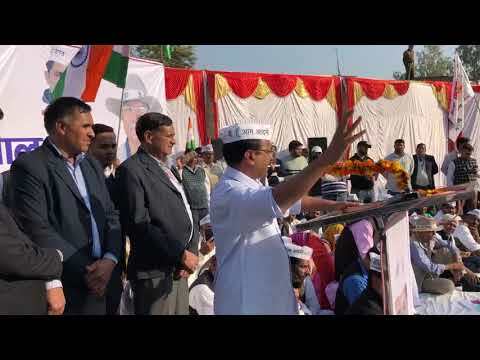 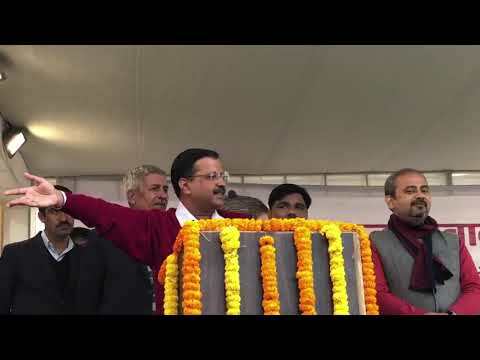 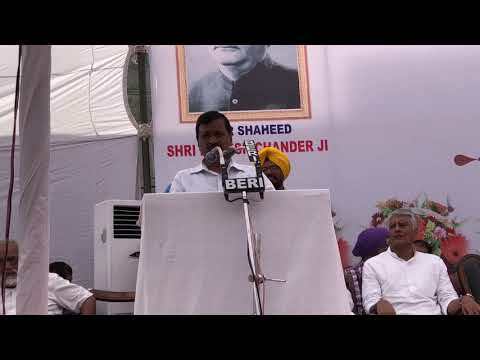 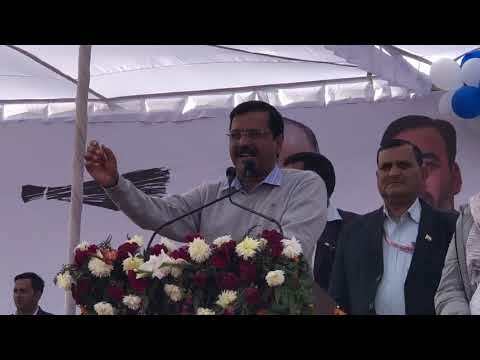 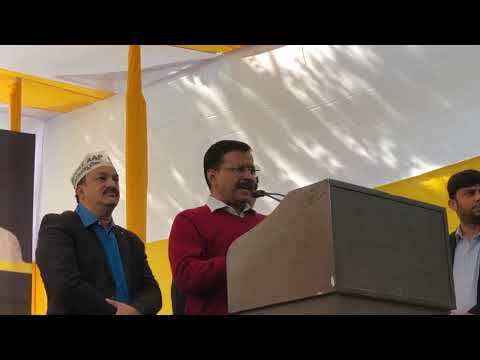 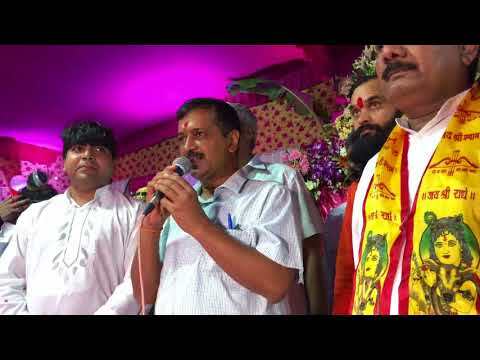 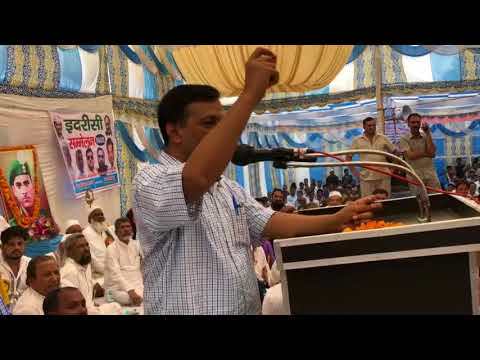 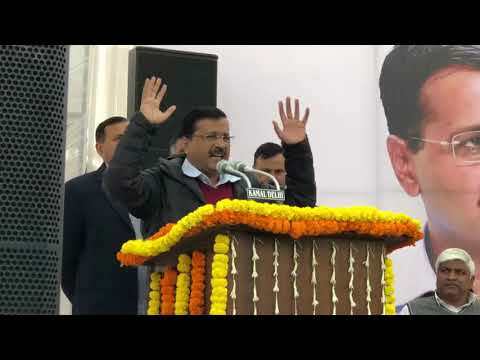 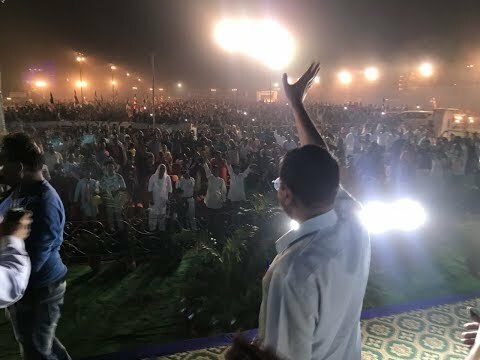 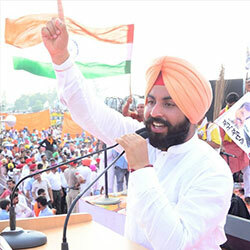 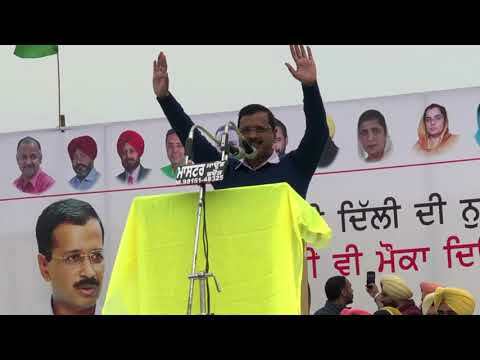 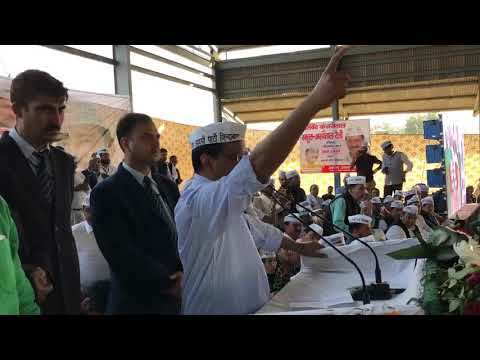 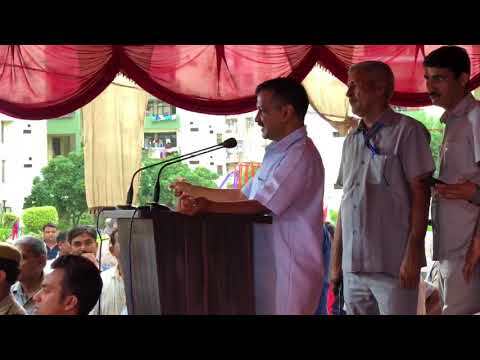 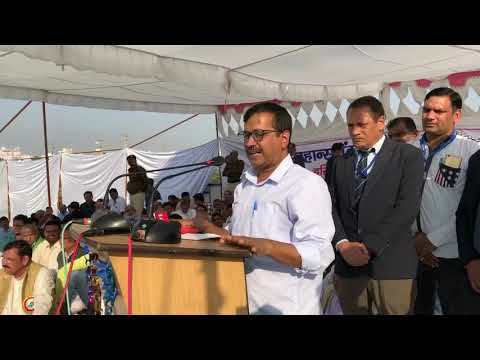 Arvind Kejriwal addressed the Massive gathering of People of Punjab in Barnala. 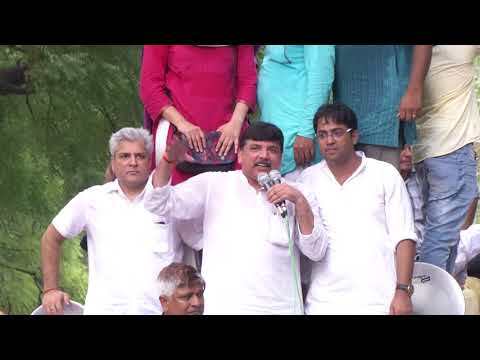 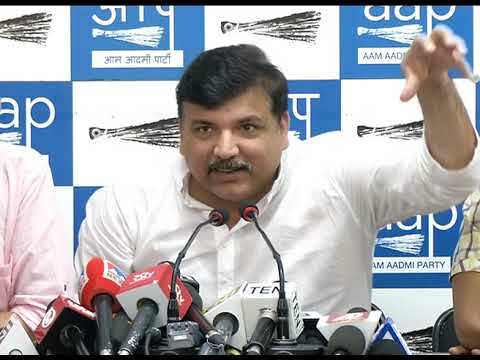 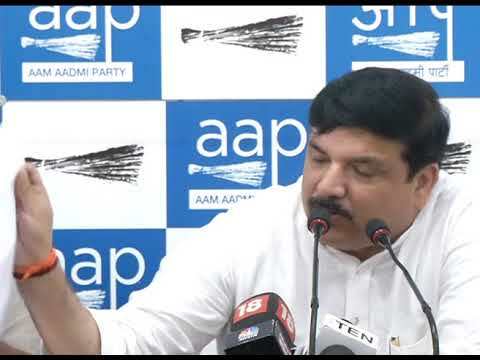 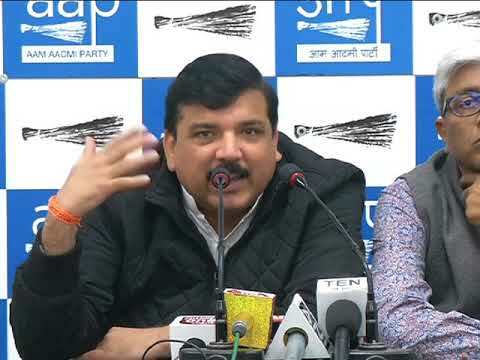 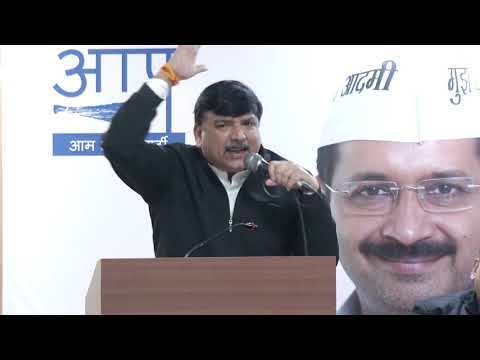 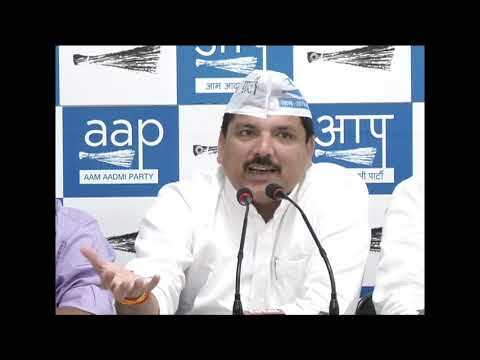 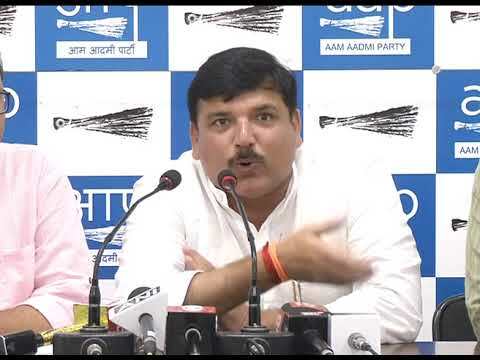 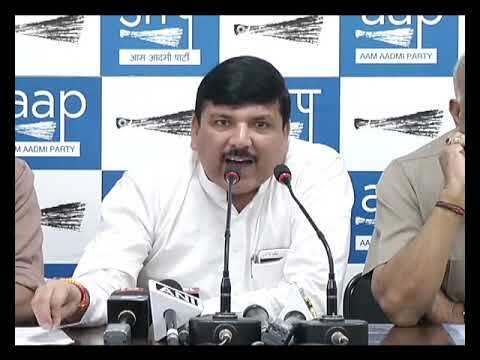 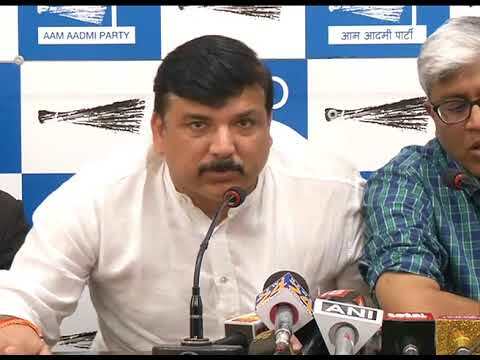 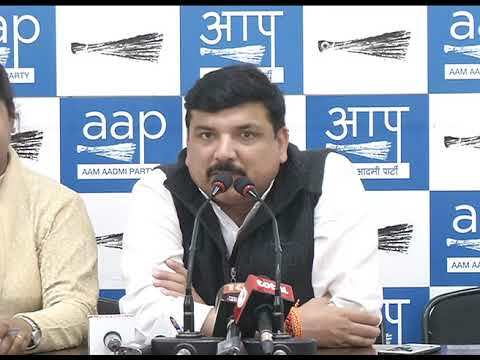 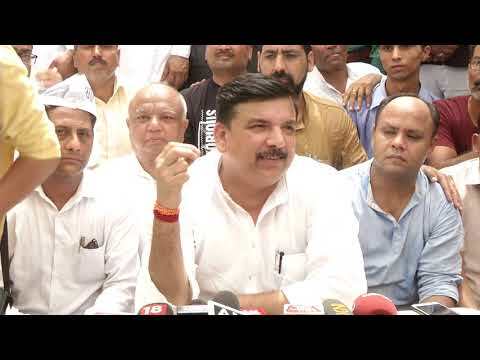 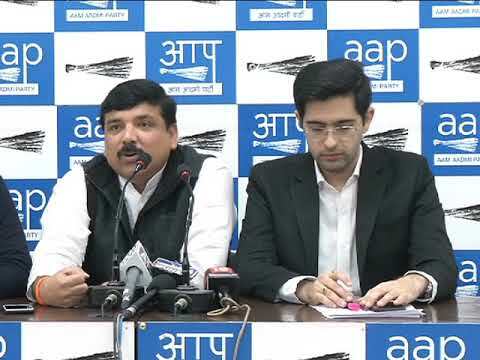 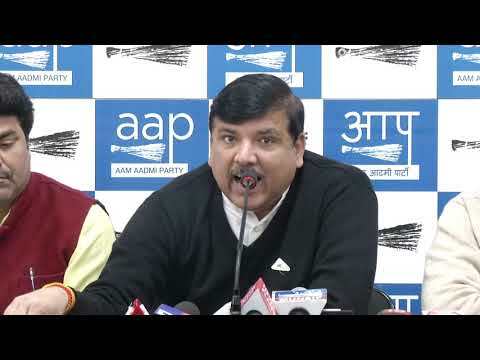 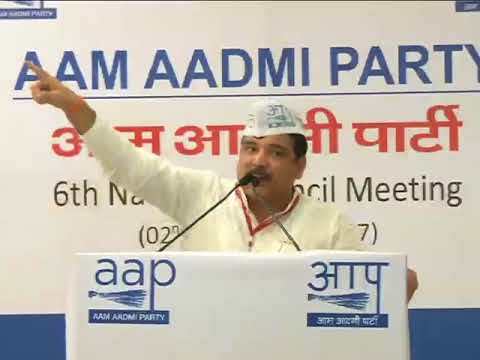 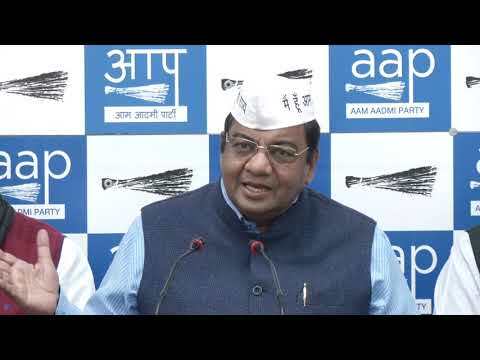 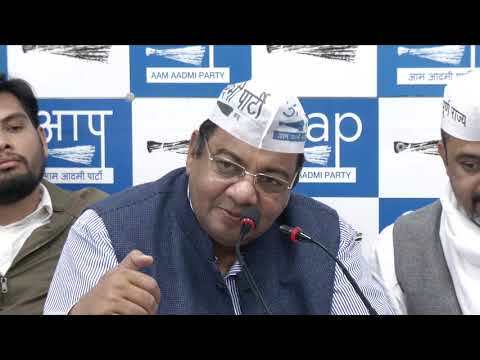 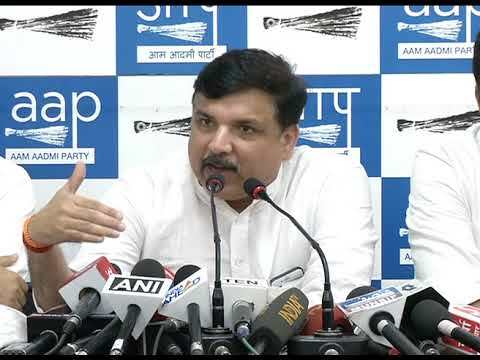 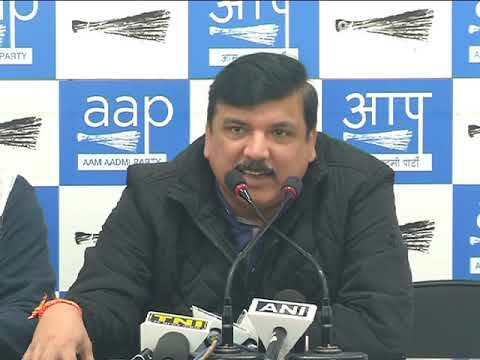 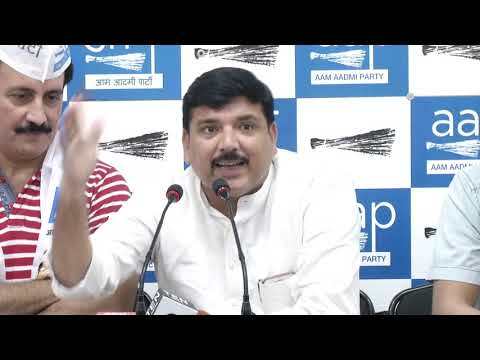 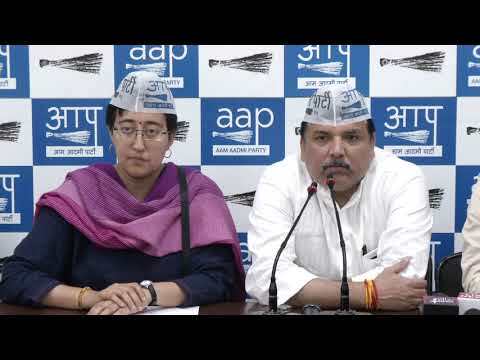 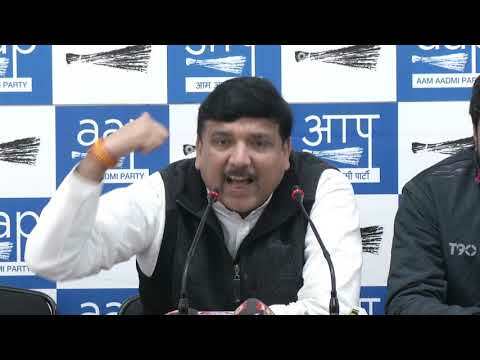 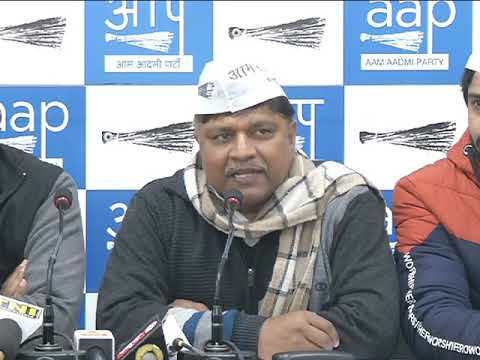 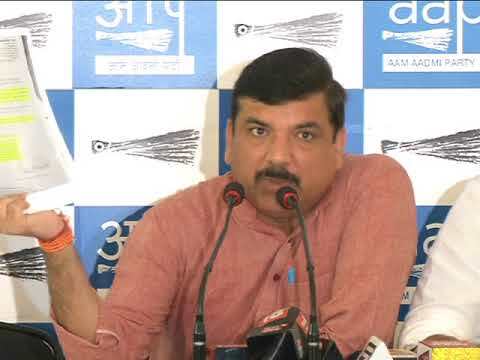 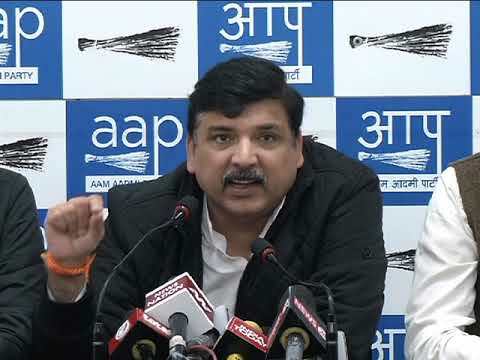 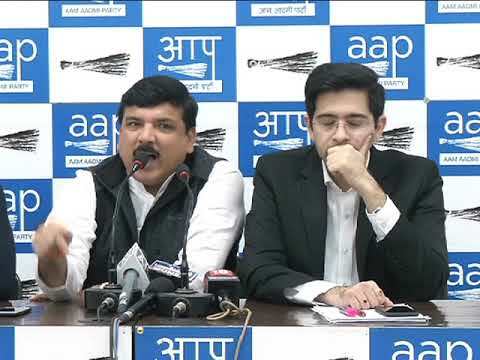 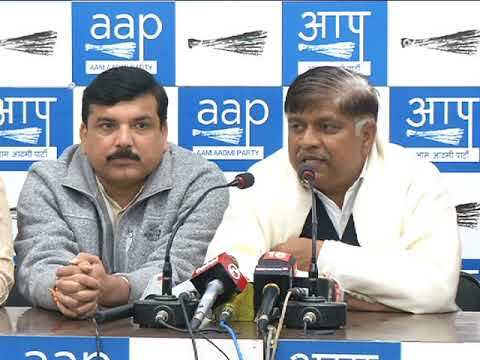 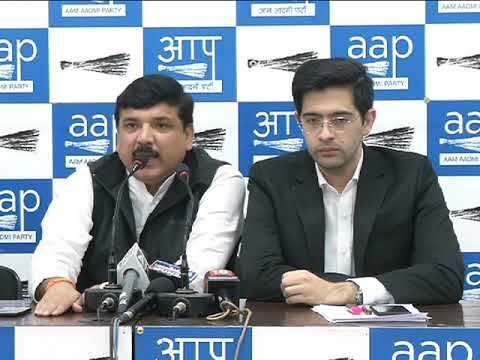 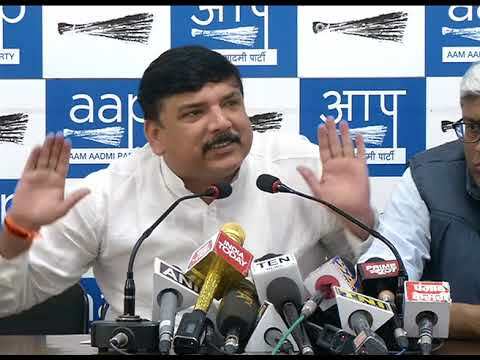 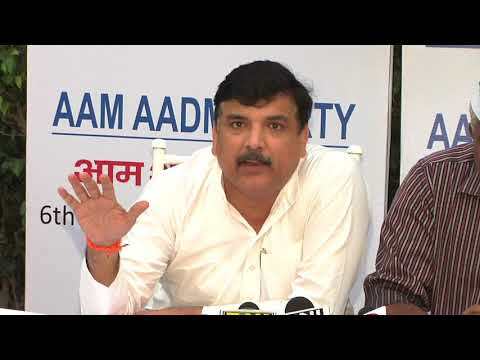 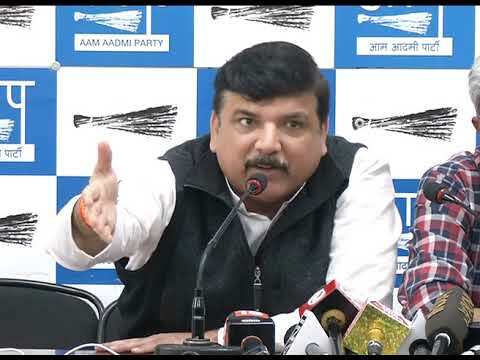 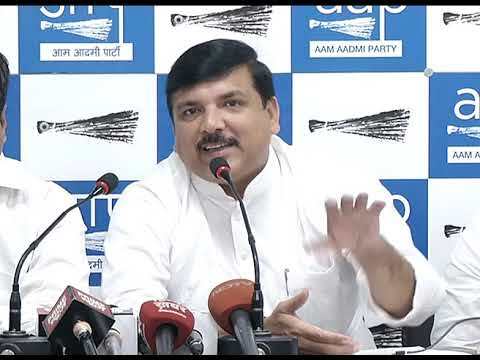 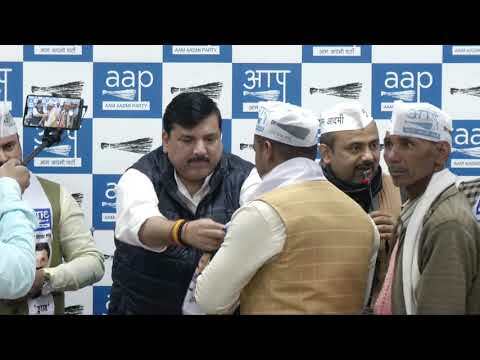 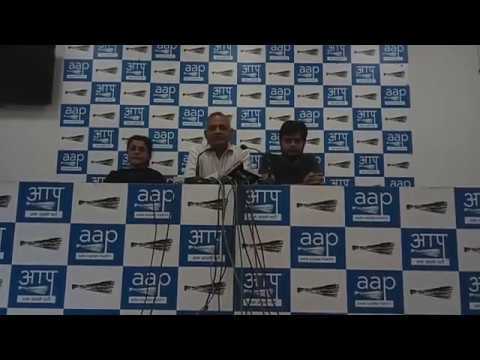 AAP Senior Leader & MP Sanjay Singh's Press Conference. 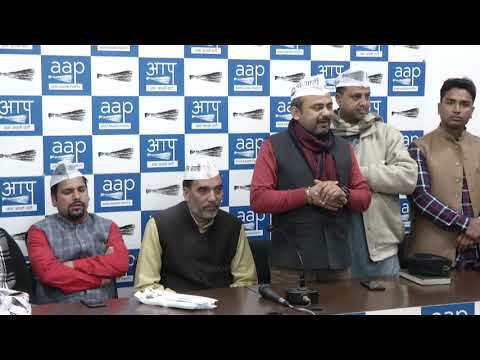 Press Conference by AAP Leaders on Corruption by BJP Officials & their ally Akali Dal in DSGMC. 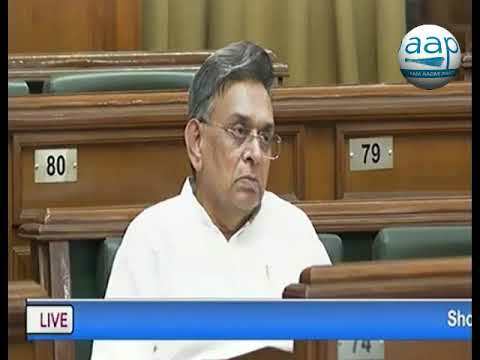 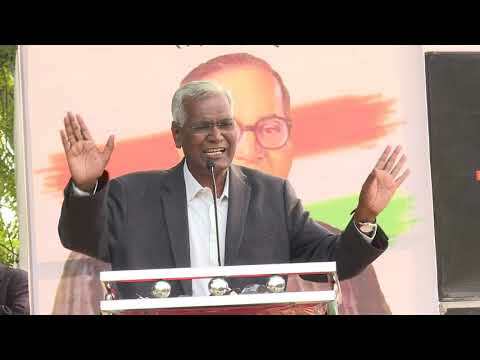 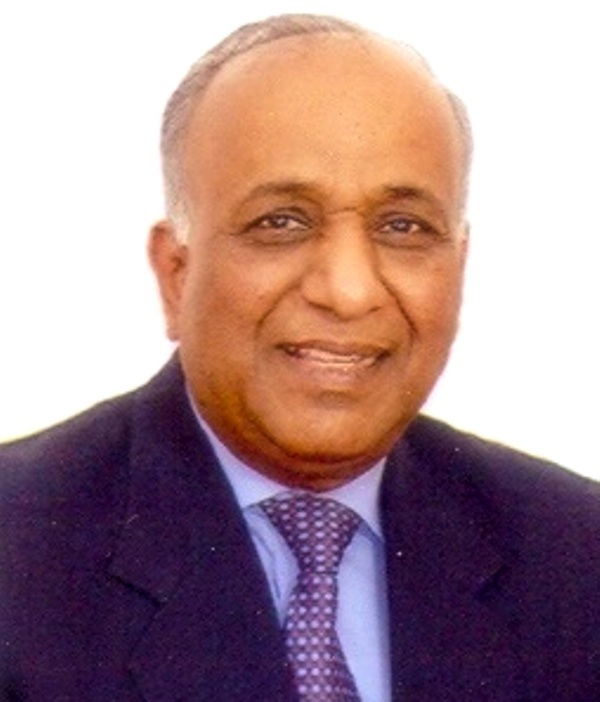 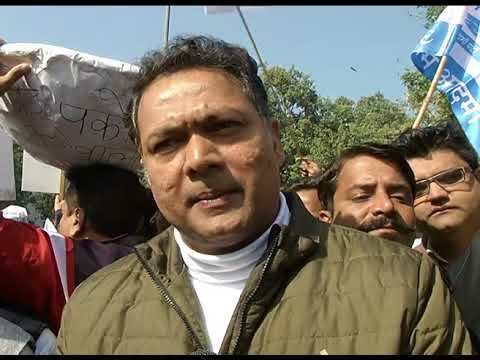 Rajya Sabha MP & Petitioner in Rafale Defence Scam. 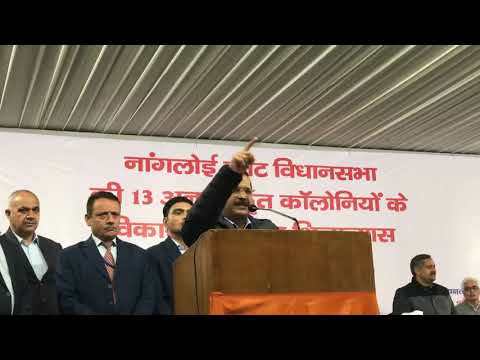 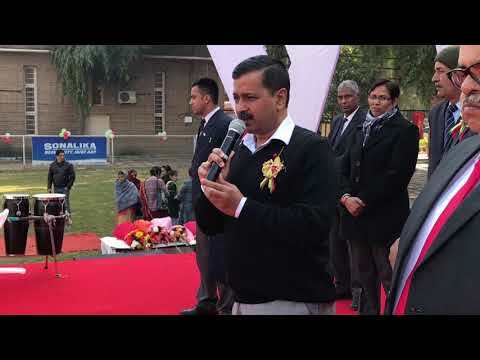 Delhi CM Arvind Kejriwal inaugurated the laying down of sewer lines in 33 colonies under Vikas Puri Constituency. 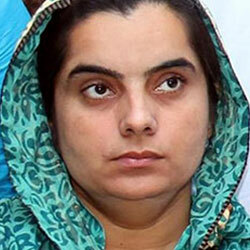 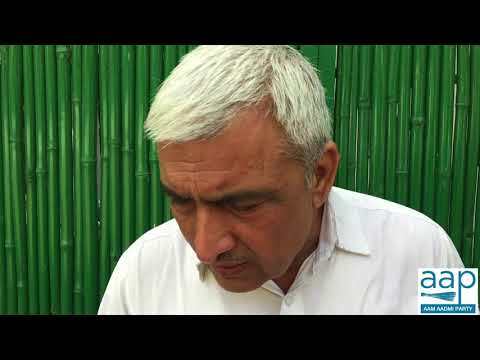 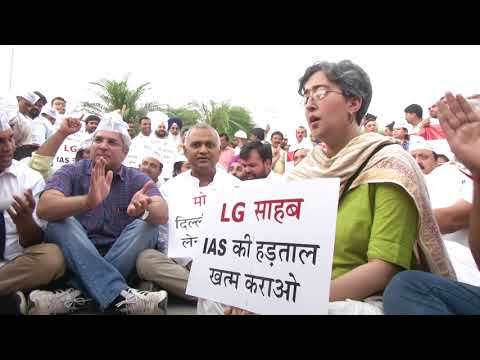 Why LG is Not Taking any Action Against Food Commissioner for not Providing Proper Ration ? 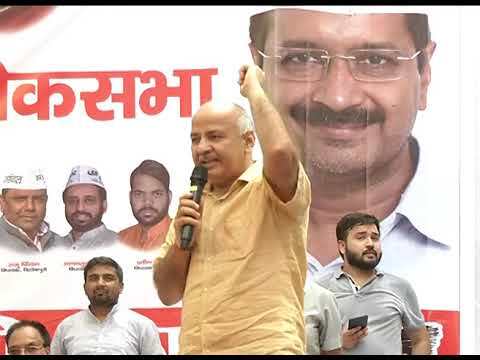 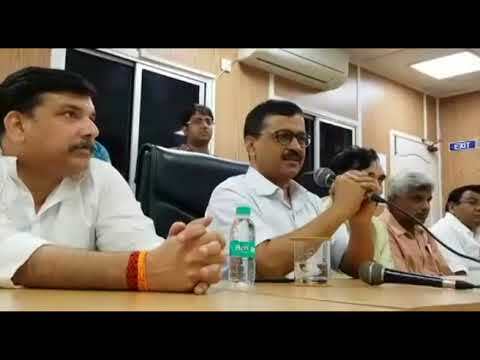 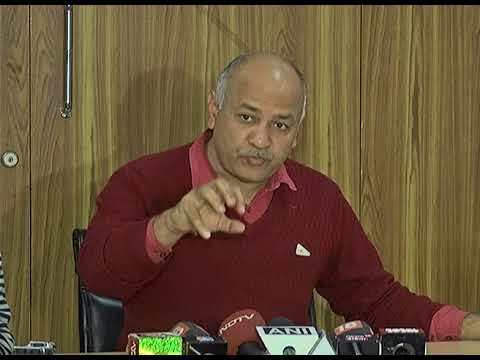 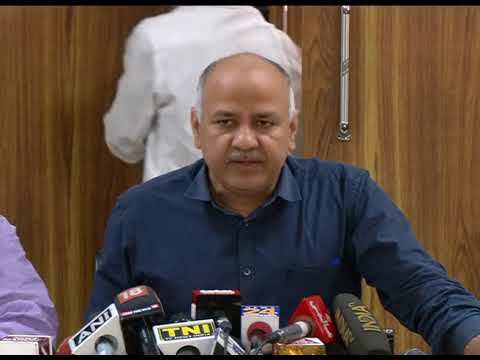 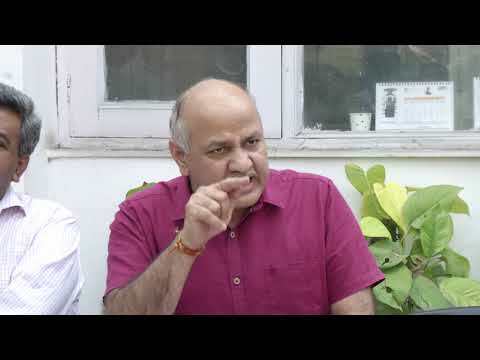 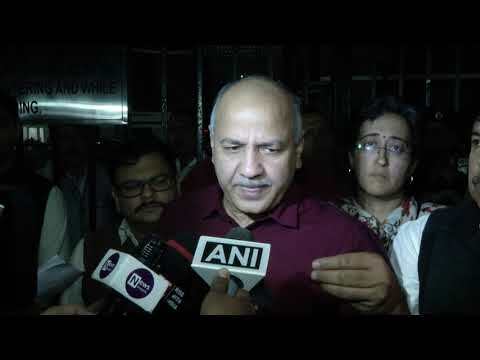 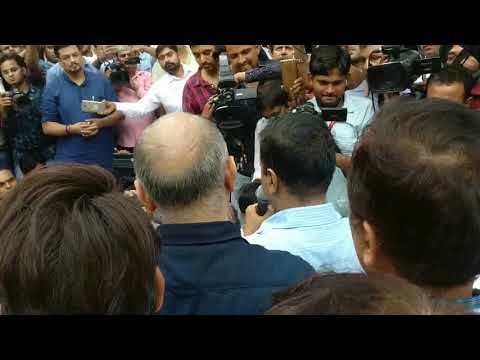 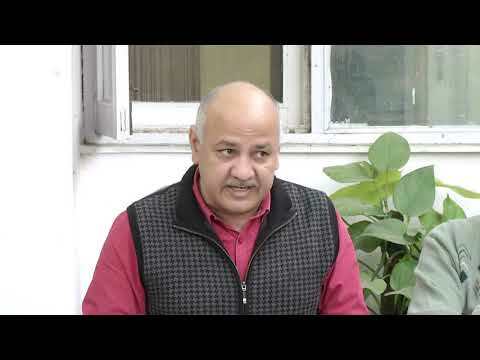 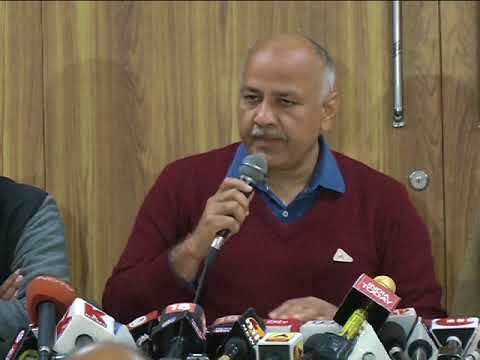 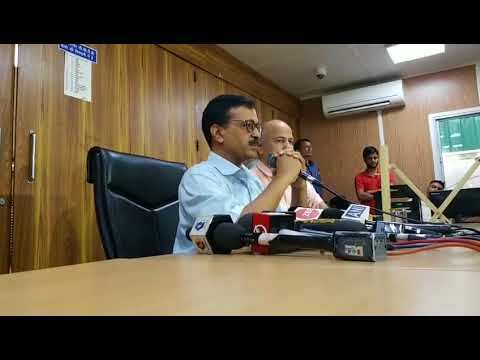 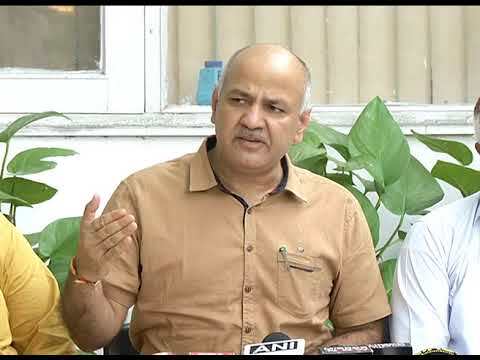 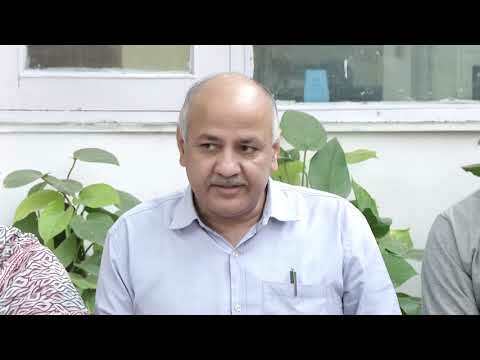 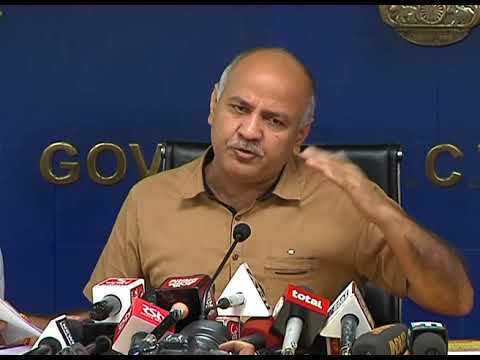 AAP Senior Leader & Deputy CM Manish Sisodia Says "Attack on Delhi CM is a Conspiracy by BJP"
CM Arvind Kejriwal and Transport Minister kailash gahlot felicitated by retired workers of DTC. 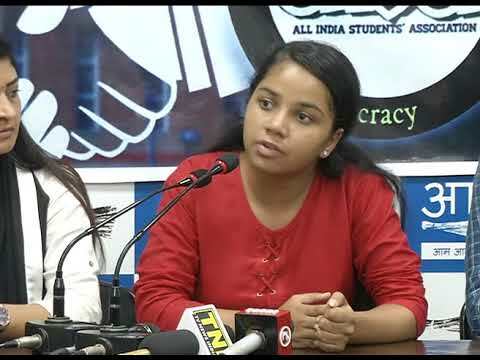 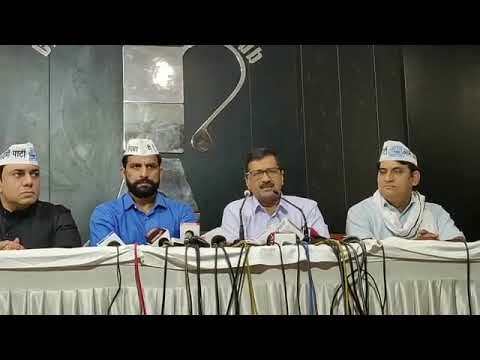 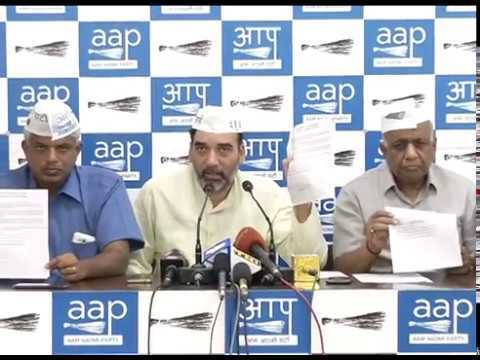 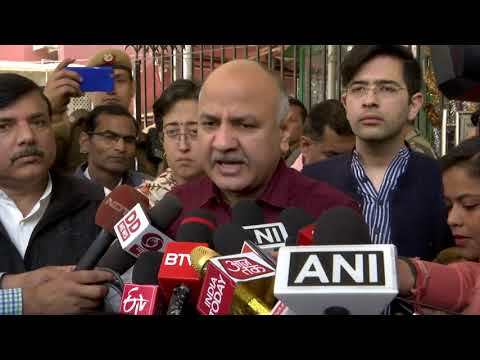 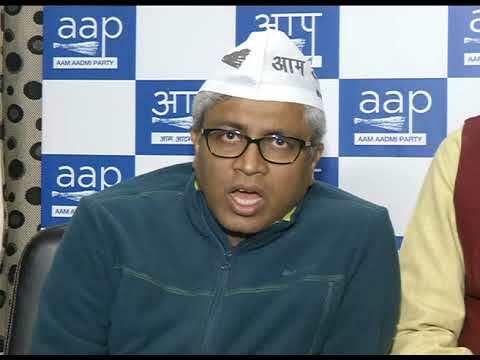 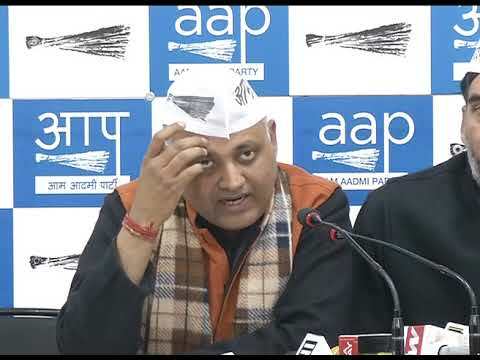 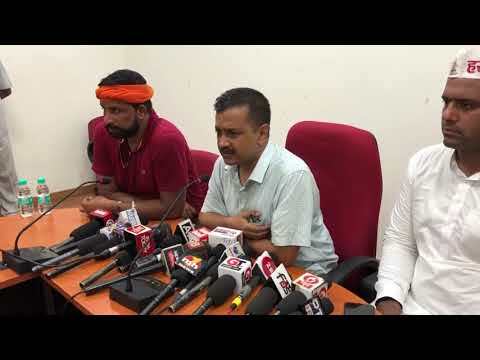 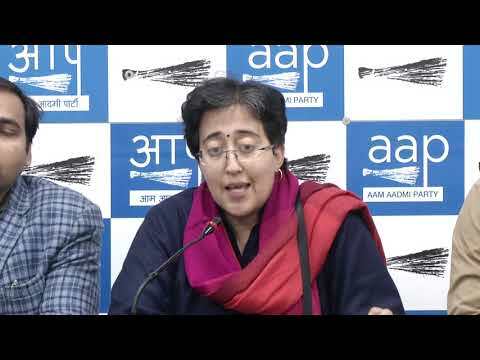 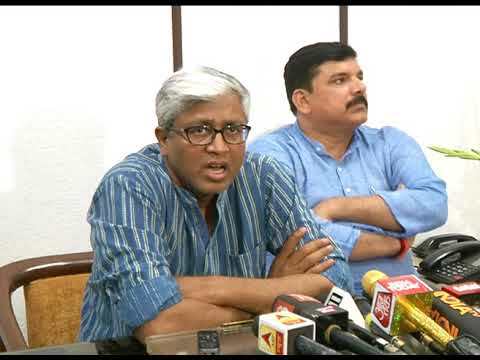 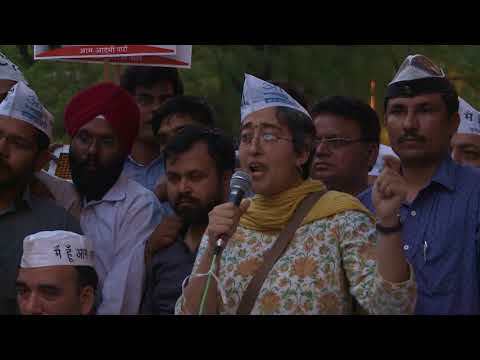 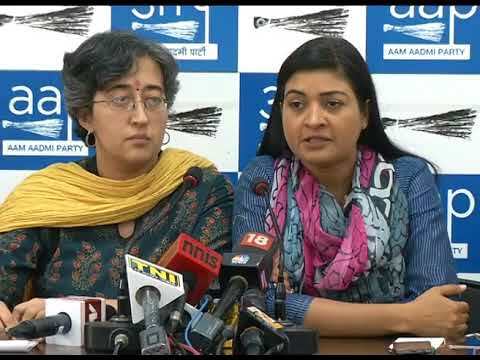 AAP Press Conference on Rafale Scam. 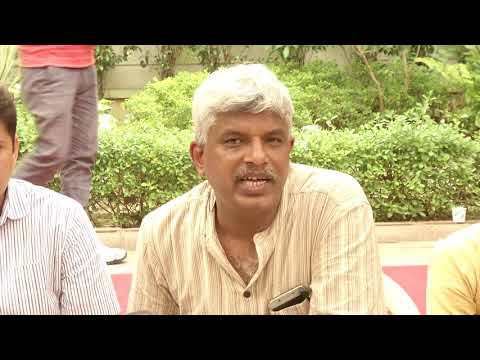 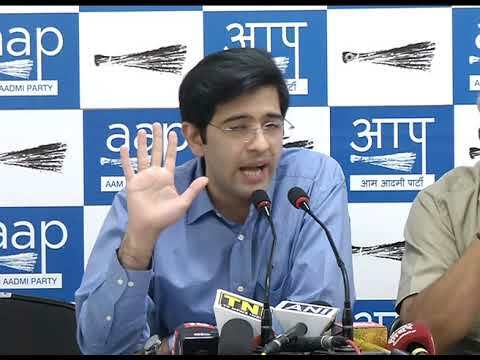 AAP Press Conference on Telangana. 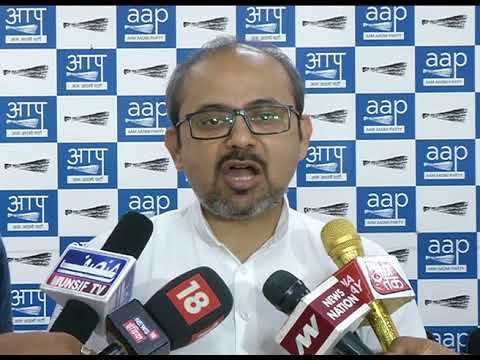 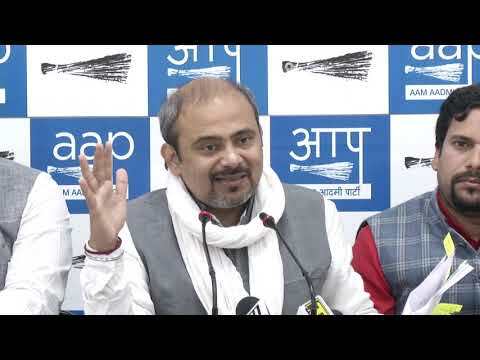 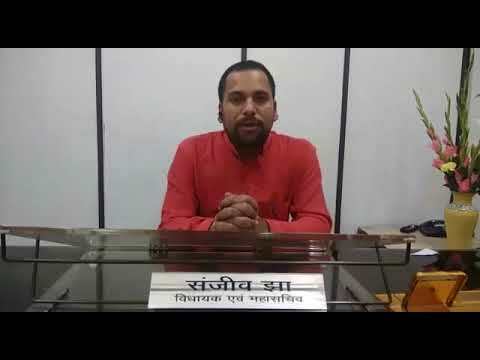 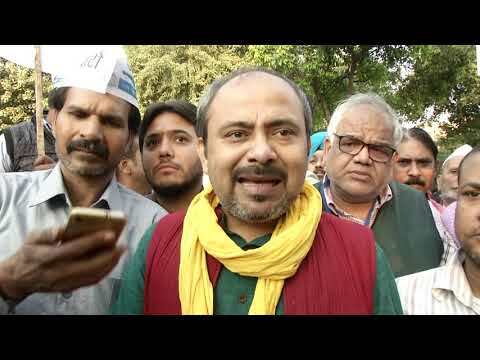 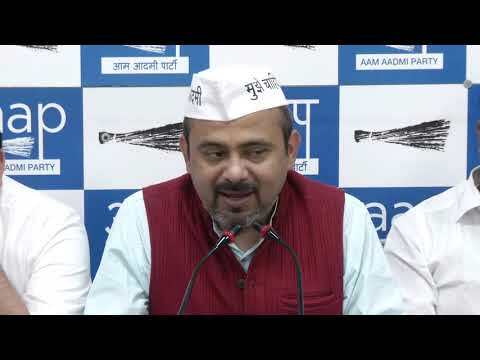 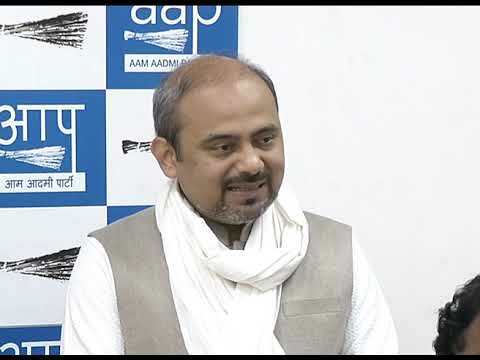 Byte of Dilip Pandey on Sealing. 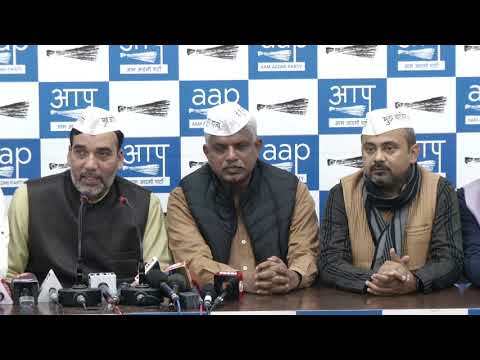 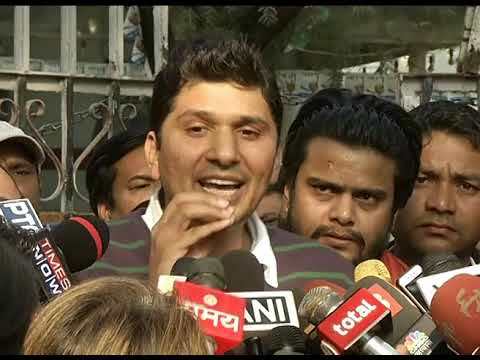 AAP Press Conference on Sealing. 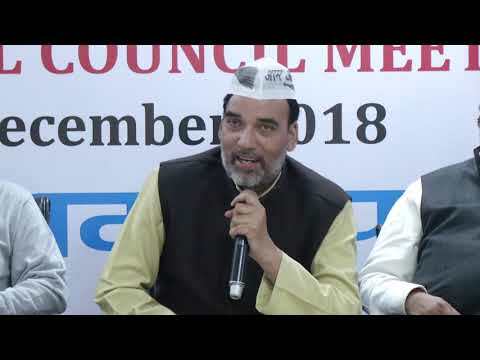 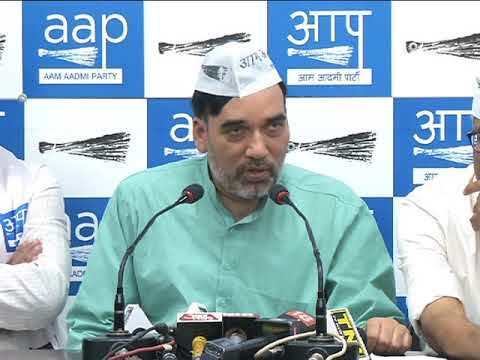 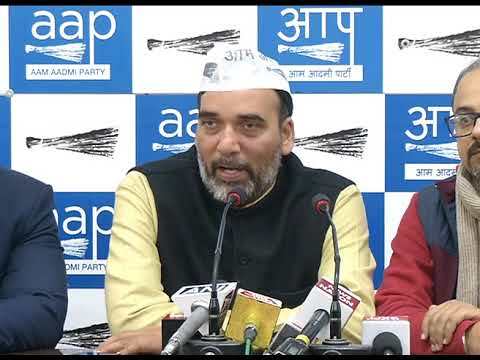 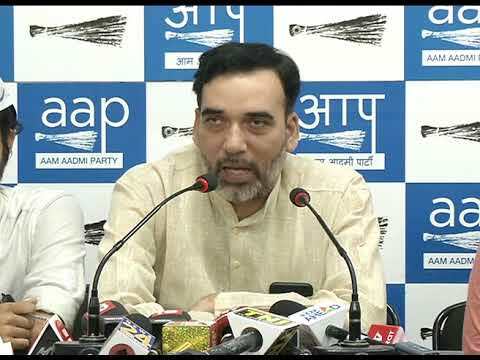 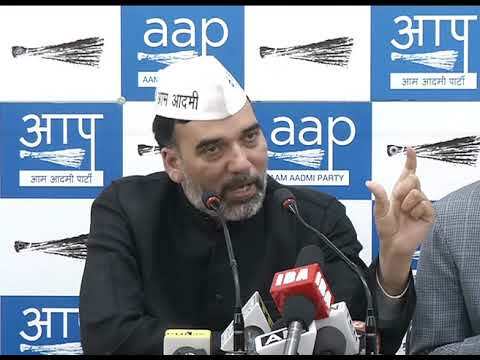 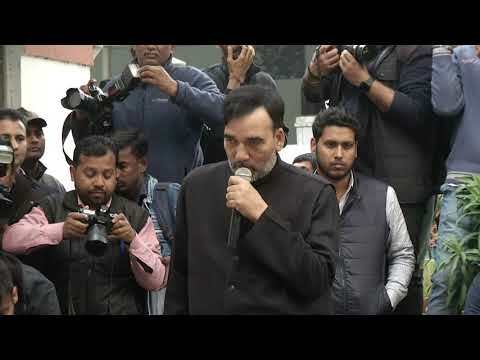 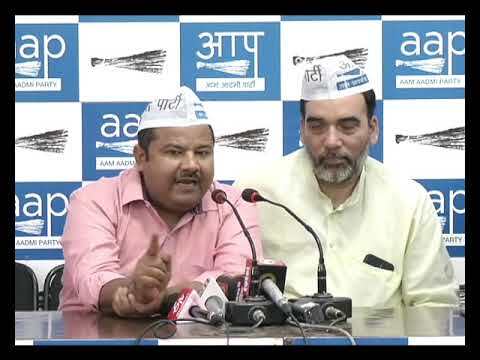 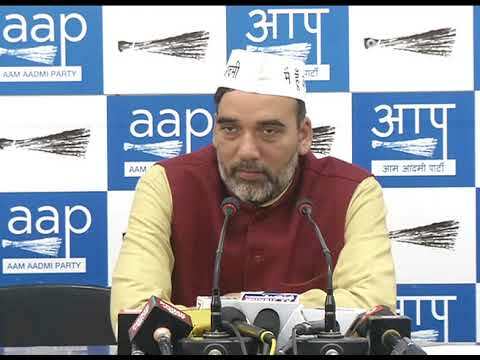 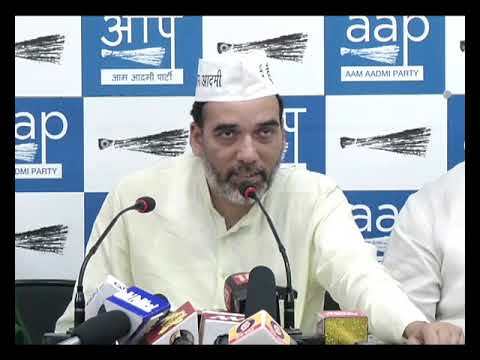 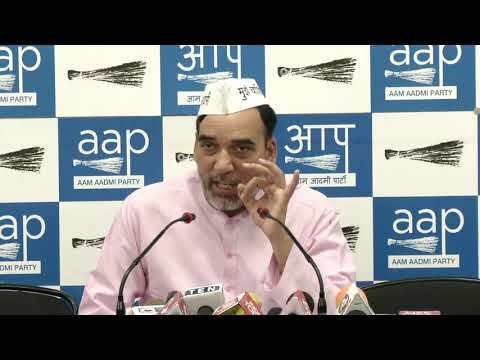 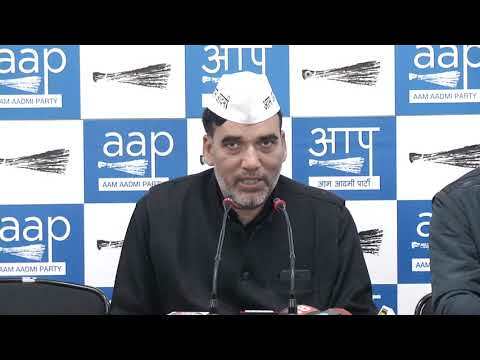 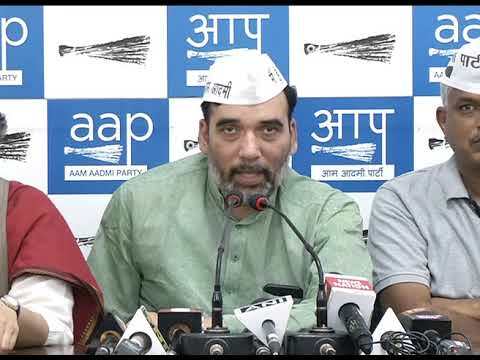 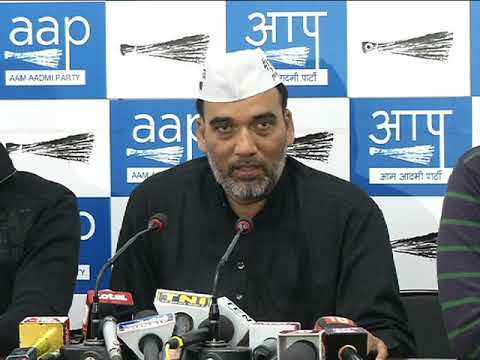 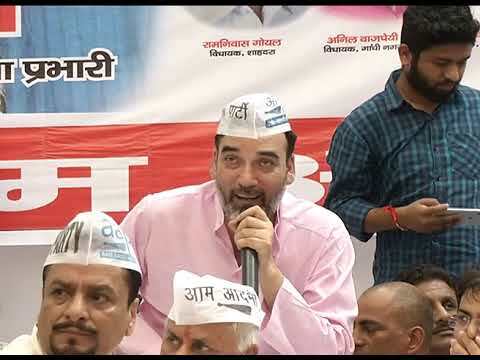 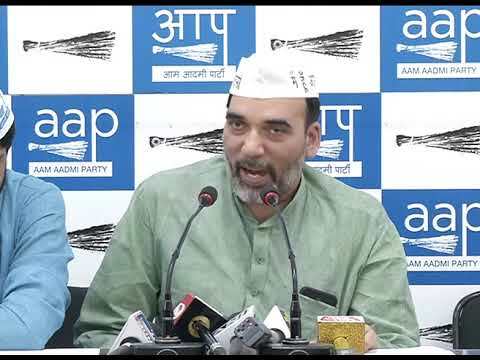 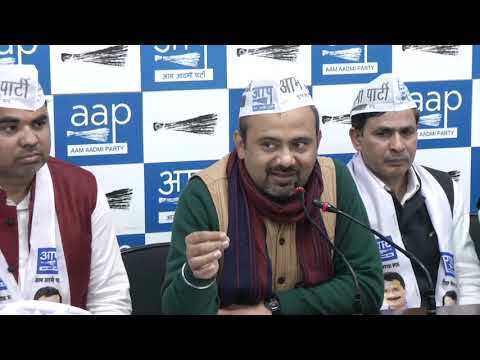 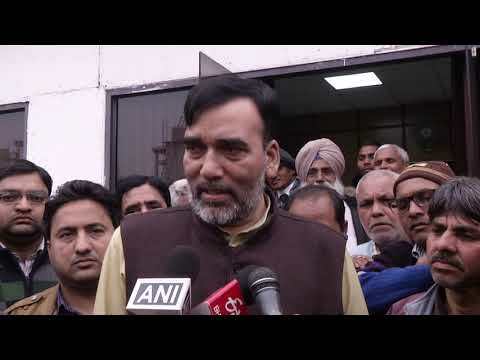 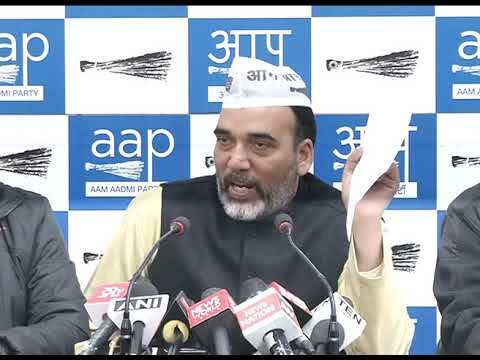 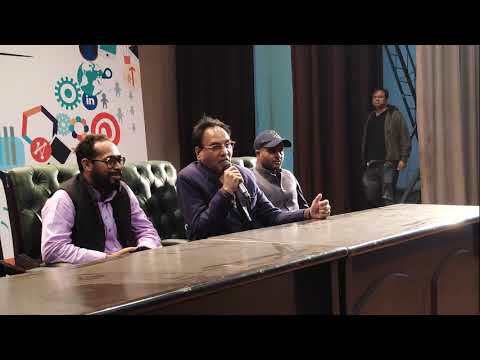 AAP Delhi Convenor Gopal Rai Briefs "CYSS and AISA will together Fight DUSU Election"
The reason why BJP & LG are insisting on Licenses for CCTV are the part of Prostitution Racket ? 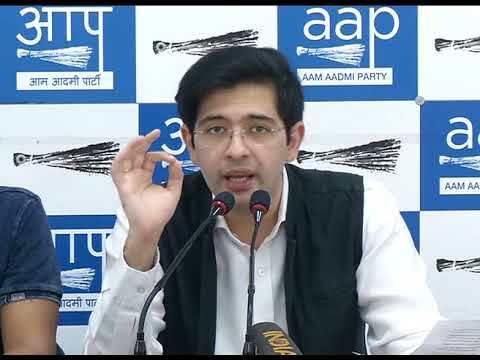 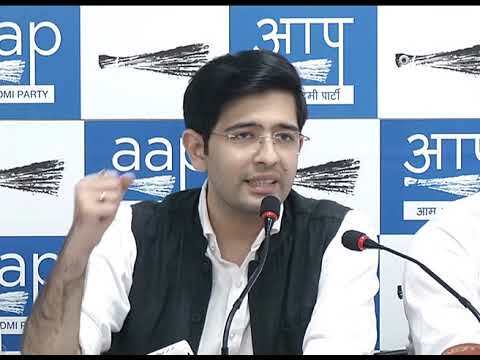 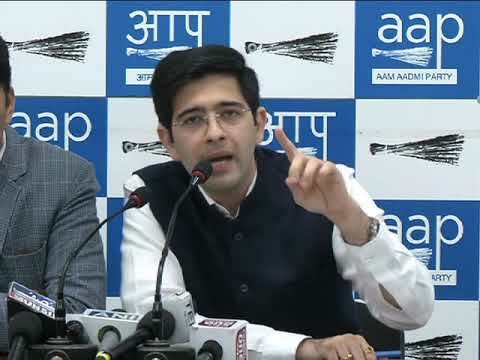 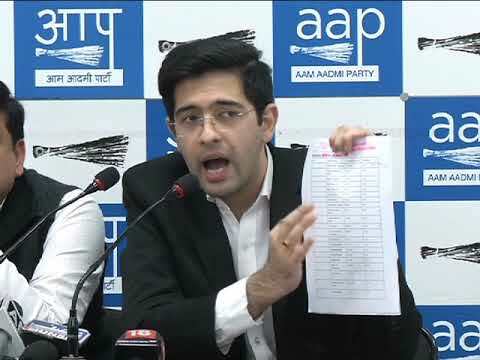 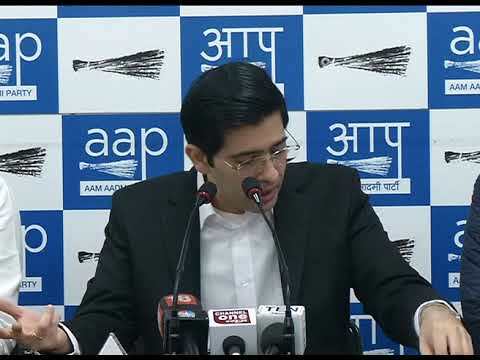 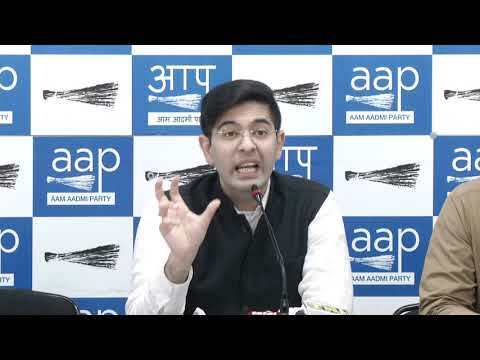 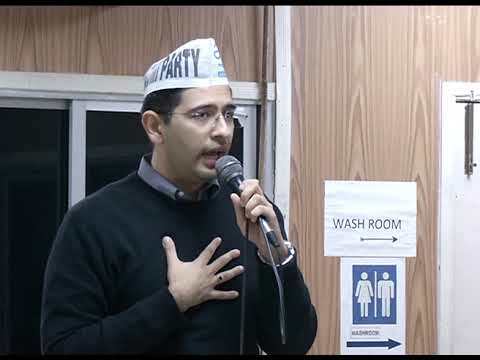 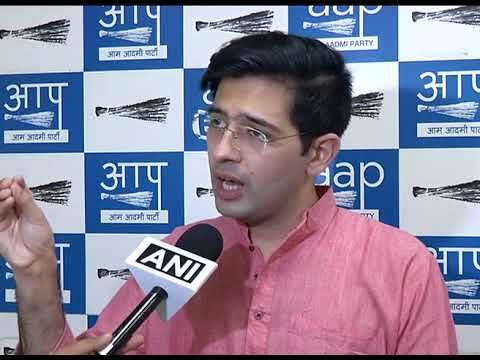 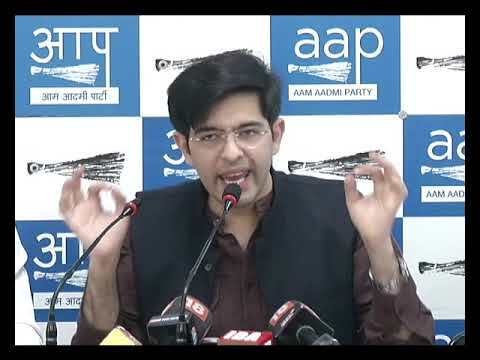 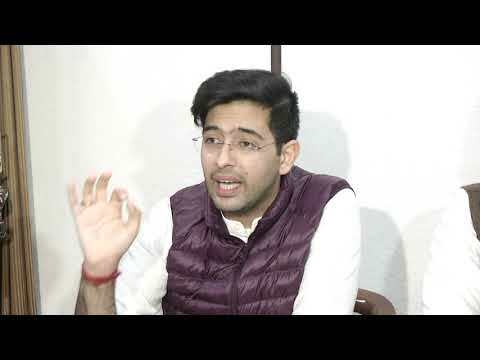 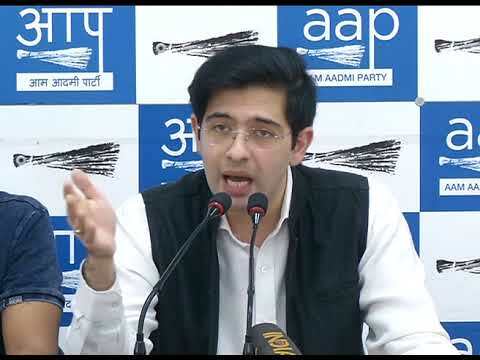 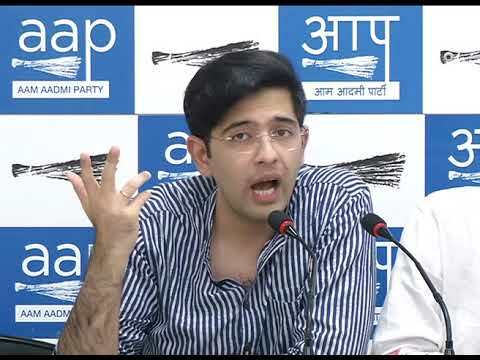 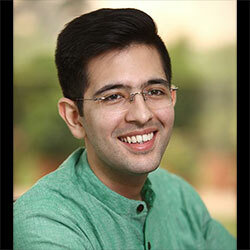 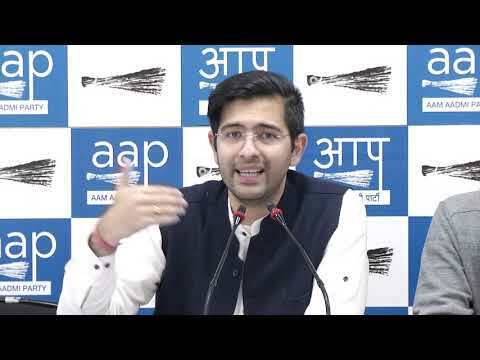 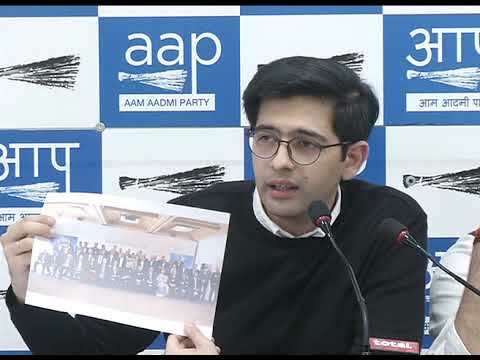 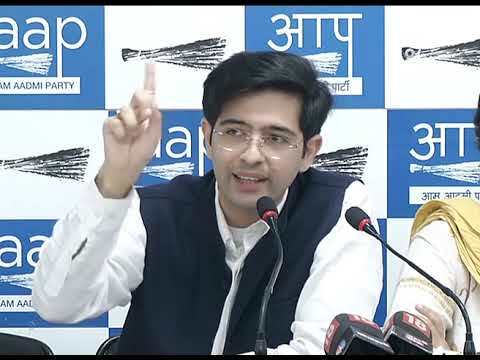 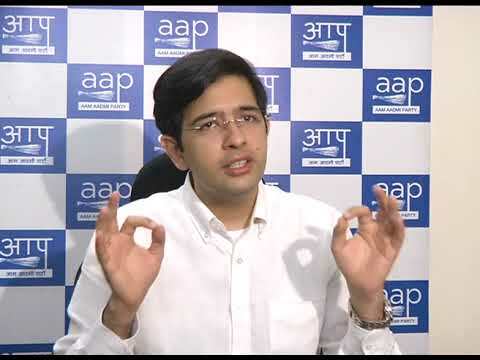 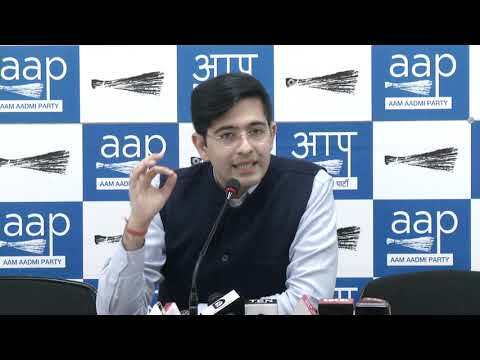 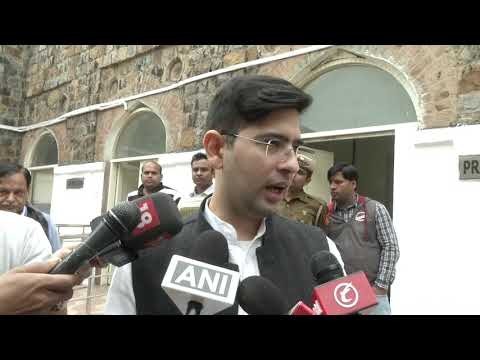 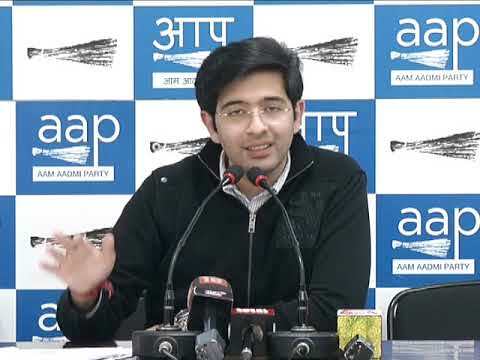 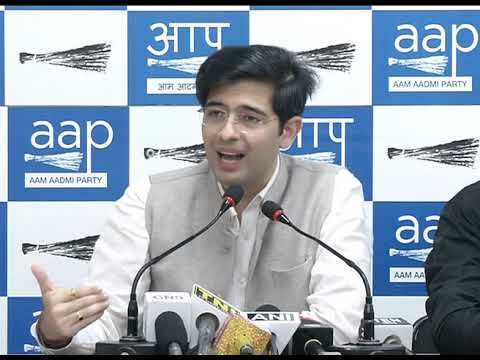 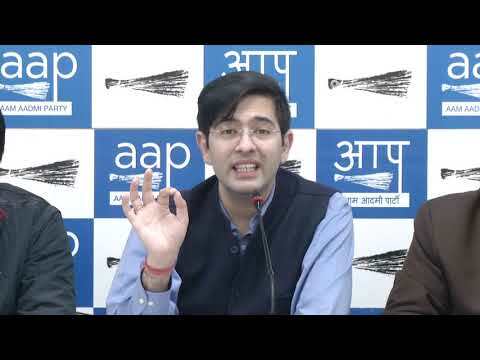 AAP Leader Raghav Chadha Says " How can BJP & Congress oppose the Scheme of CCTV Camera's ?" 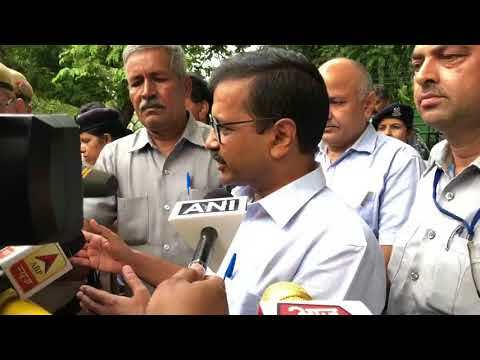 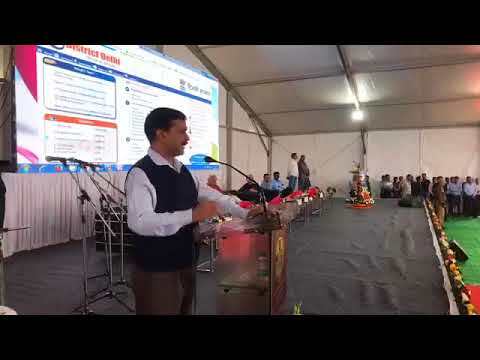 Delhi CM Arvind Kejriwal inaugurates the work of replacement of existing old water line in Kirari. 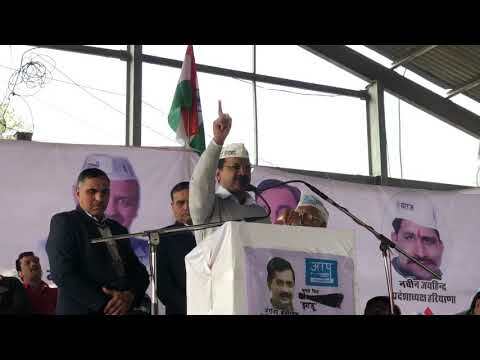 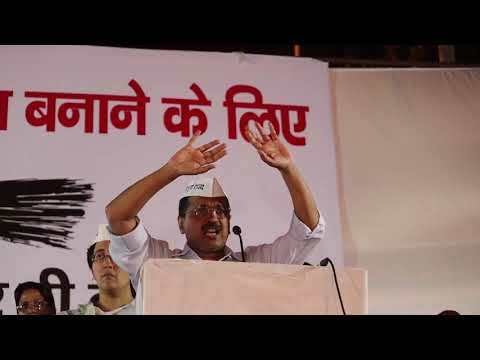 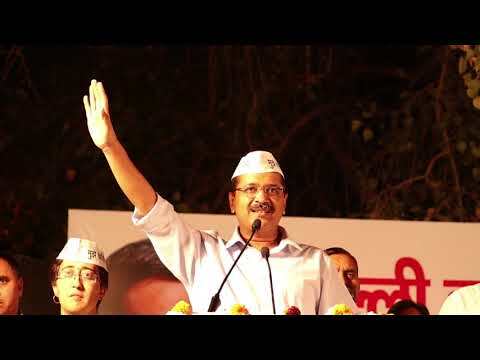 AAP will start Campaign in Delhi " दिल्ली मांगे अपना हक " Demanding Delhi's full statehood. 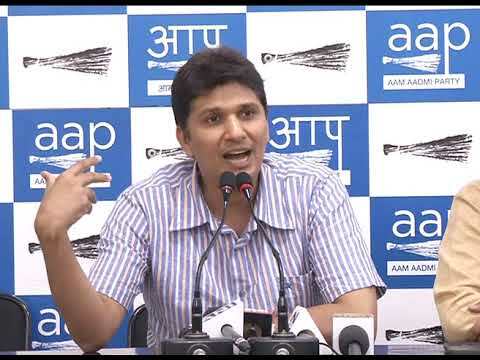 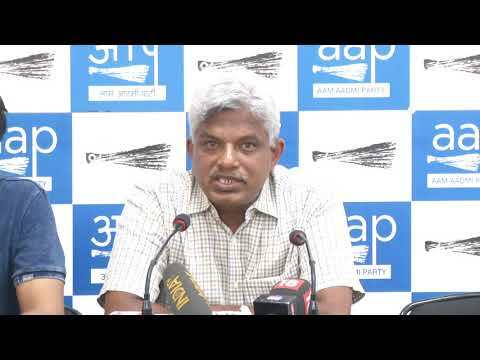 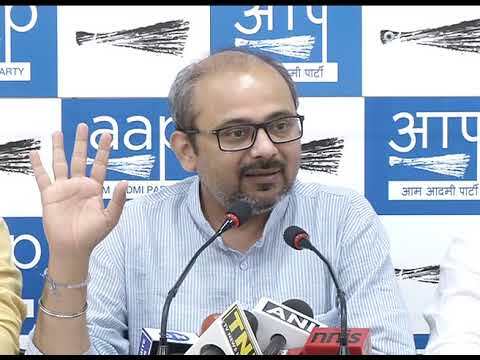 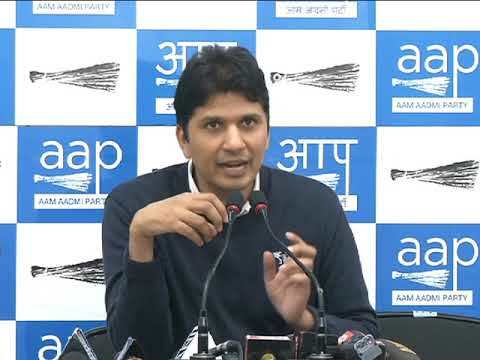 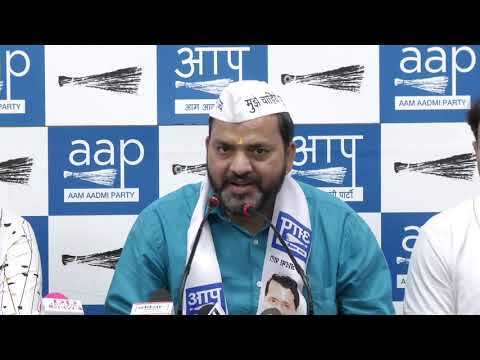 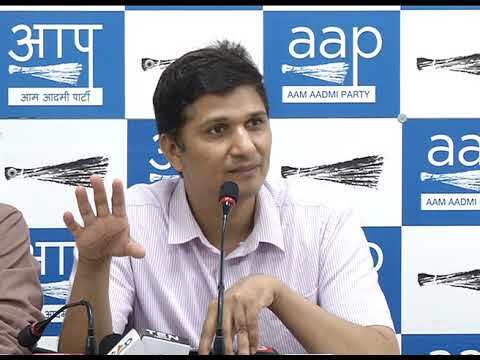 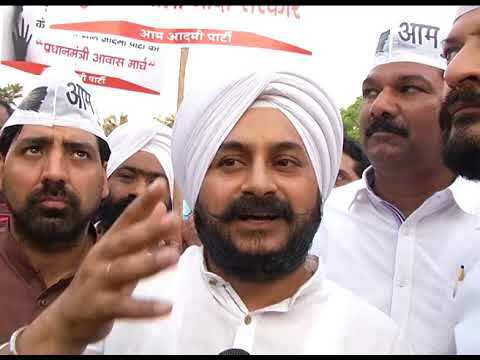 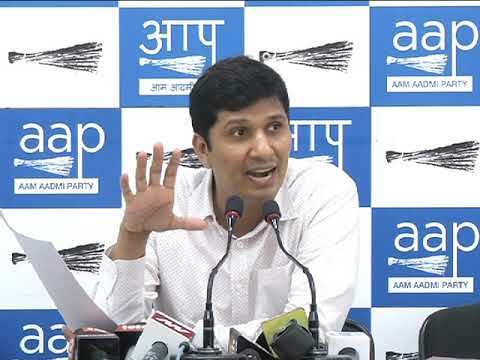 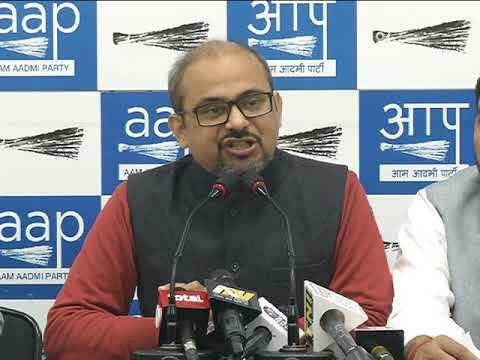 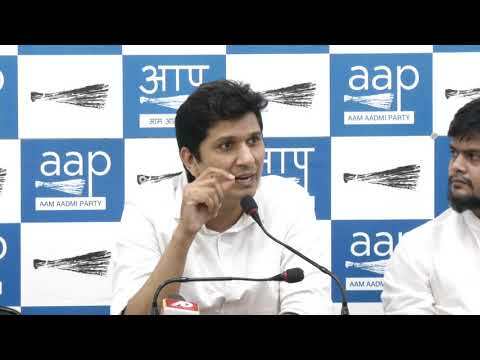 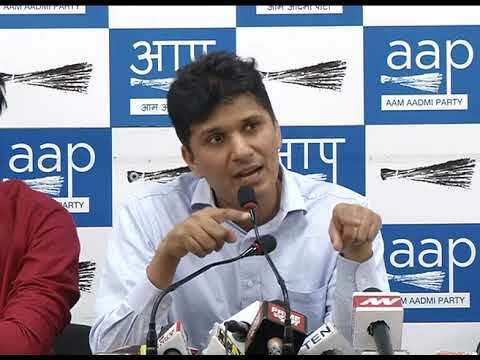 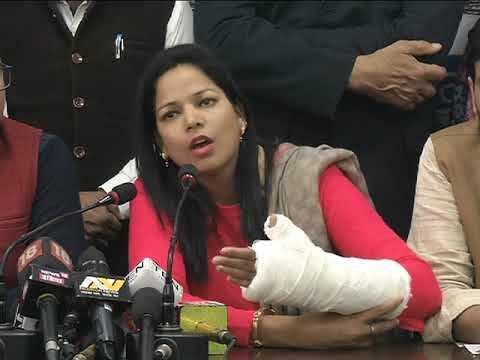 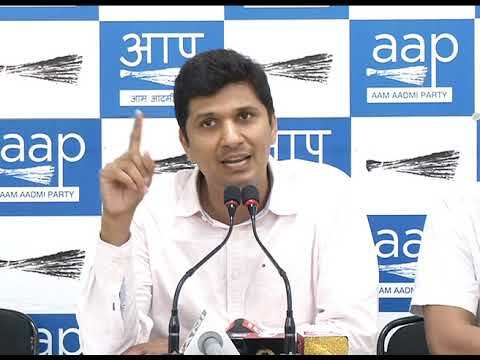 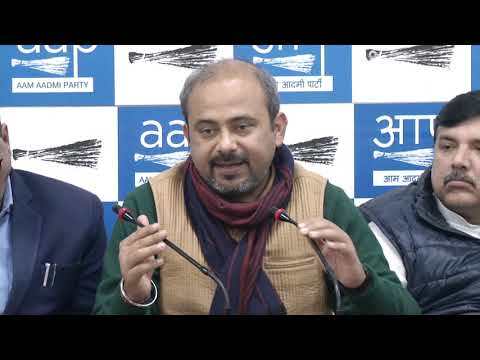 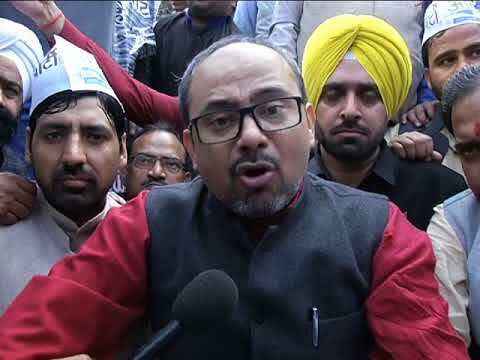 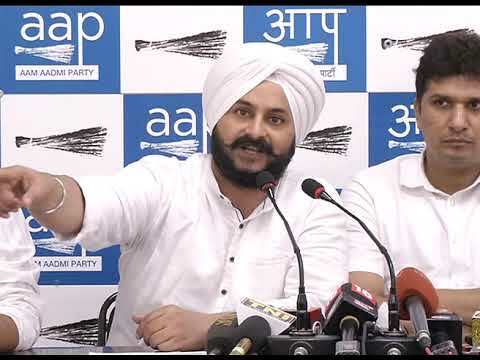 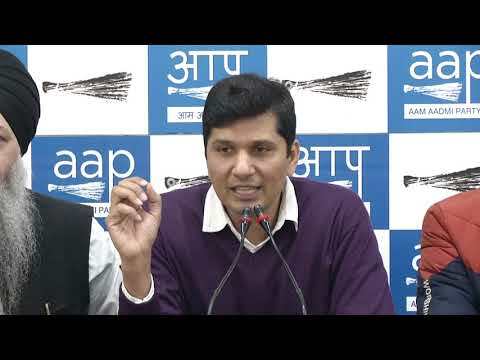 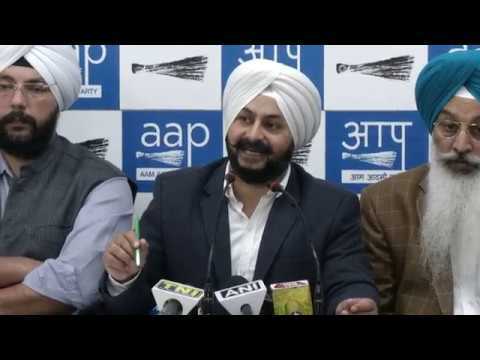 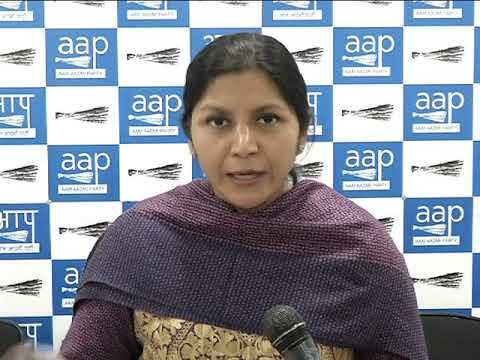 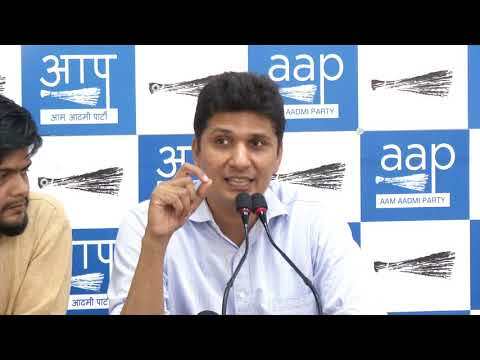 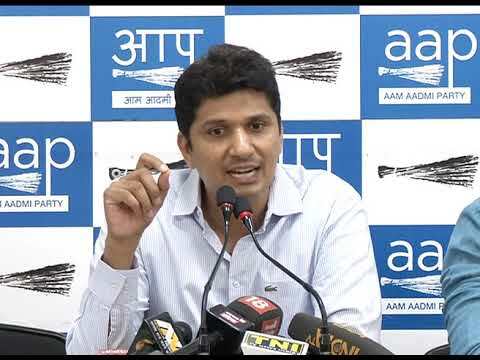 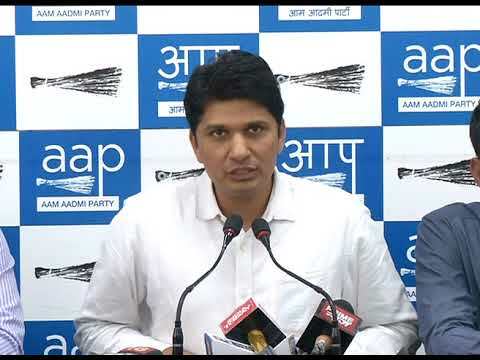 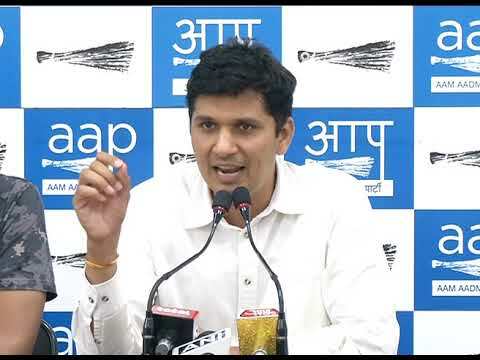 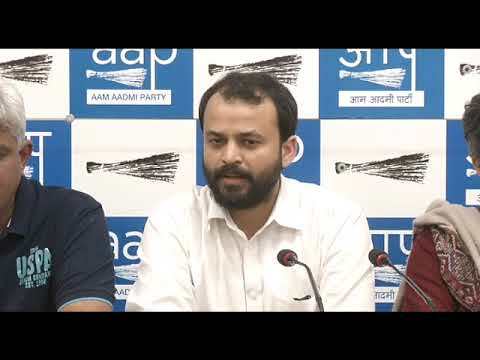 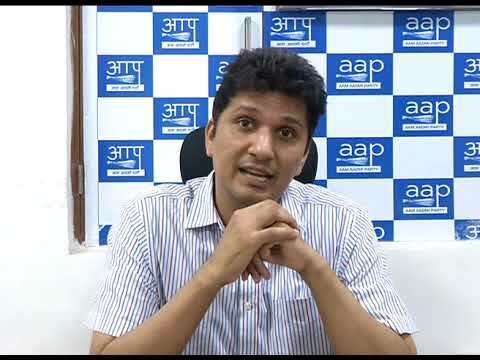 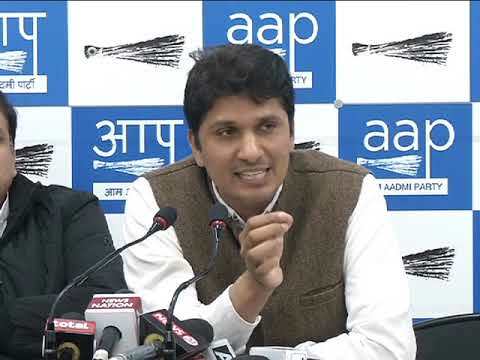 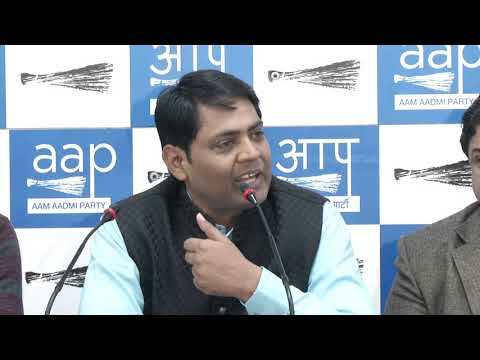 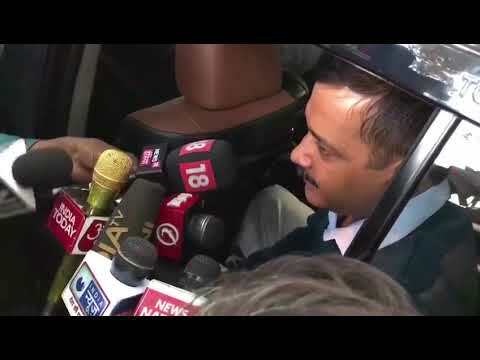 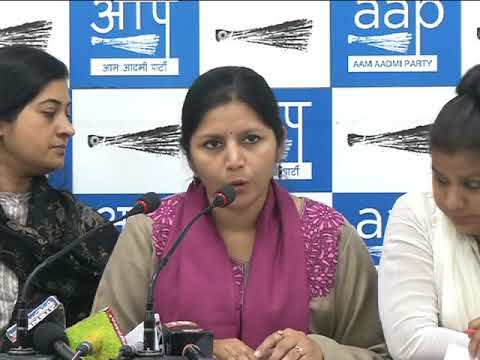 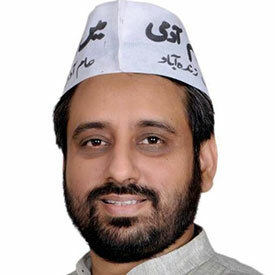 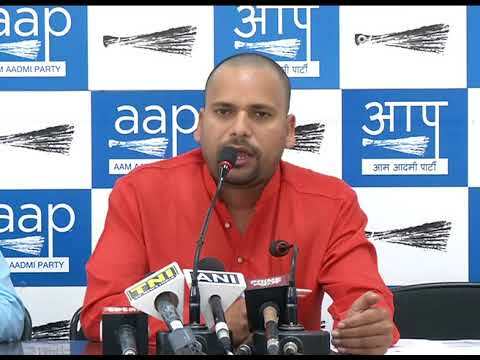 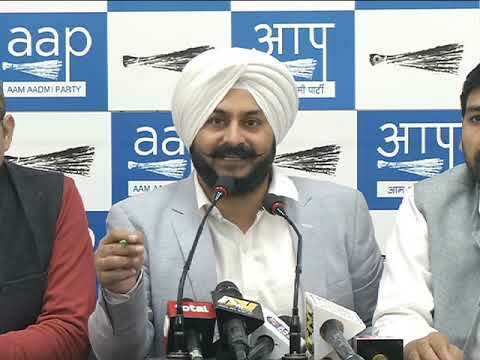 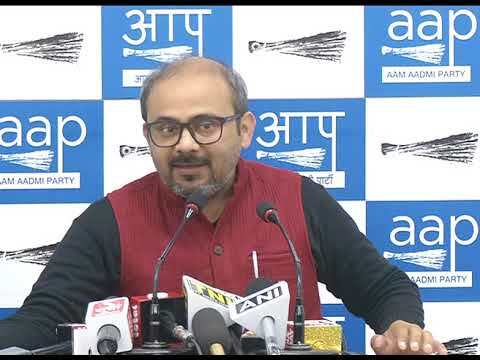 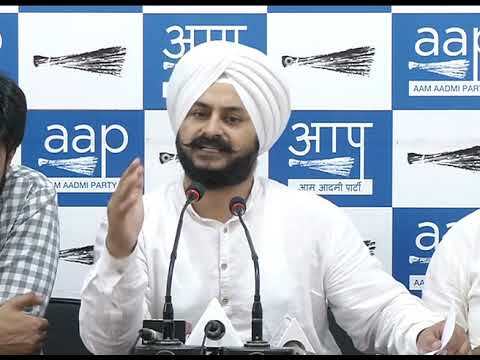 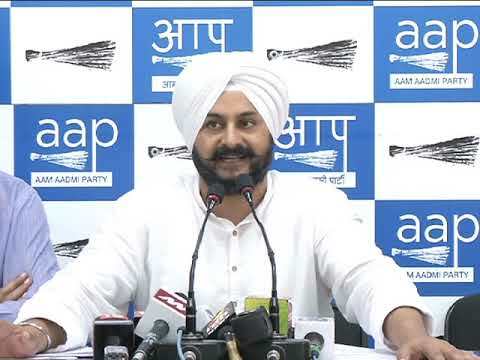 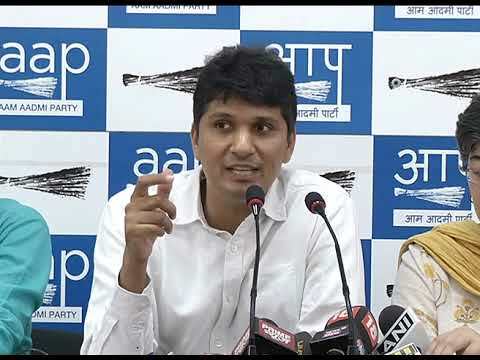 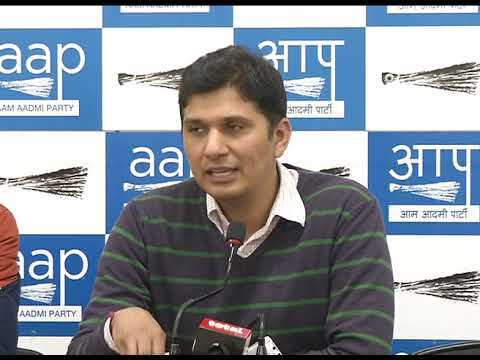 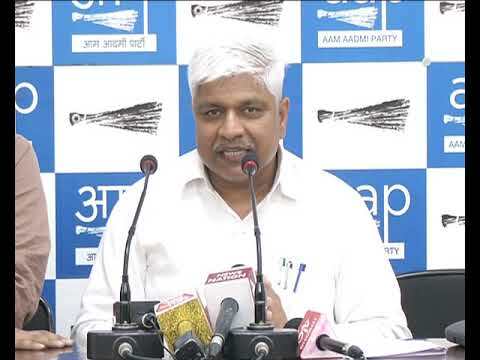 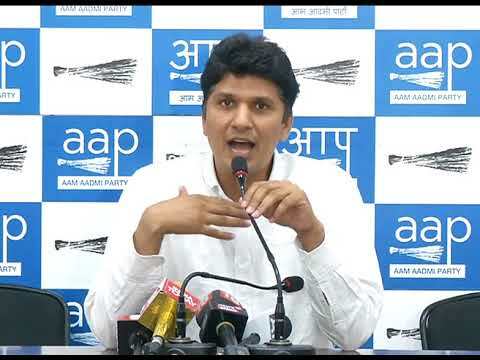 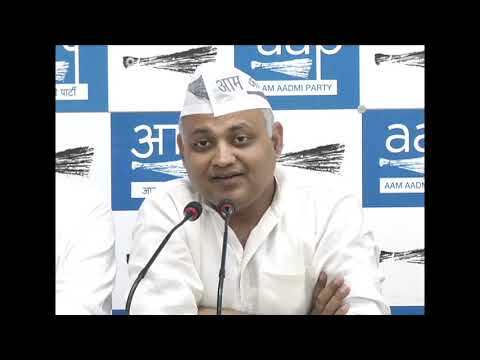 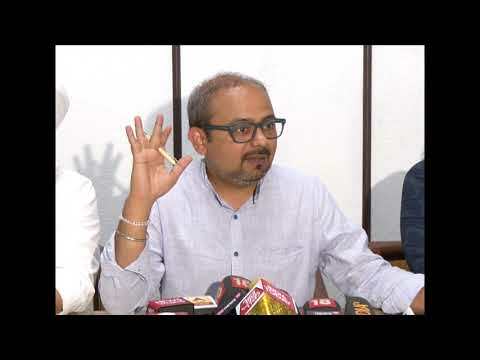 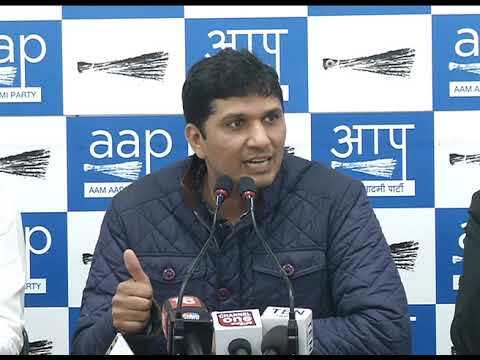 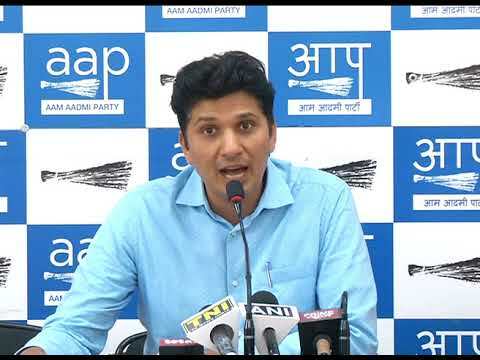 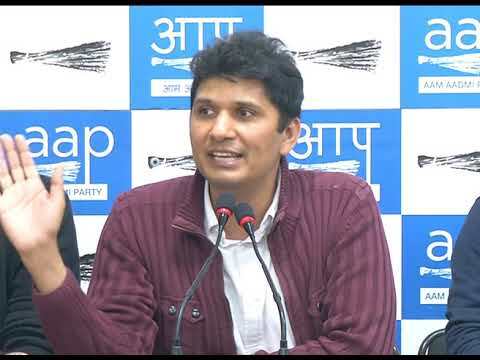 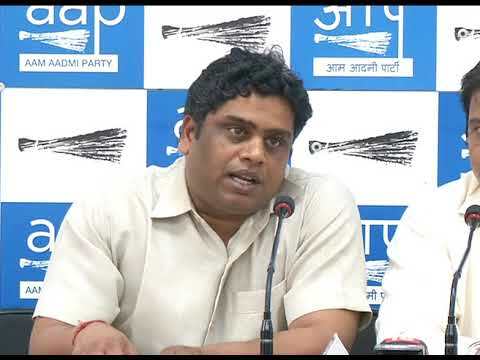 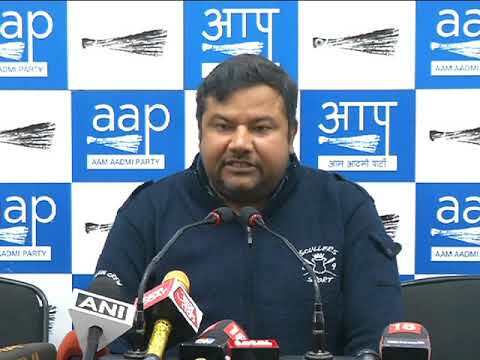 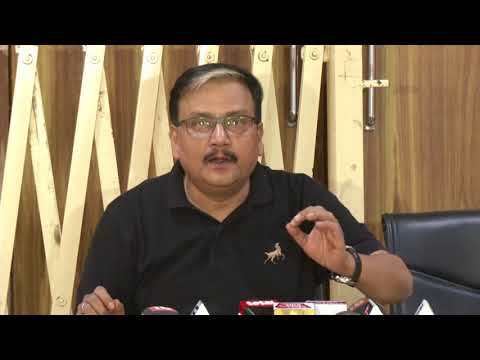 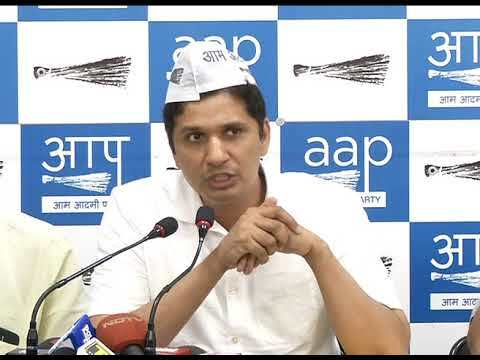 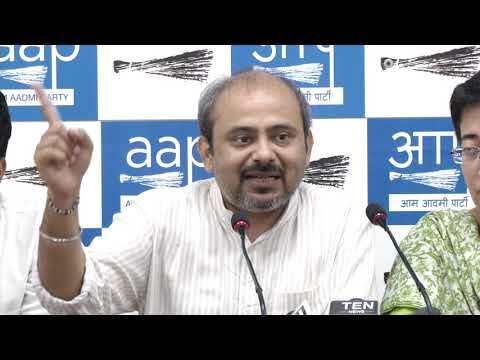 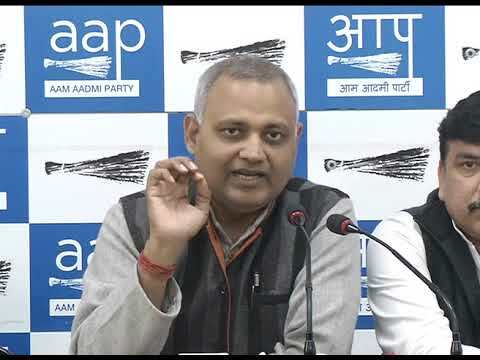 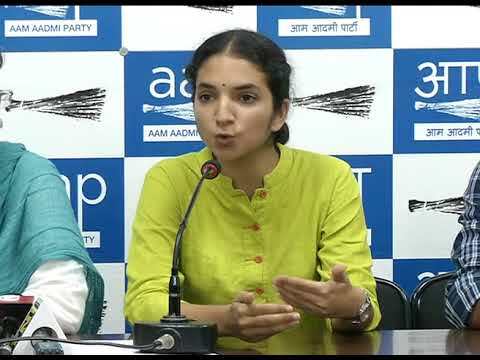 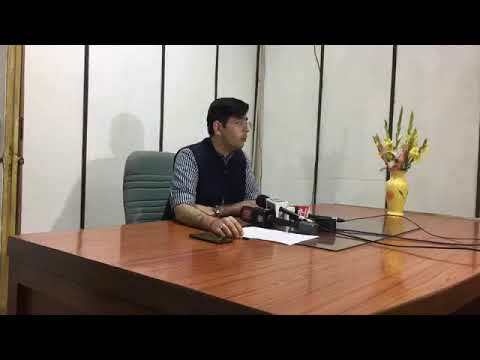 Delhi Chief Spokesperson Briefs , " Delhi Police plant on Chargesheet in alleged CS assault case "
AAP Senior Leader addressed Presser on Attack on AAP Punjab MLA Amarjit Sandoa. 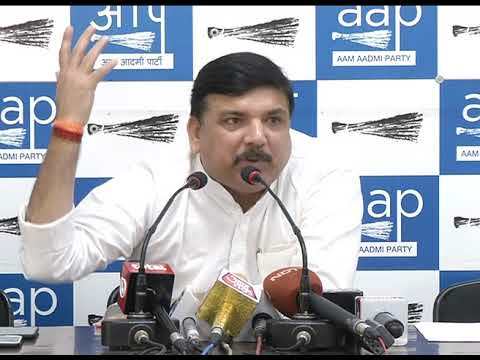 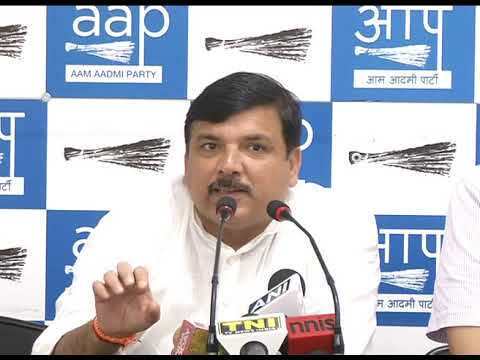 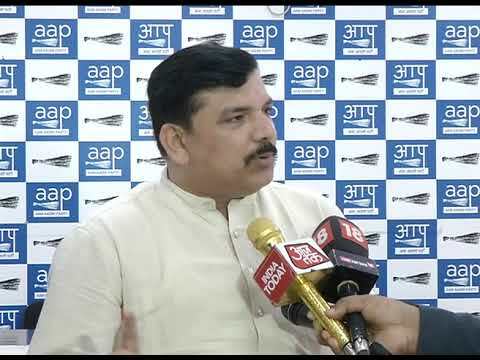 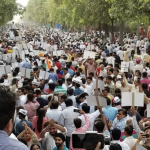 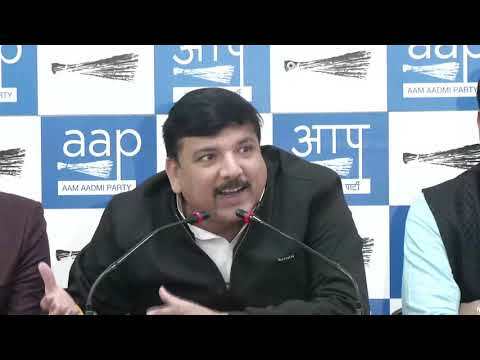 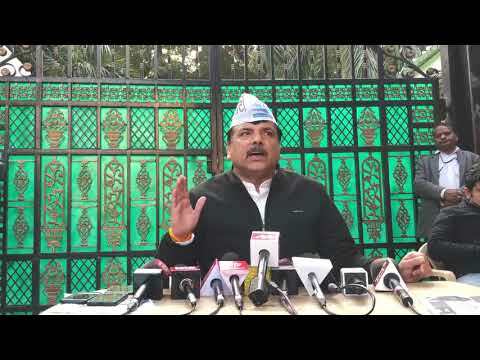 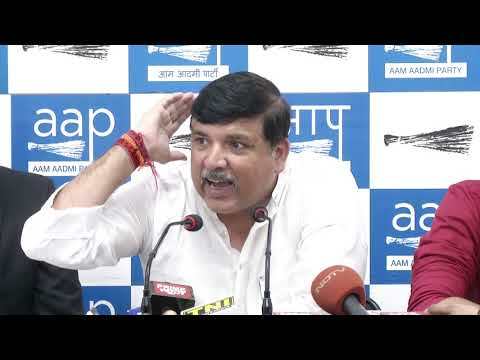 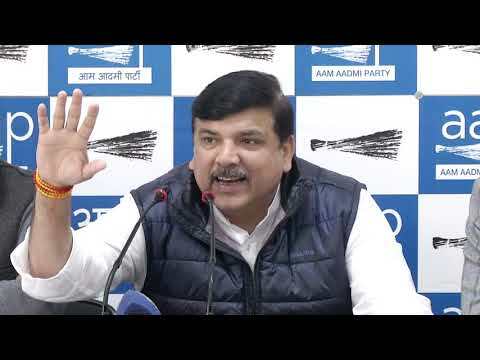 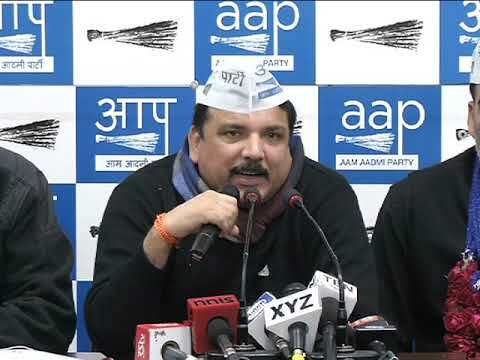 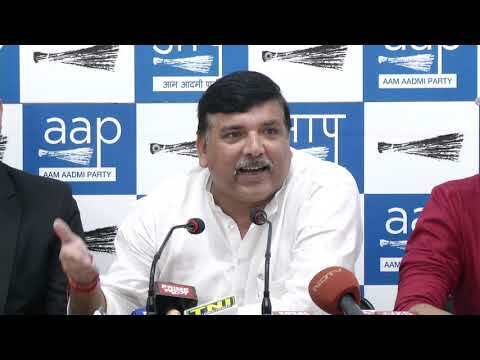 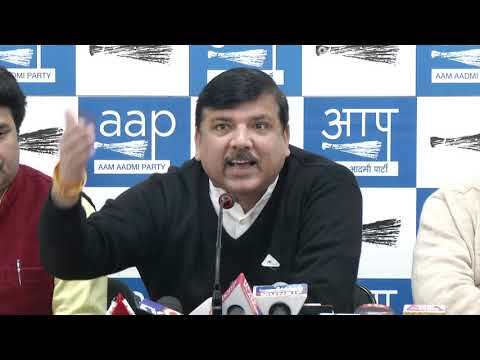 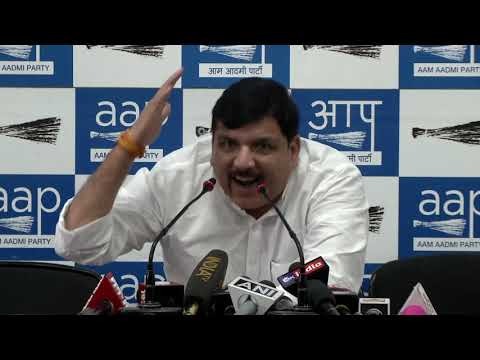 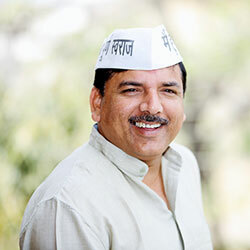 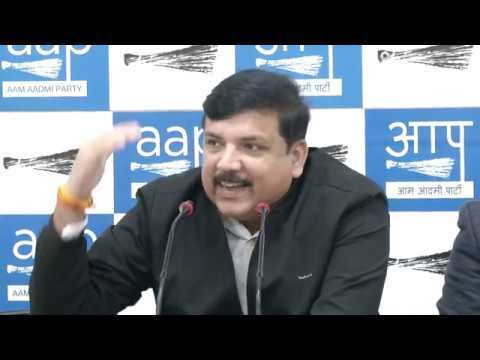 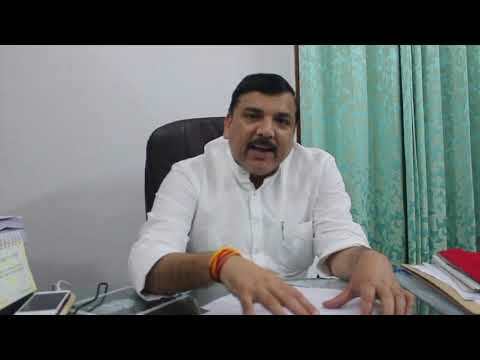 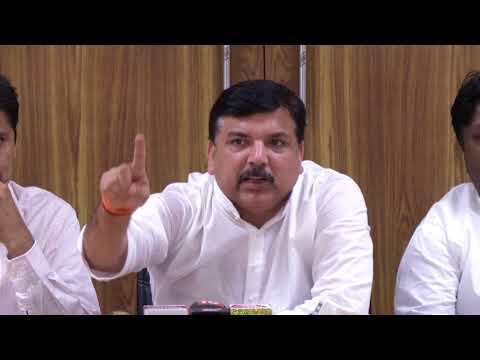 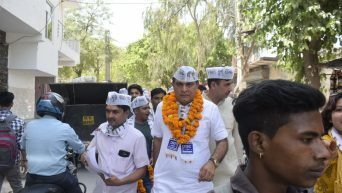 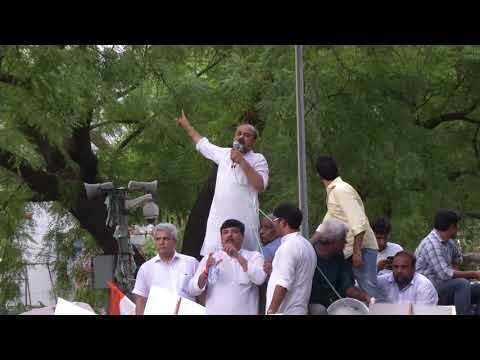 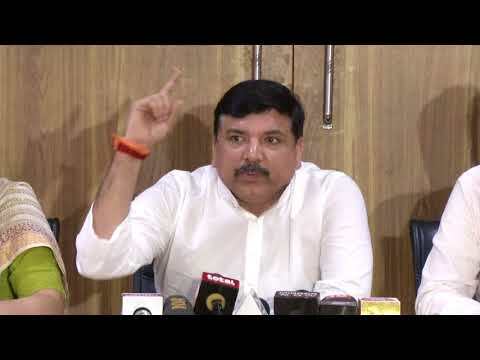 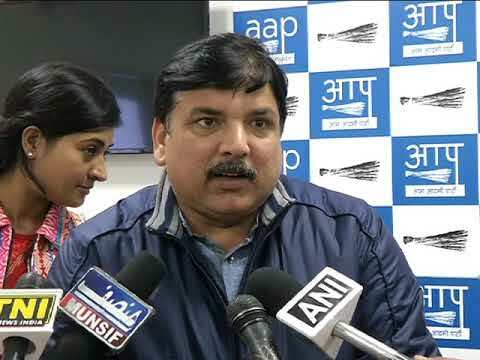 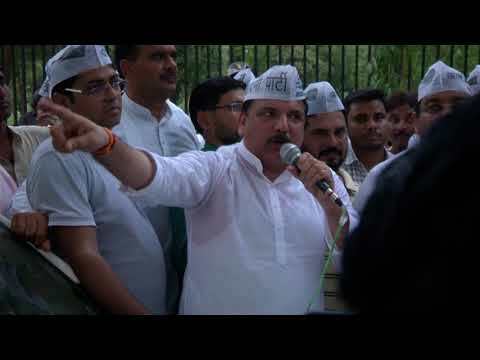 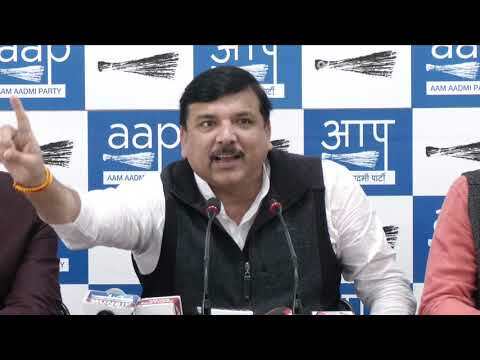 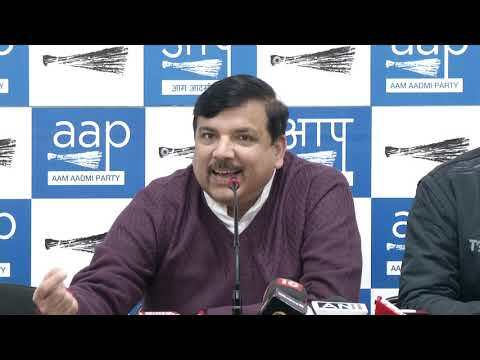 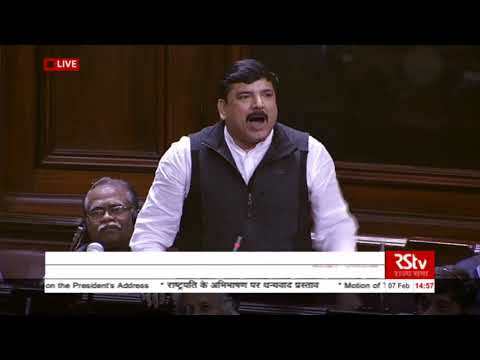 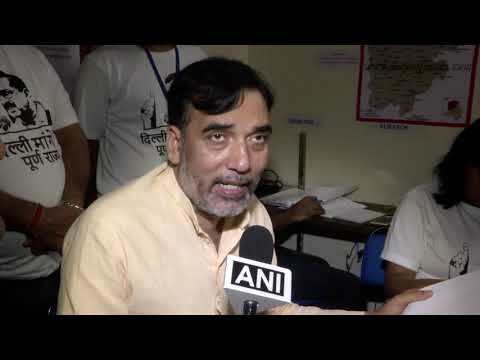 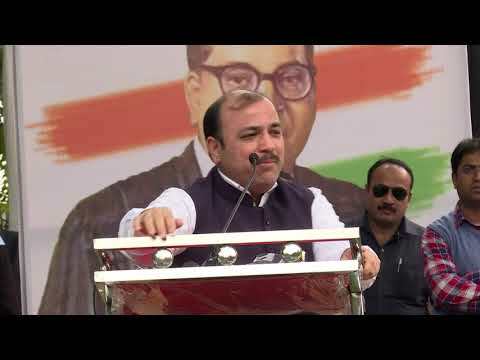 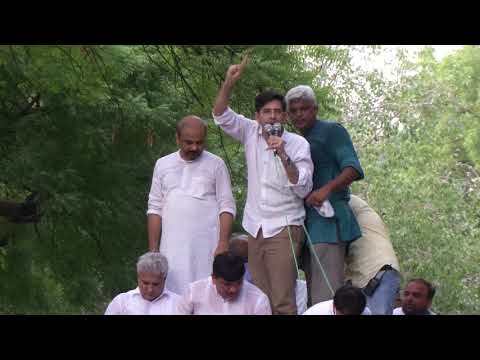 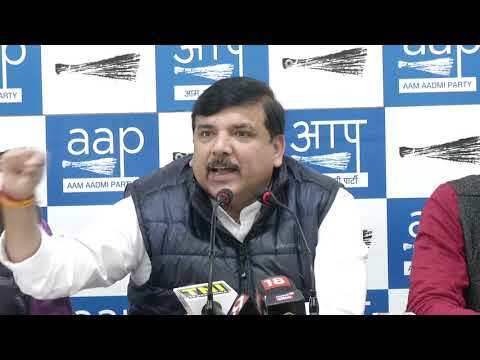 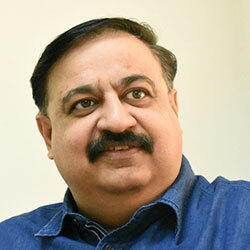 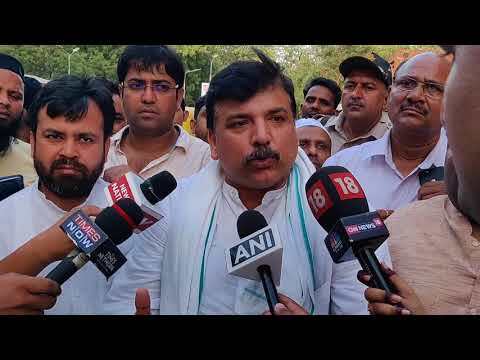 Rajya Sabha Member Sanjay Singh says " We Want IAS Officers to call off there Strike"
"दिल्ली में जो IAS ऑफिसर की स्ट्राइक चल रही है , उसके बारे में गृह मंत्री को अवगत कराया गया है "
LG and Central Govt Showing the dictatorship says " Rajya Sabha Member Sanjay Singh"
AAP Chief Spokesperson Briefs Media on Vinay Bansal PWD issue. 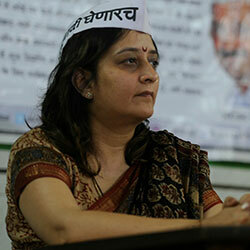 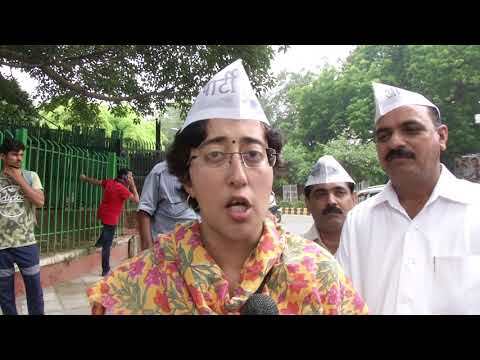 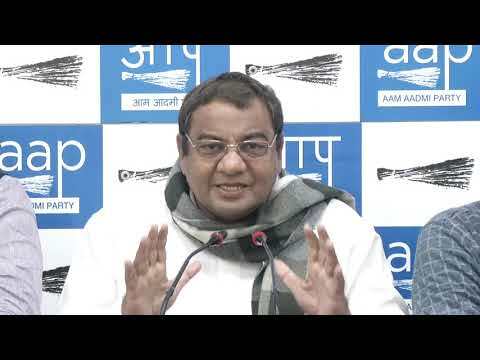 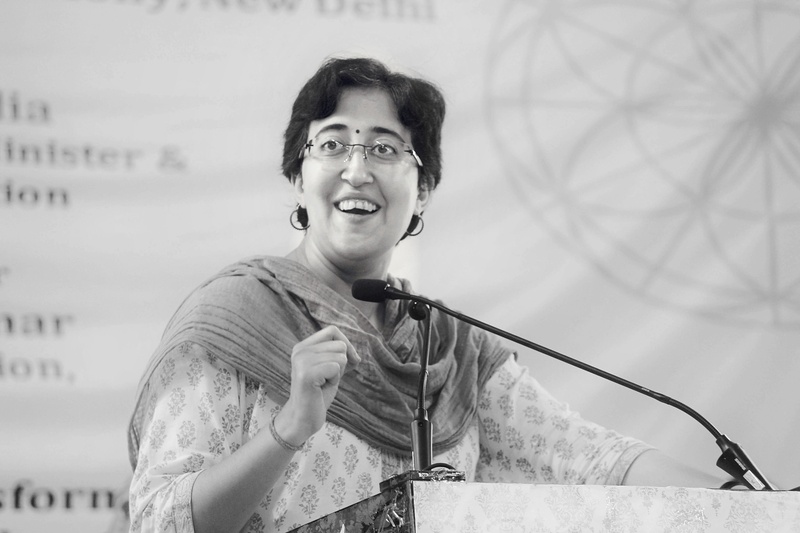 AAP working on Women Safety but Why Is Congress Leader Ajay Maken getting restless like BJP? 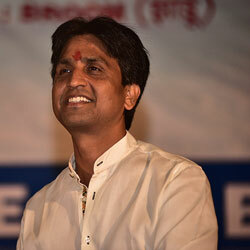 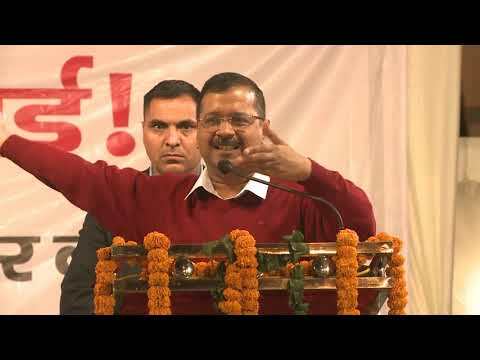 Is PM Modi Afraid of his own Minister? 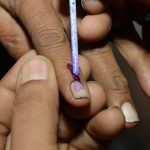 Is this the democracy we are living in ? 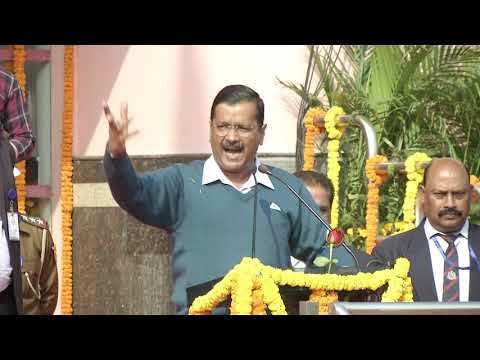 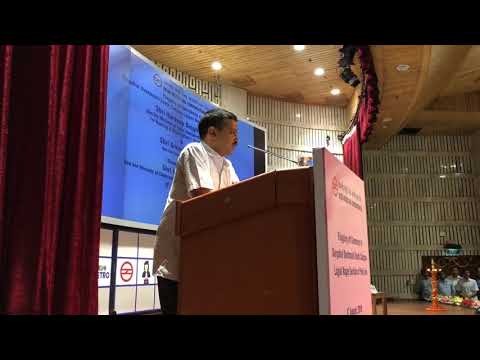 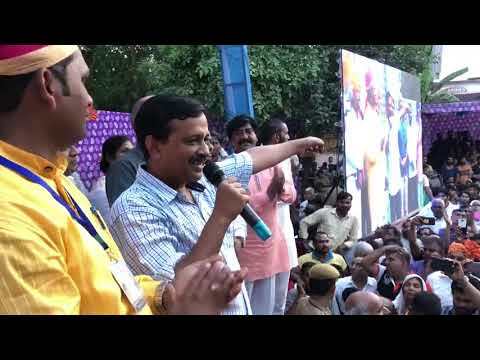 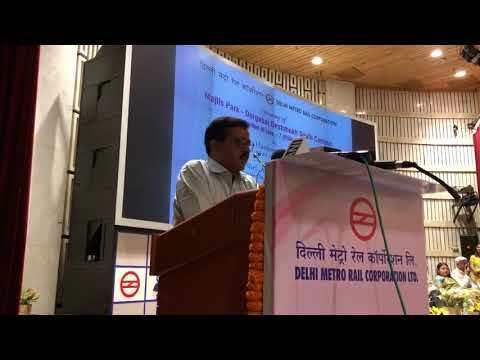 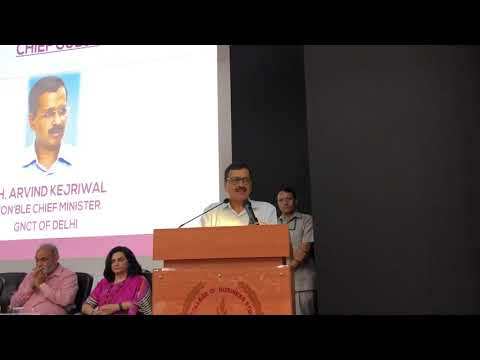 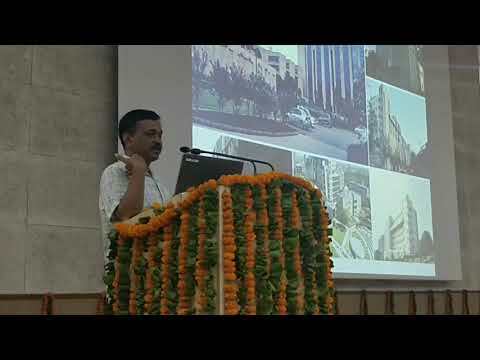 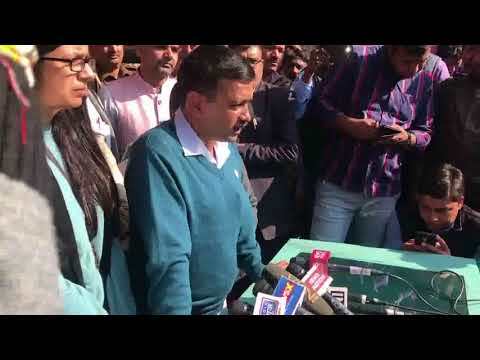 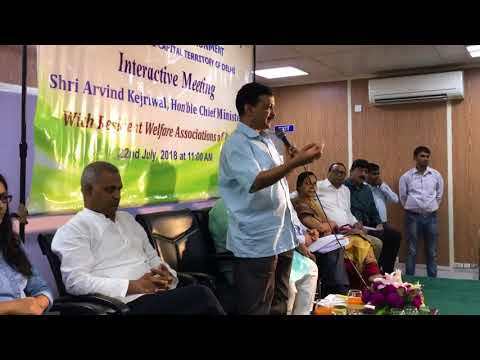 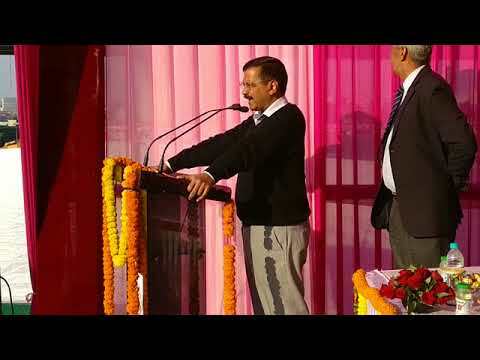 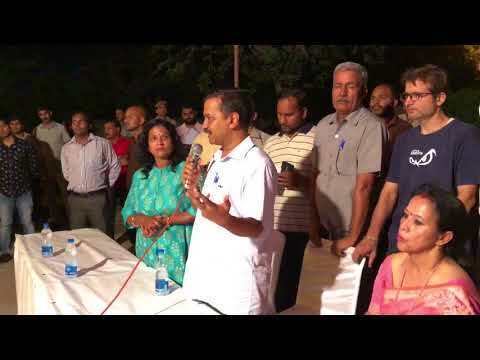 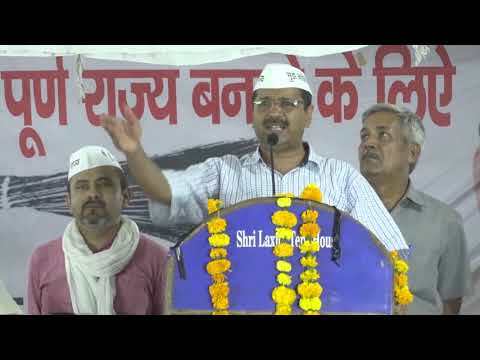 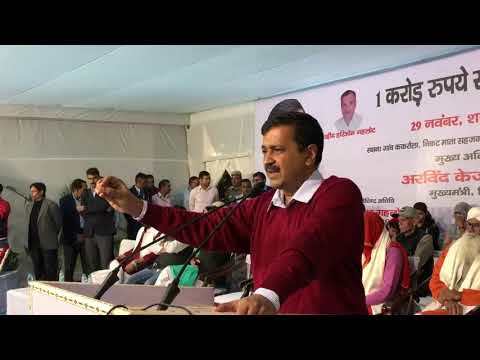 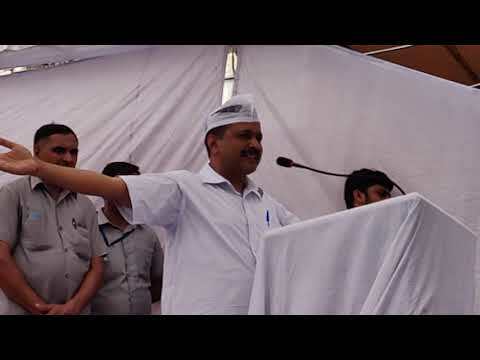 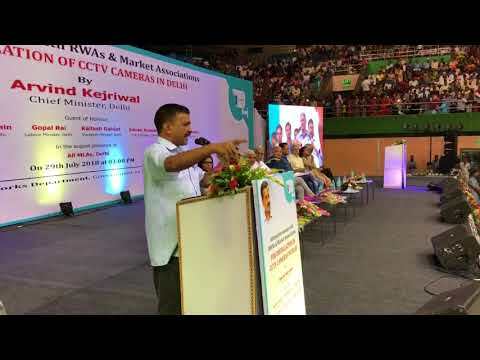 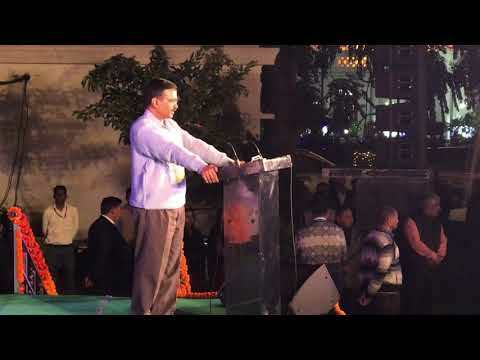 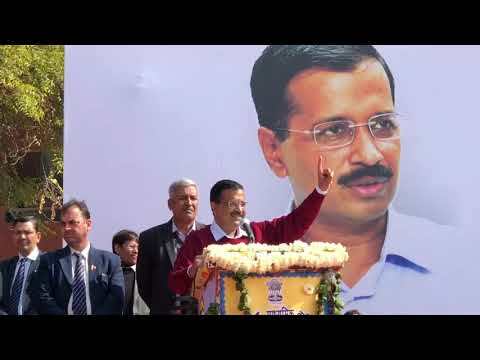 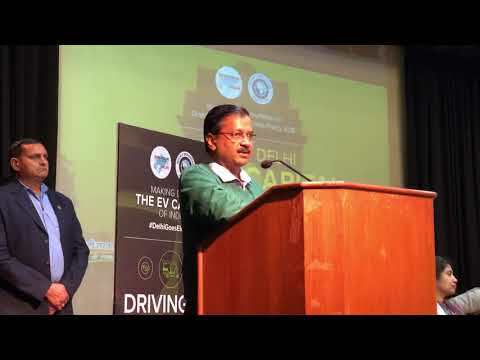 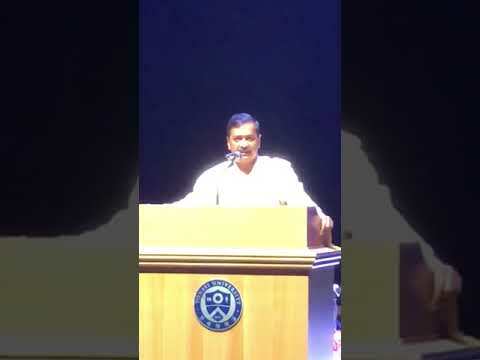 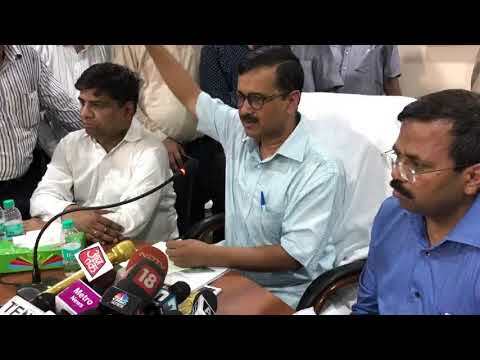 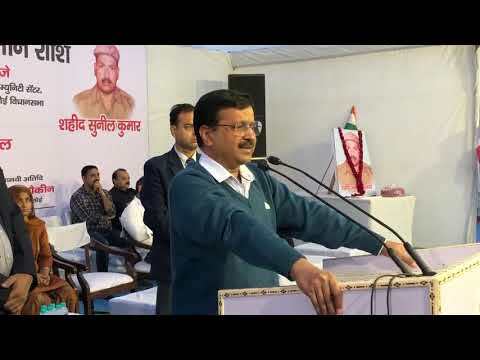 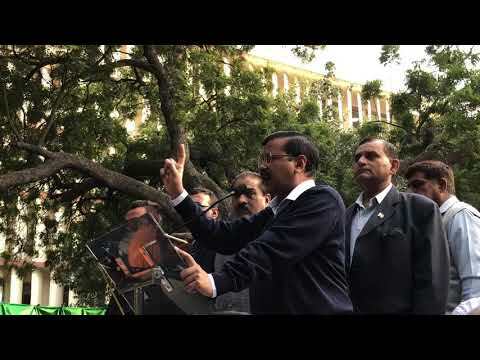 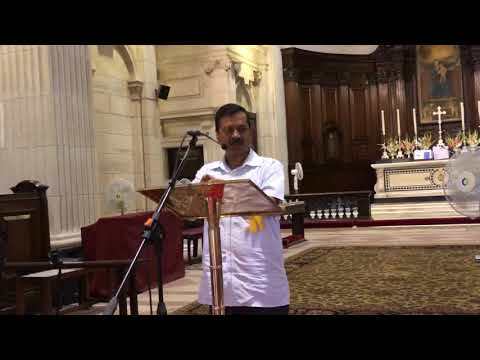 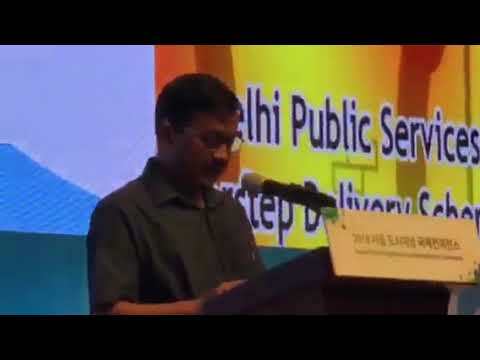 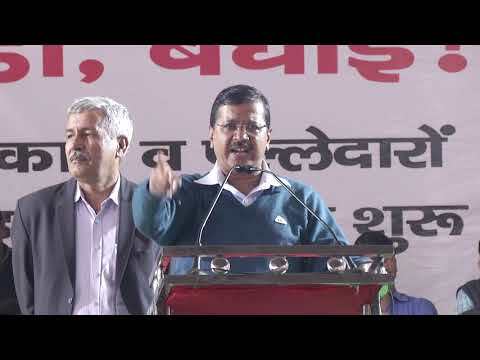 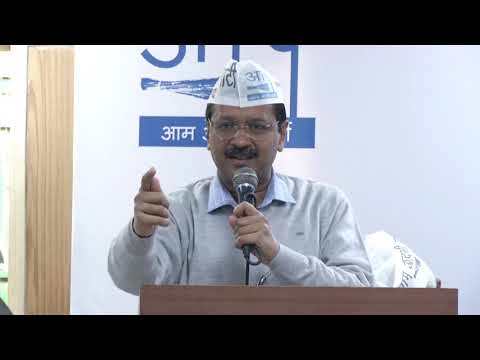 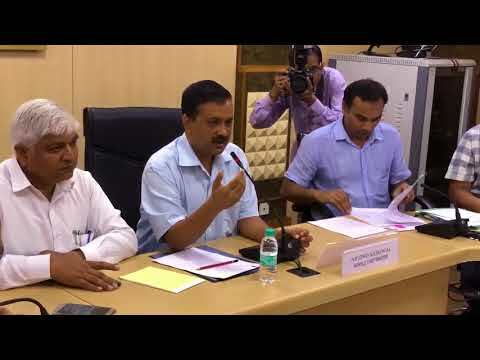 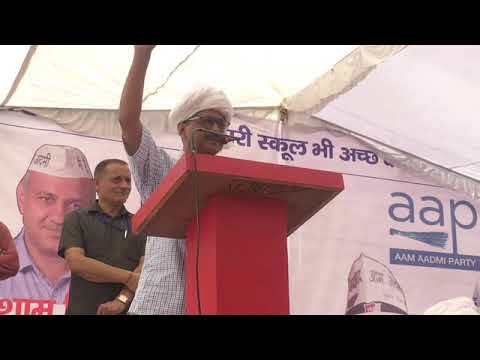 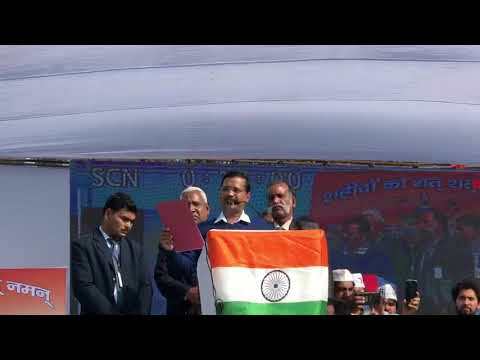 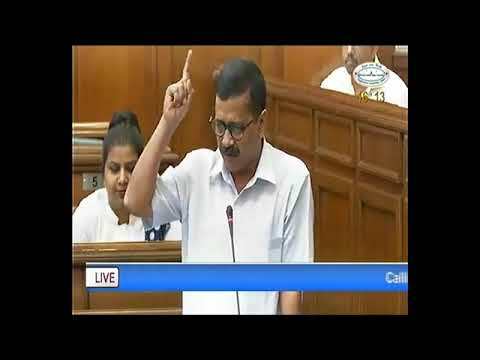 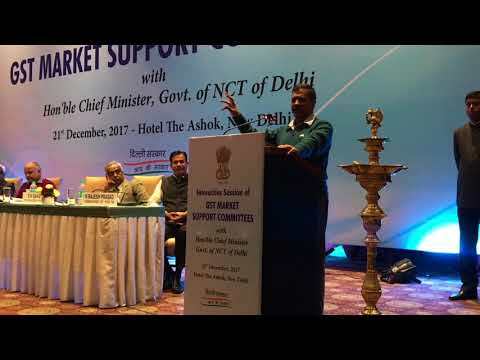 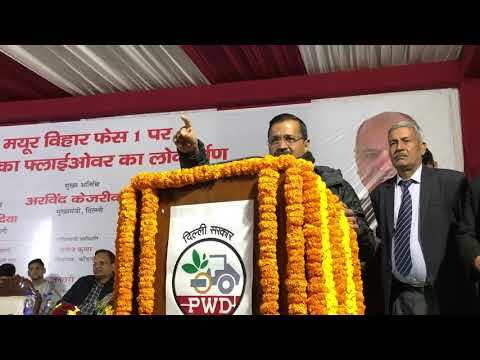 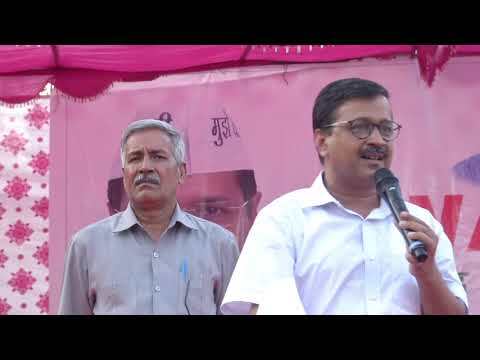 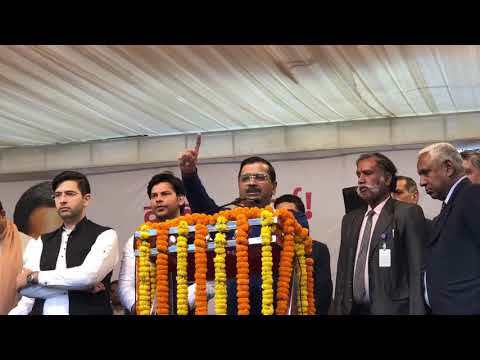 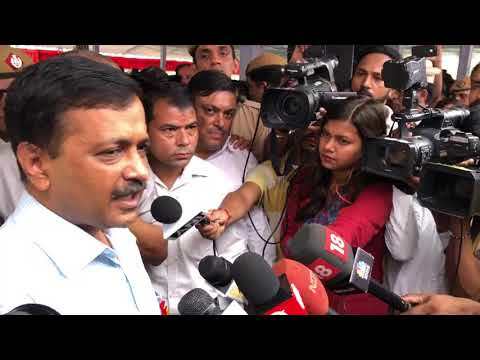 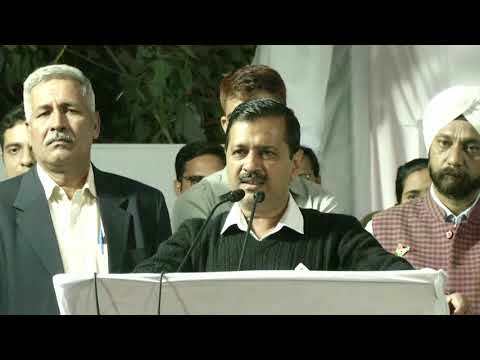 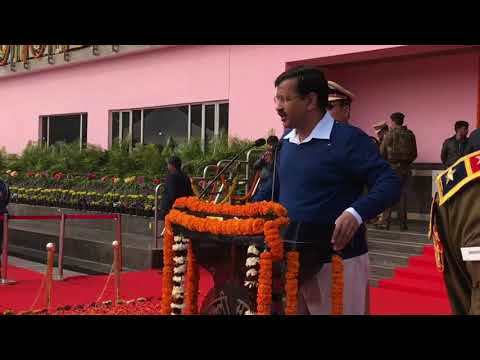 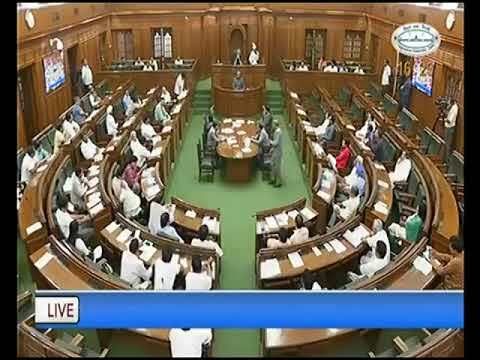 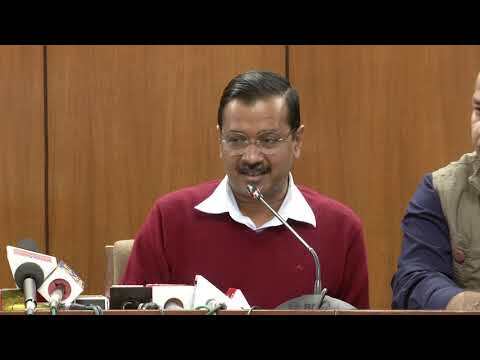 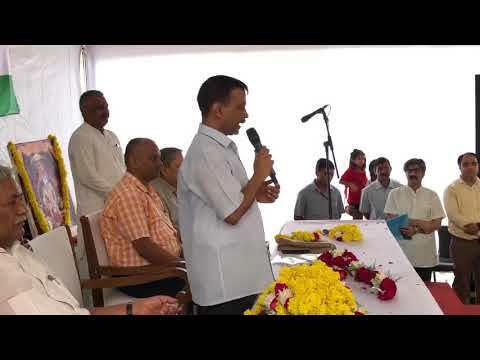 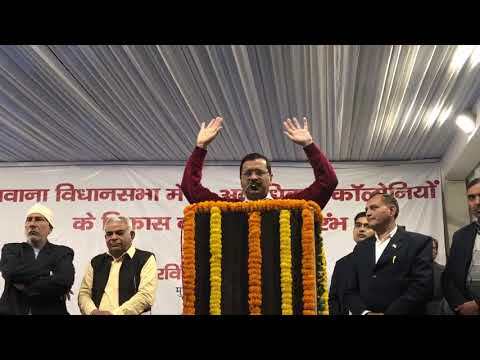 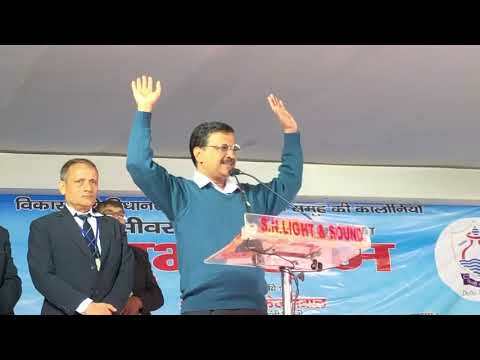 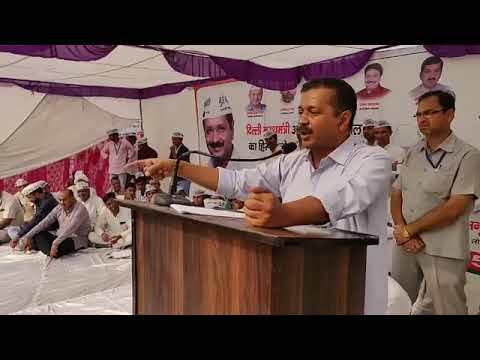 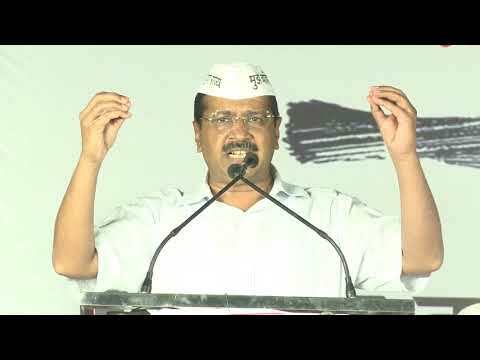 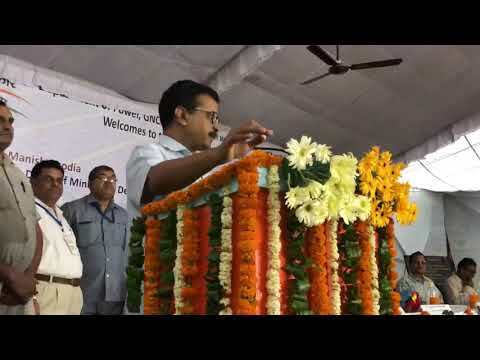 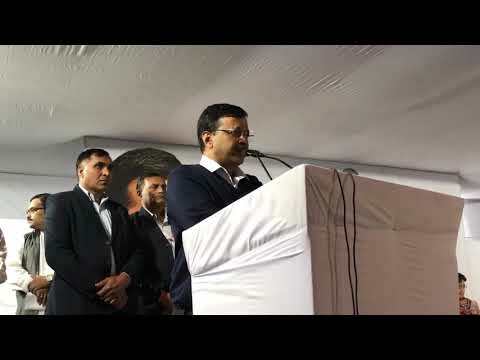 Delhi CM Arvind Kejriwal Speech at "Clean Air for Delhi" initiative. 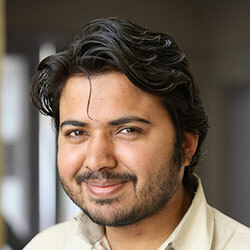 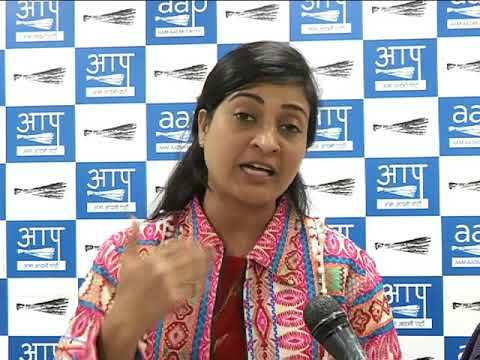 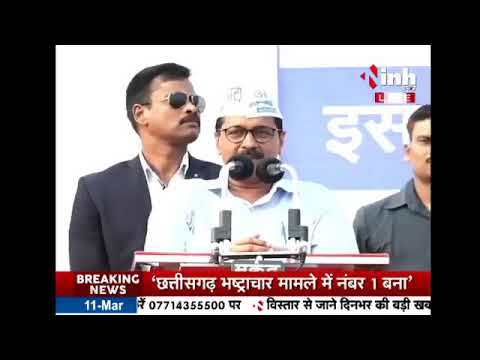 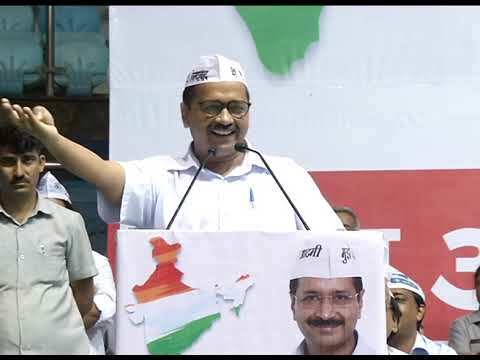 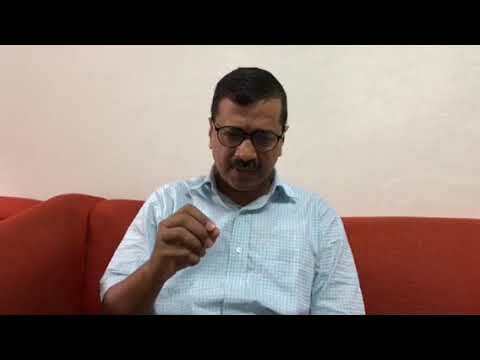 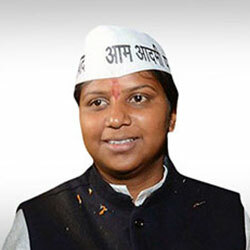 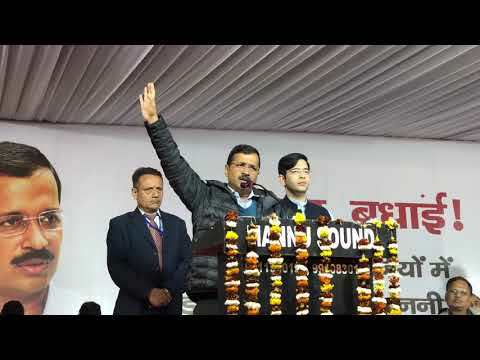 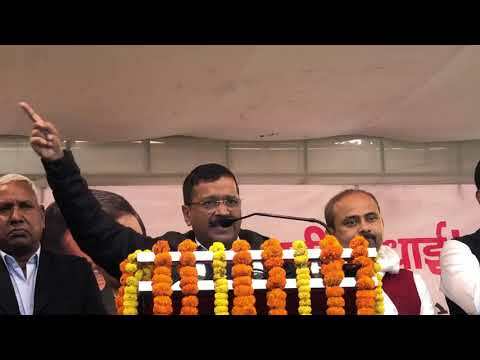 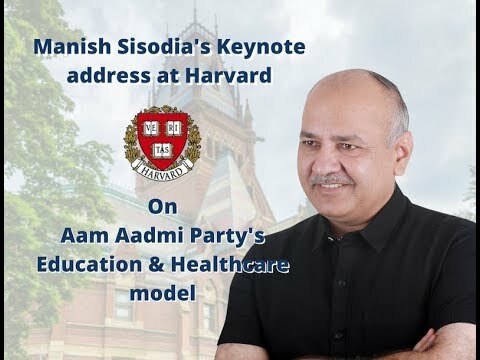 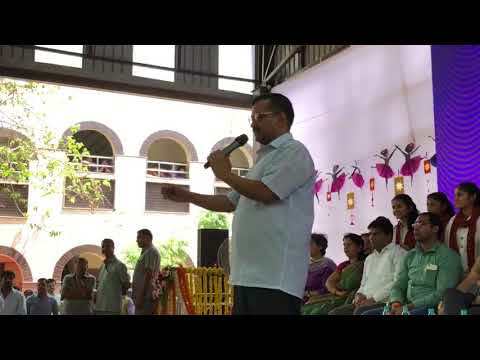 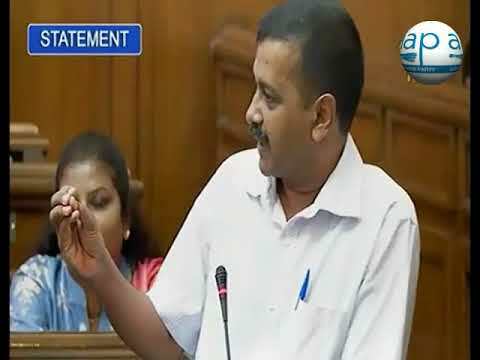 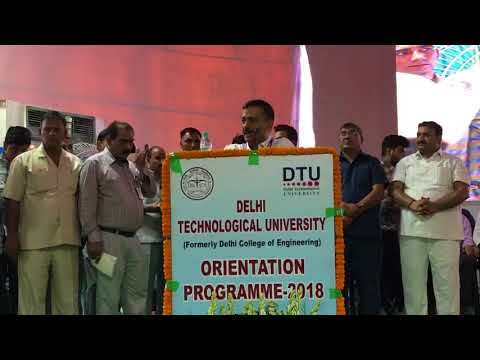 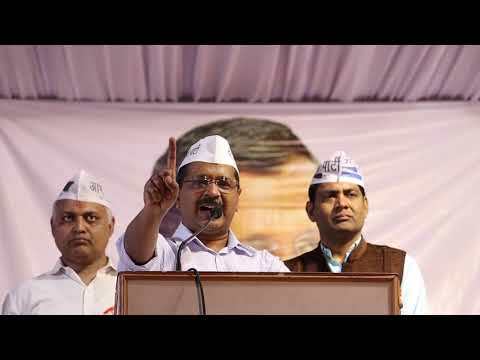 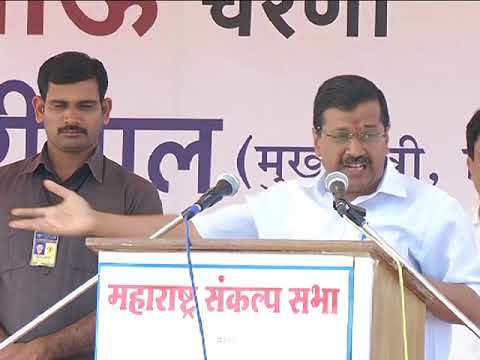 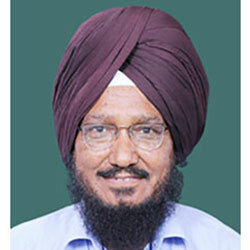 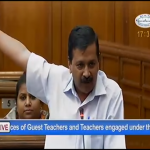 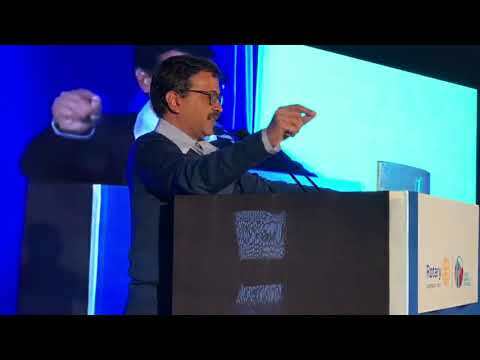 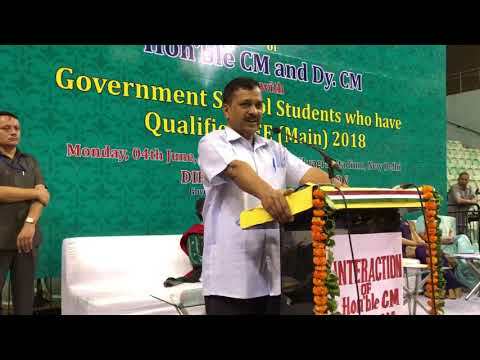 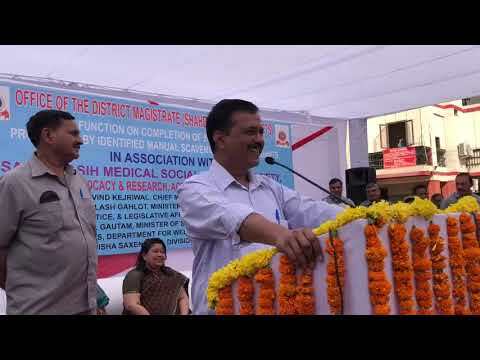 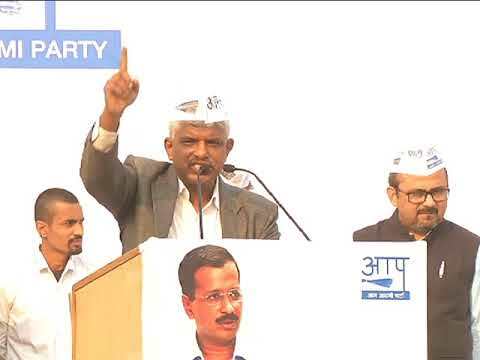 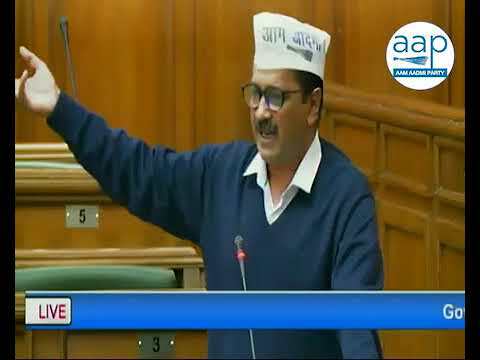 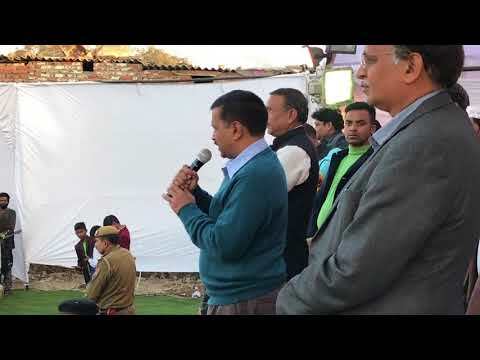 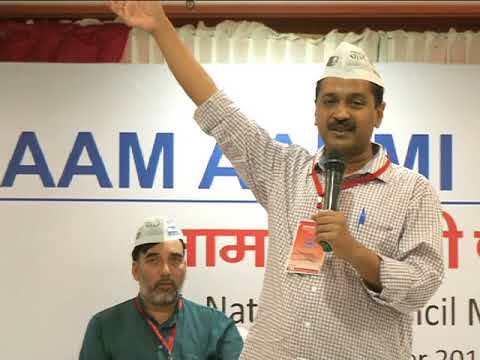 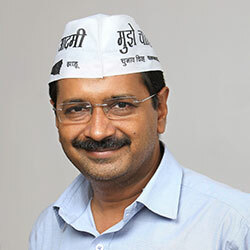 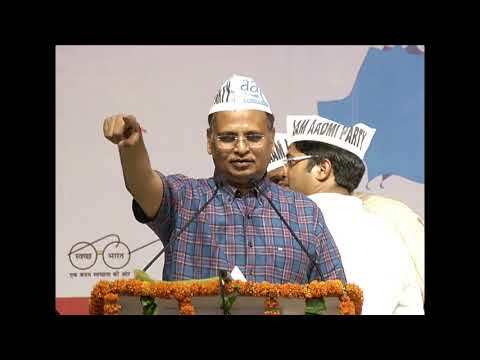 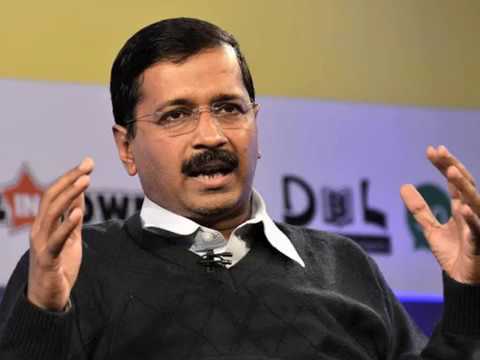 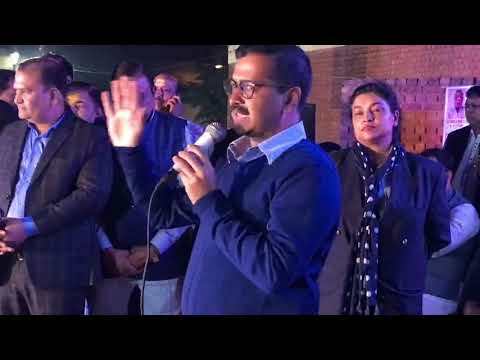 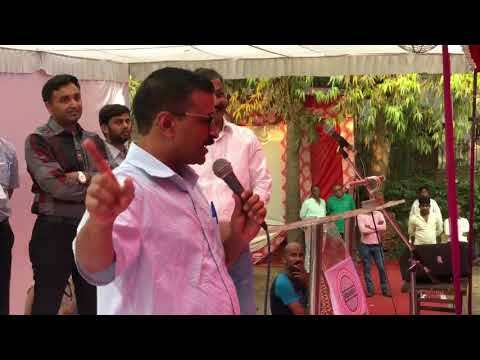 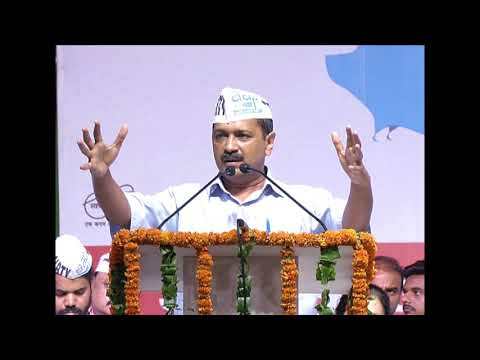 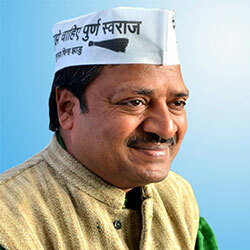 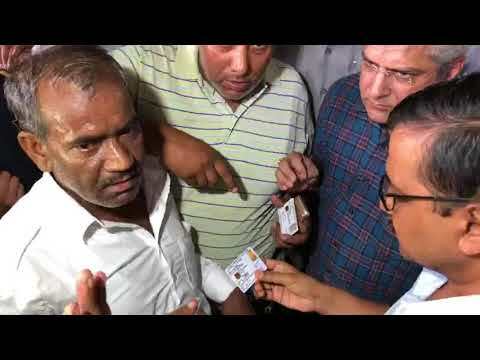 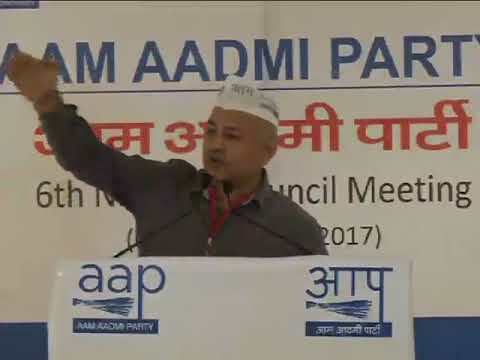 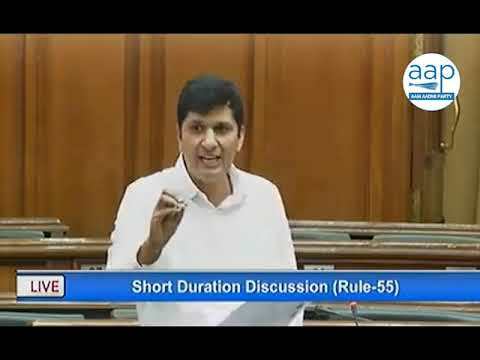 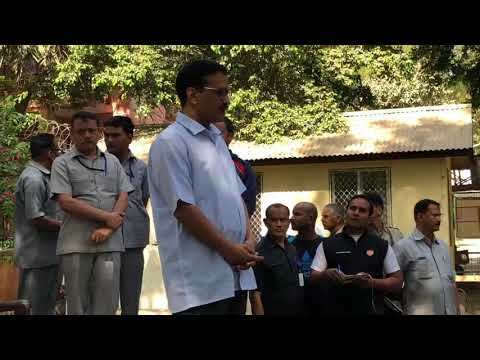 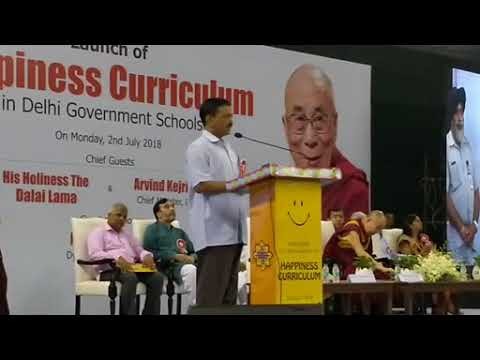 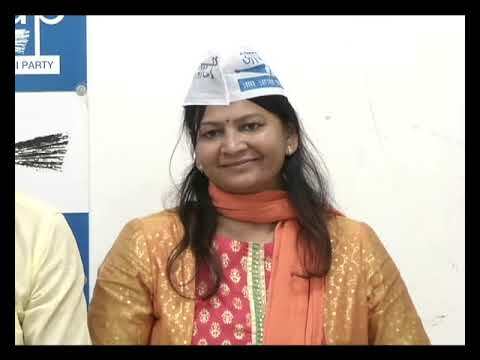 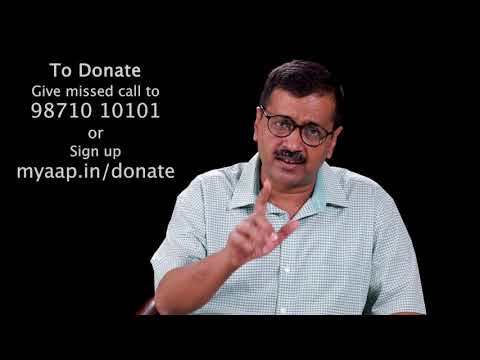 मुख्यमंत्री Arvind Kejriwal ने दिल्ली में आयोजित रोटरी क्लब के स्थापना दिवस में प्रतिभाग किया! 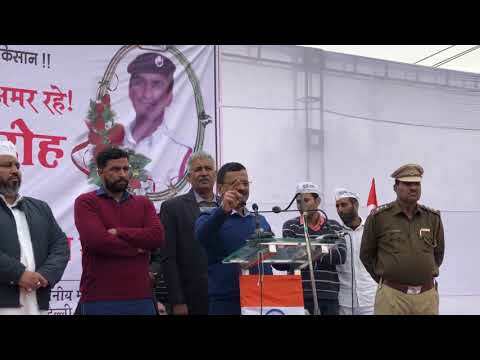 CM Arvind Kejriwal celebrated Christmas at a program organised by Delhi Assembly. 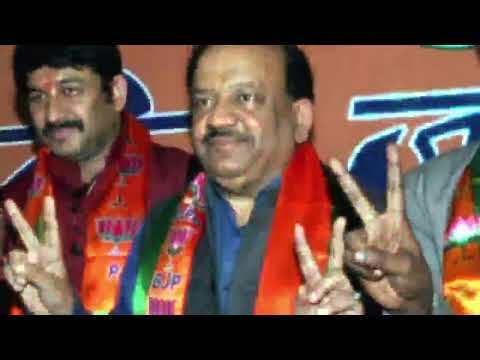 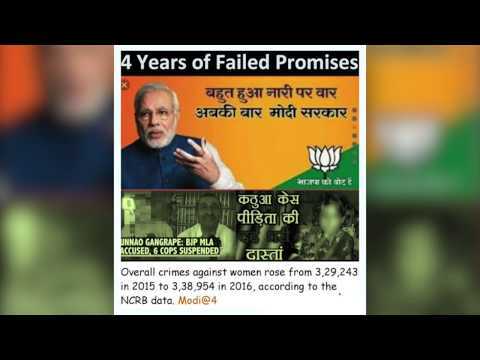 BJP सांसद मनोज तिवारी कर रहे थे मैक्स अस्पताल की तरफ़दारी, क्यों? 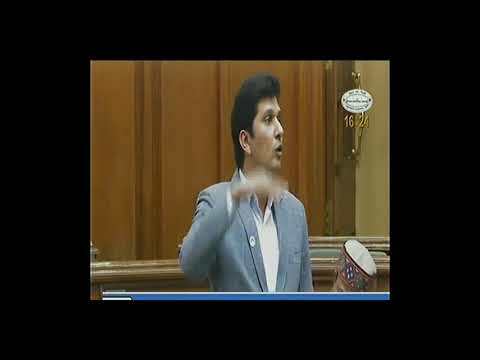 क्या डील हुई है उनकी? 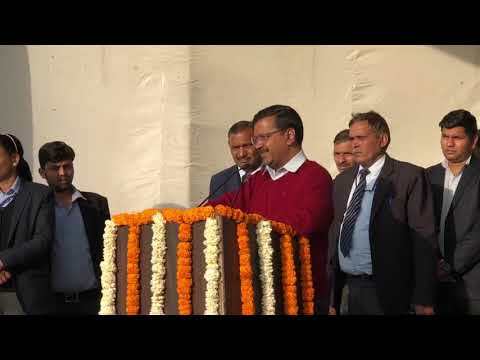 Delhi CM Arvind Kejriwal inaugurates right turning loops at Mukundpur Junction on Outer Ring Road. 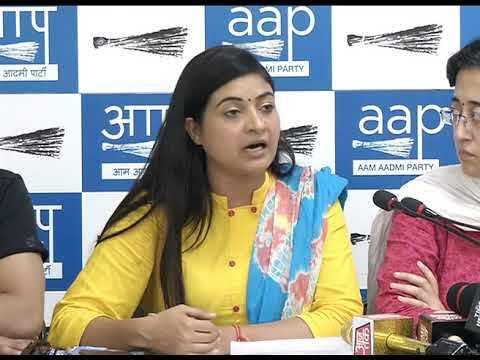 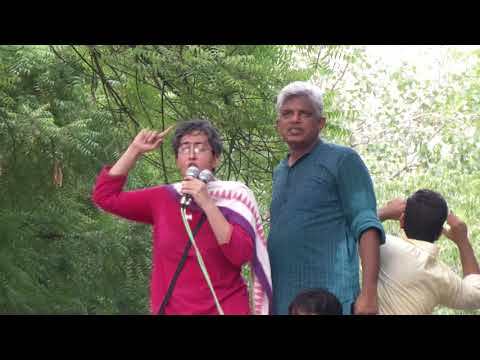 Live discussion on 'FRDI & implications for Aam Aadmi' held today between Meera Sanyal & Arvind Jha. 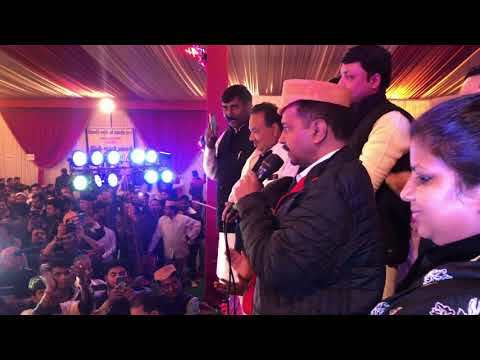 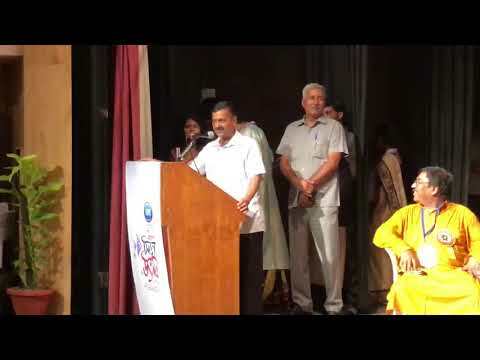 CM Arvind Kejriwal at 'Vidyapati Smriti Parv' organised by Vidyapati Smriti Sangh, Rohini. 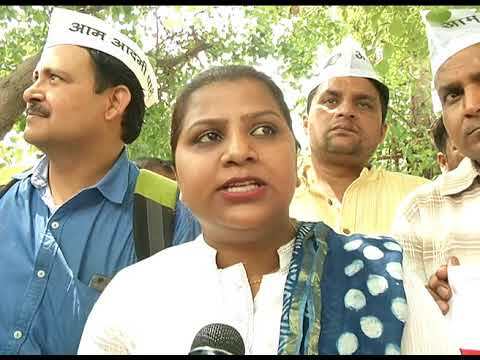 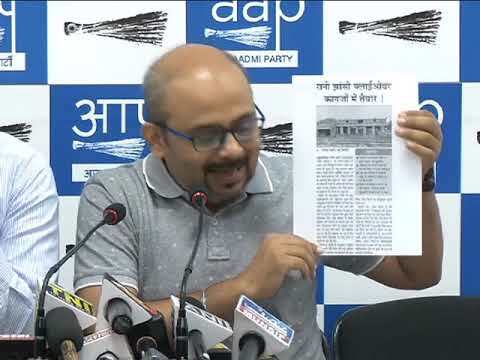 AAP Press Brief on Land Allocated to Center Minister Vijay Goel. 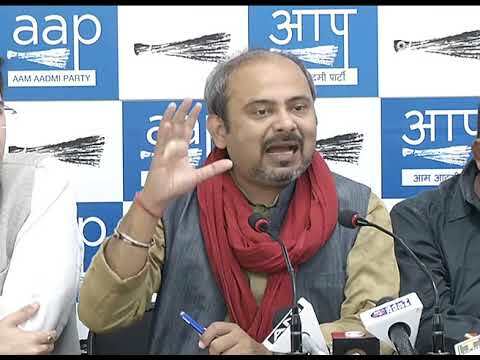 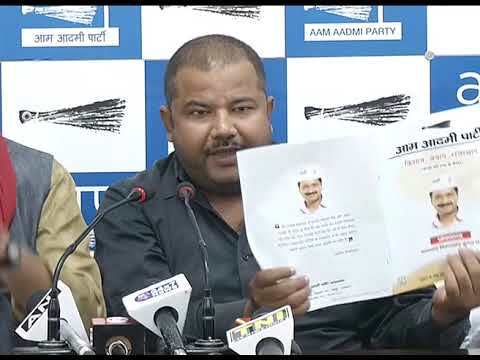 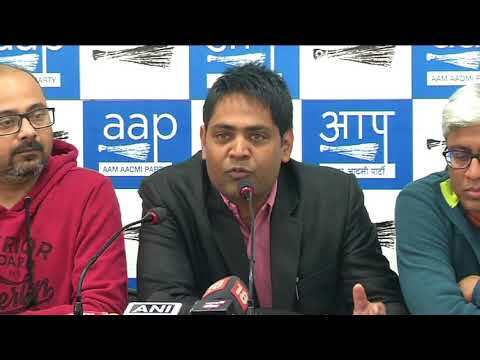 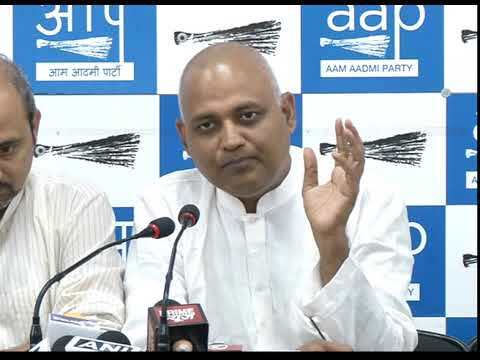 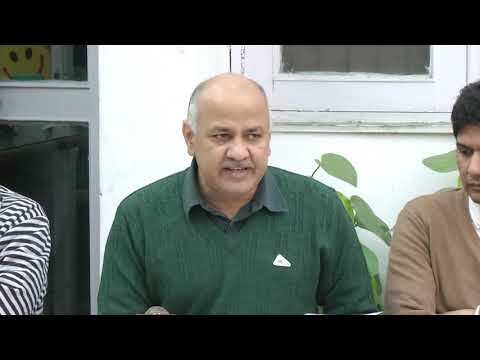 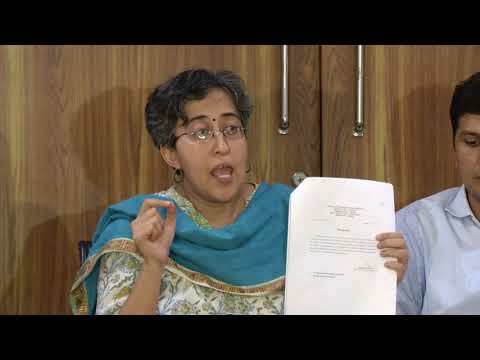 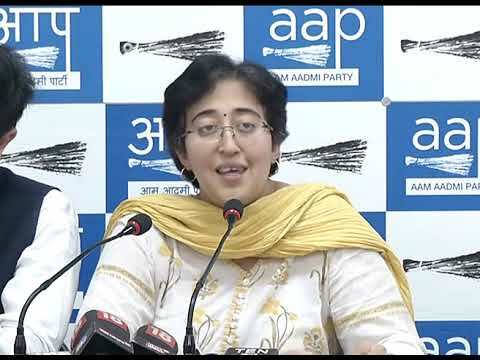 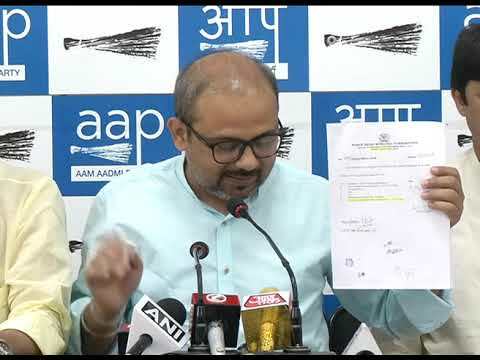 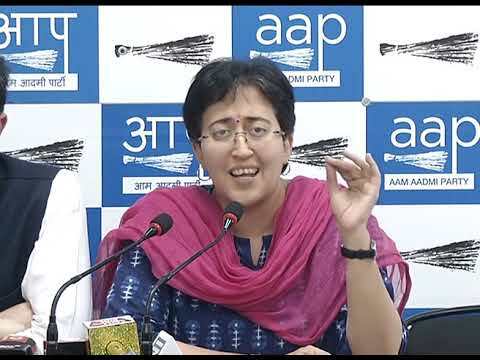 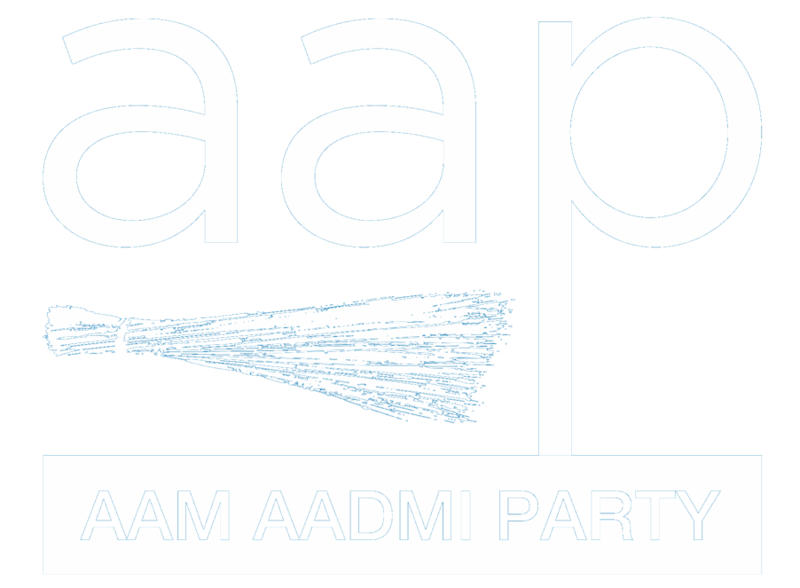 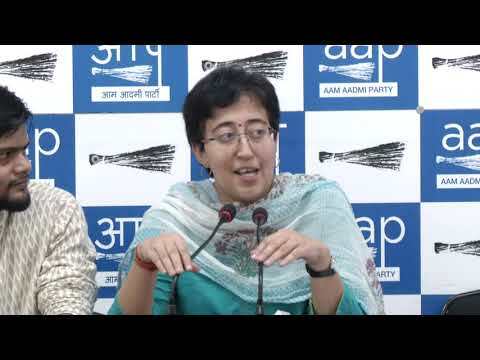 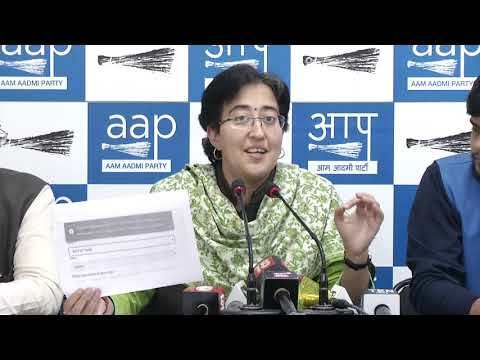 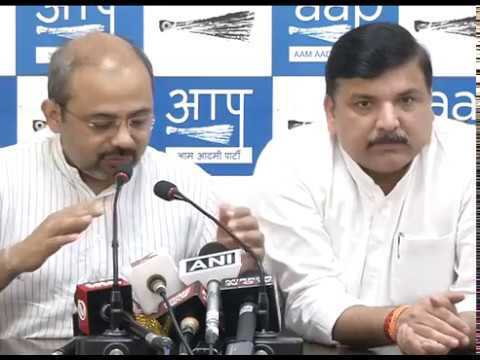 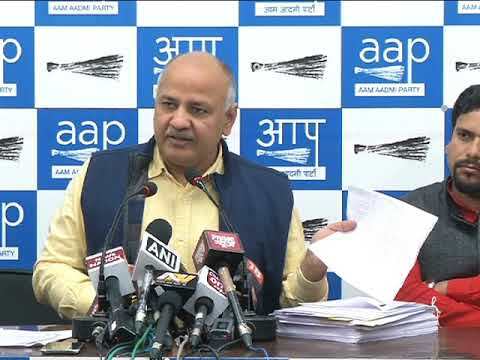 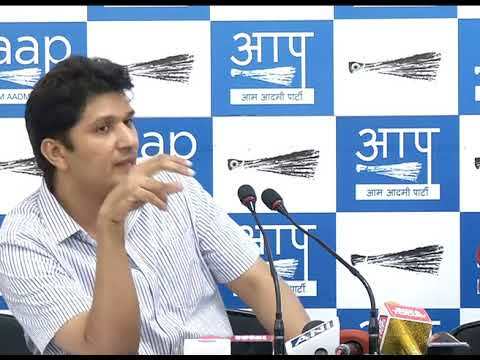 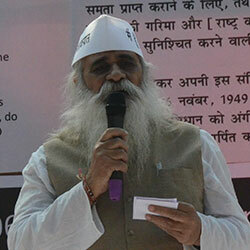 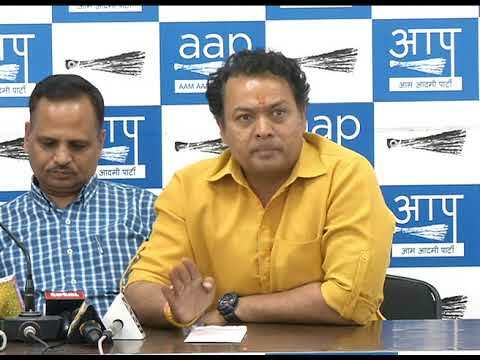 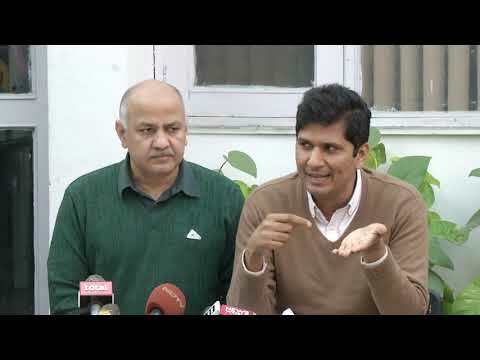 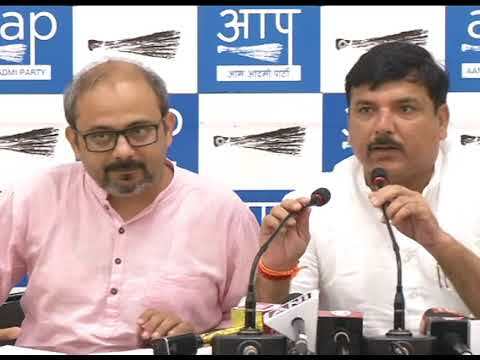 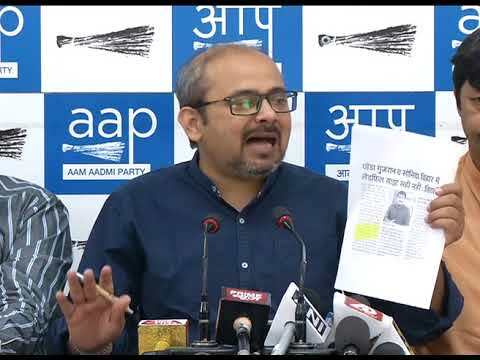 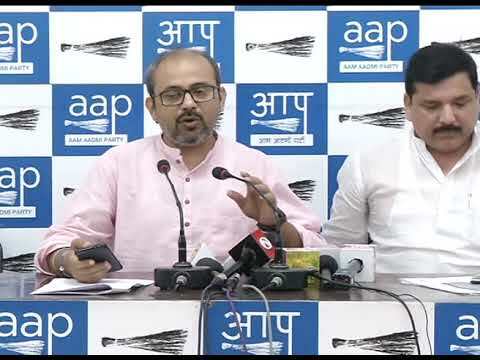 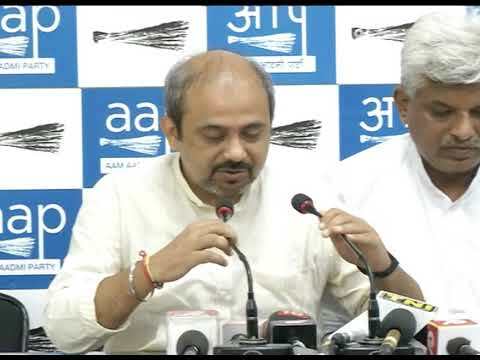 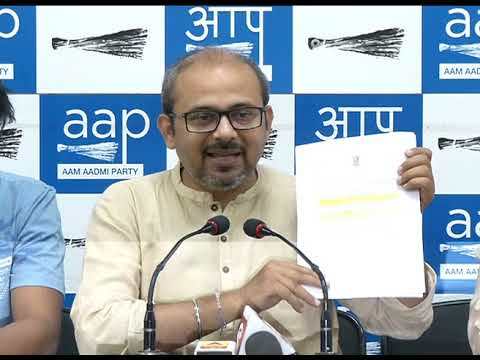 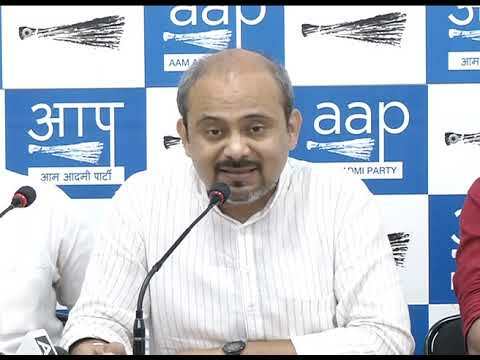 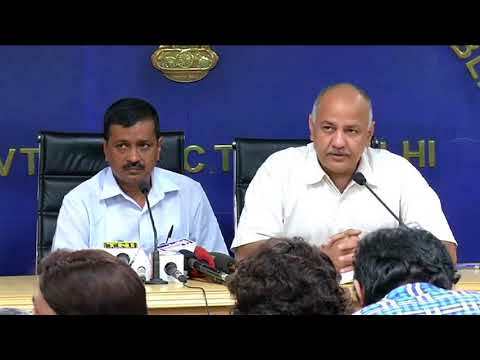 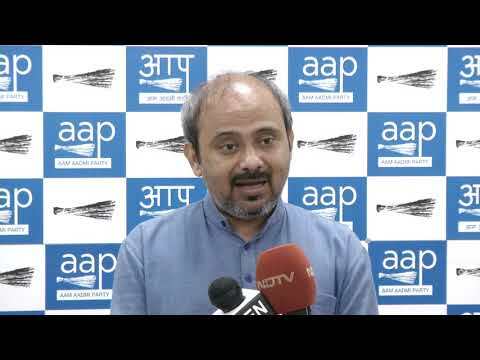 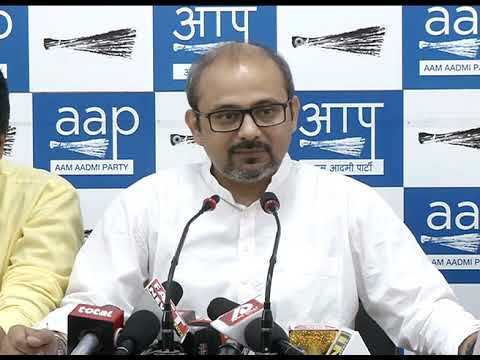 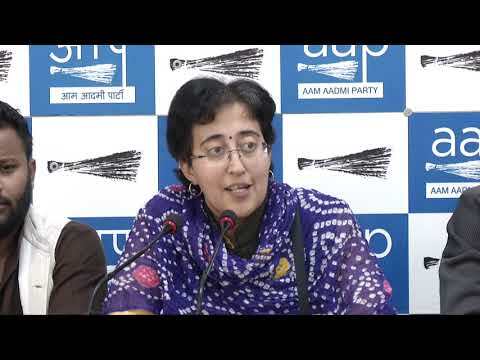 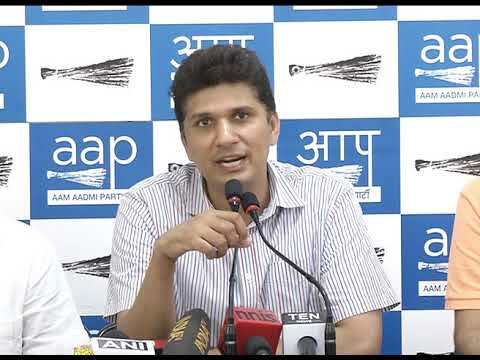 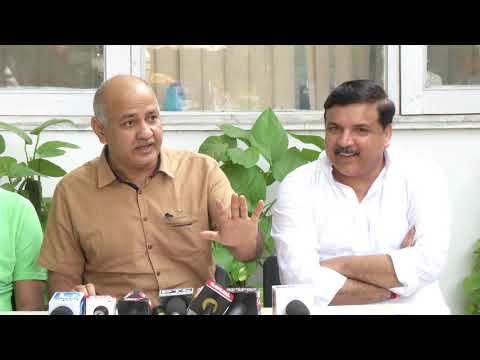 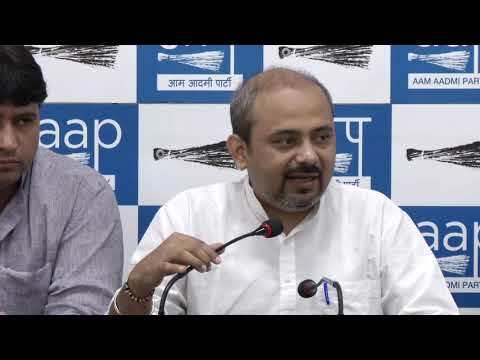 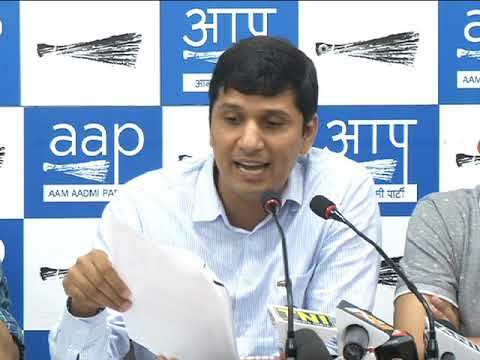 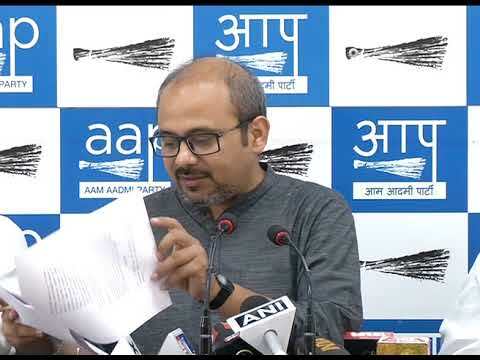 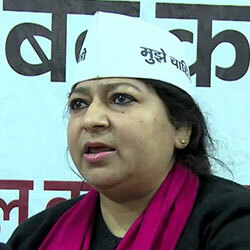 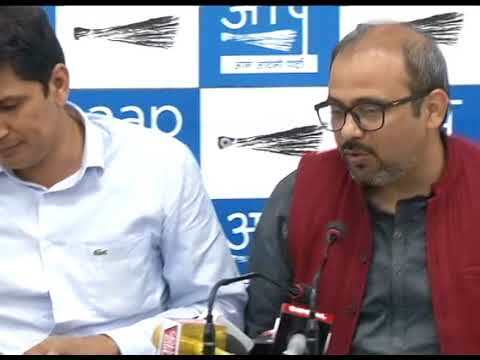 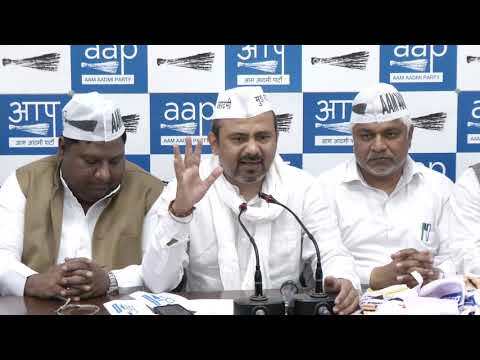 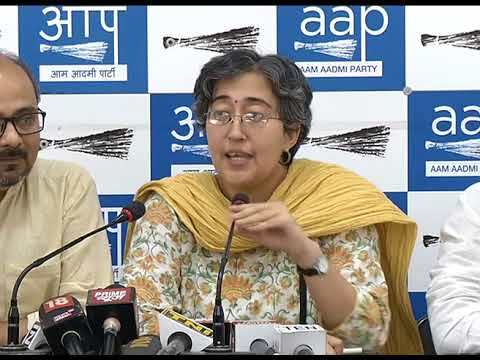 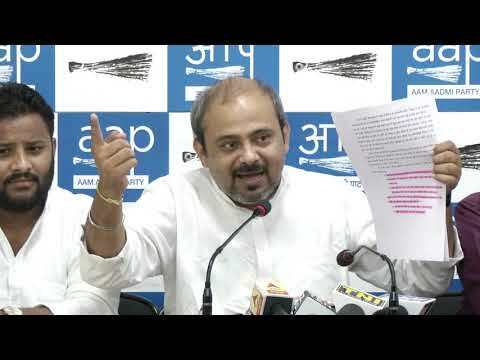 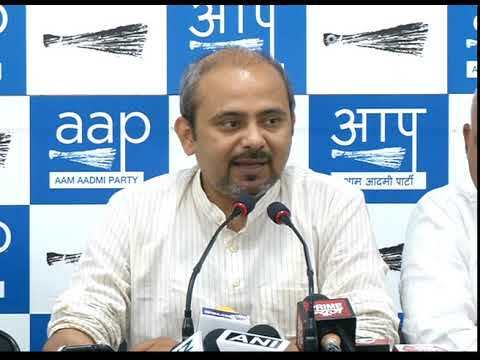 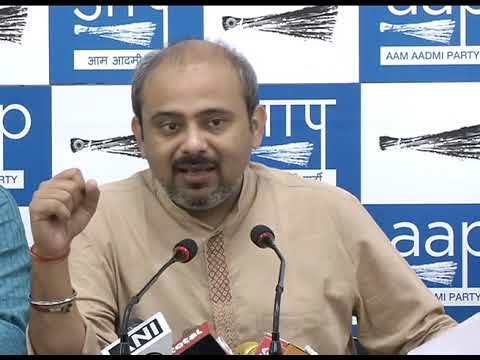 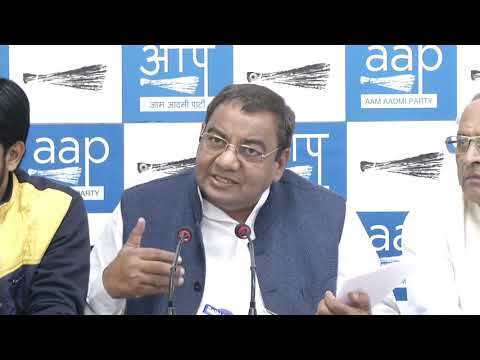 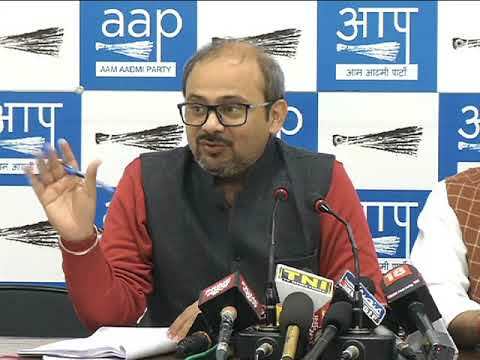 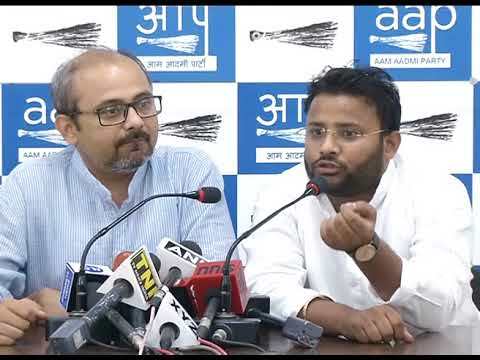 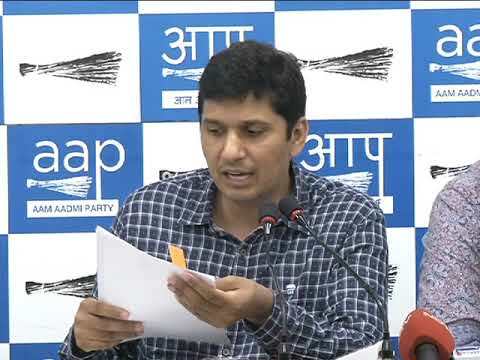 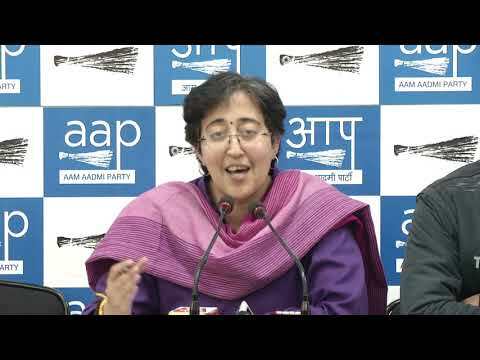 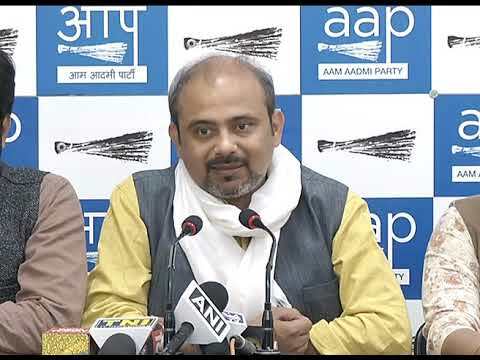 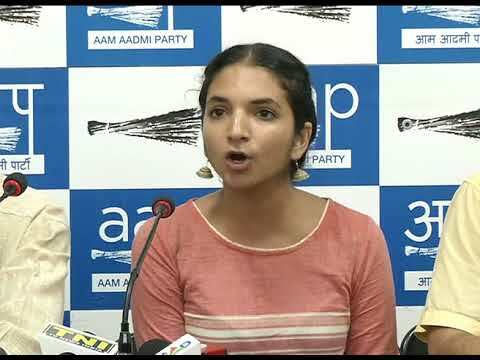 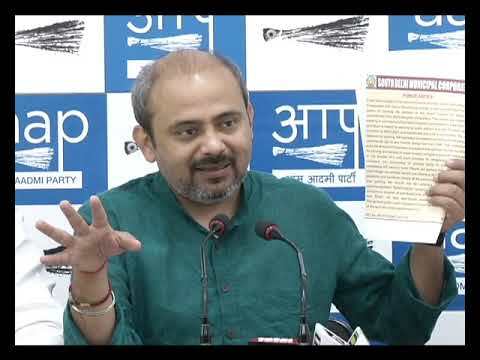 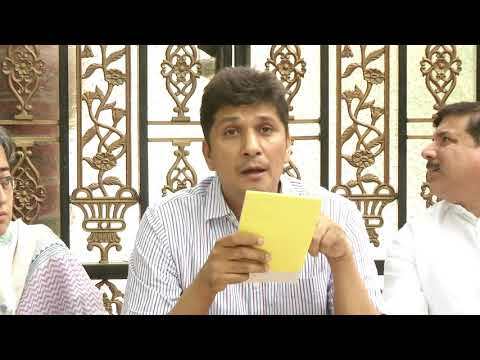 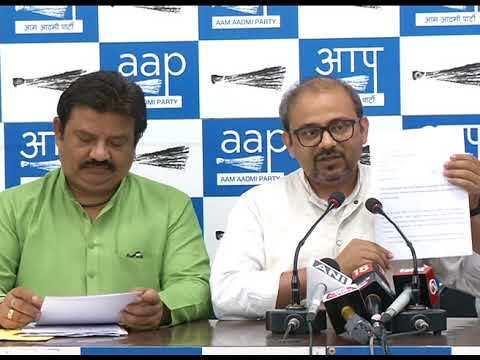 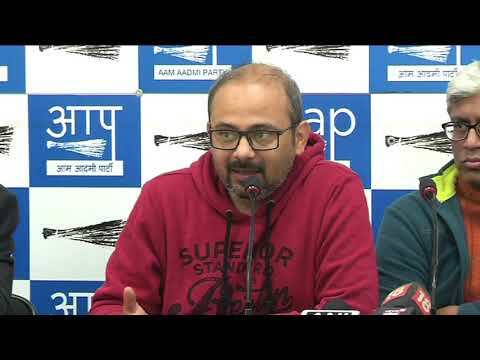 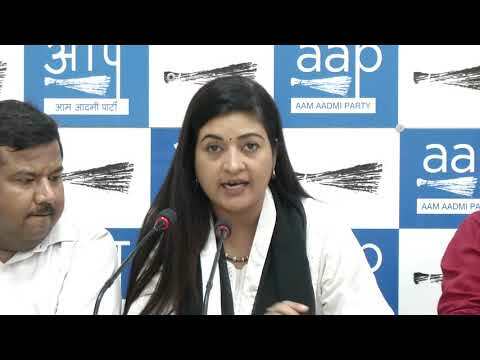 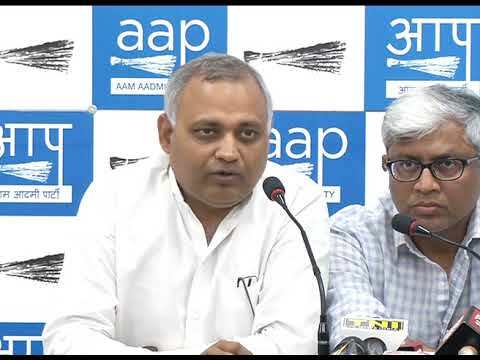 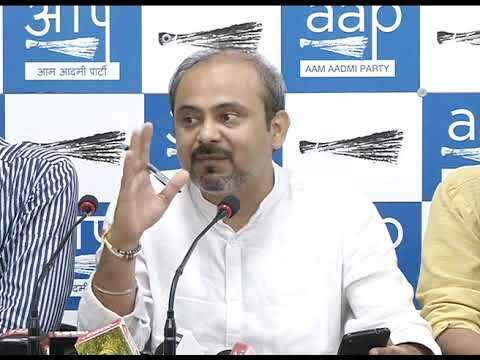 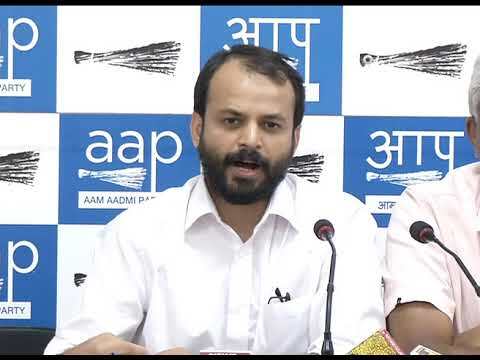 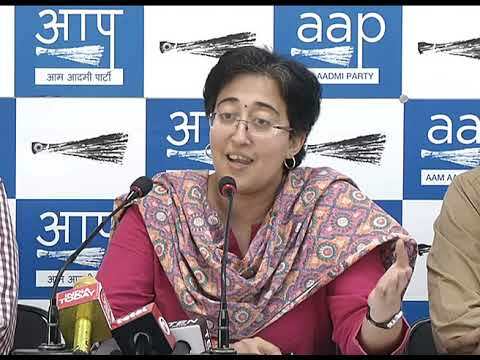 AAP Press Brief on the Further Details on Land Allocated to Center Minister Vijay Goel.